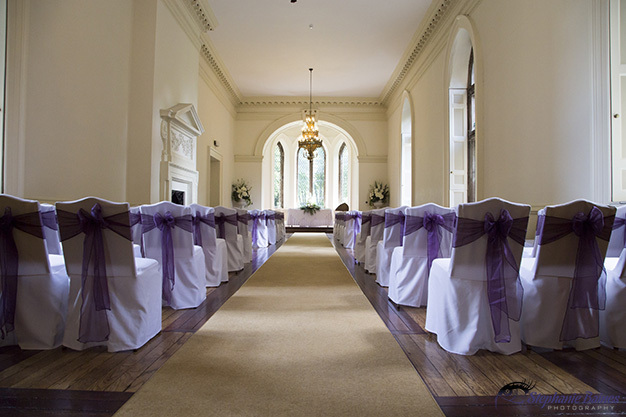 I love New Hall, with its sweeping drive, beautiful architecture and gorgeous gardens; not to mention its elegant interior! 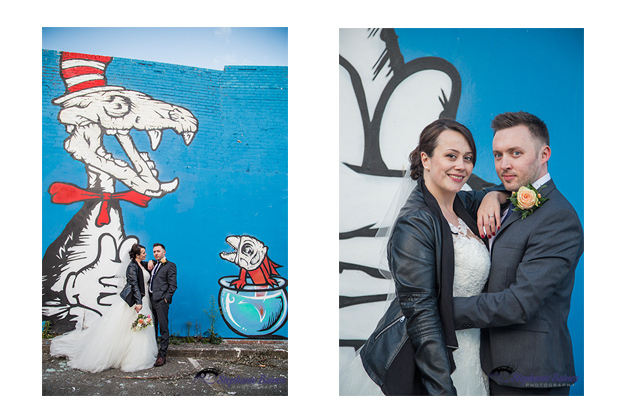 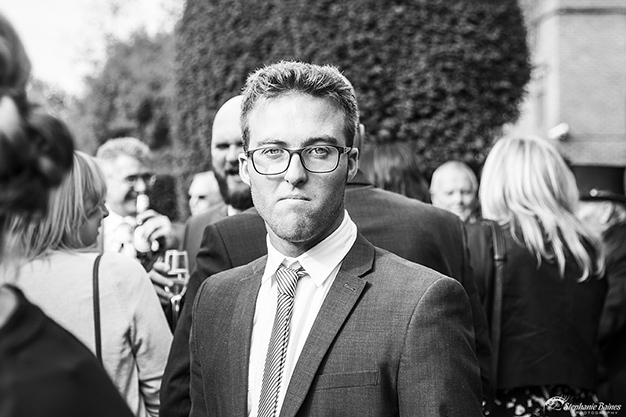 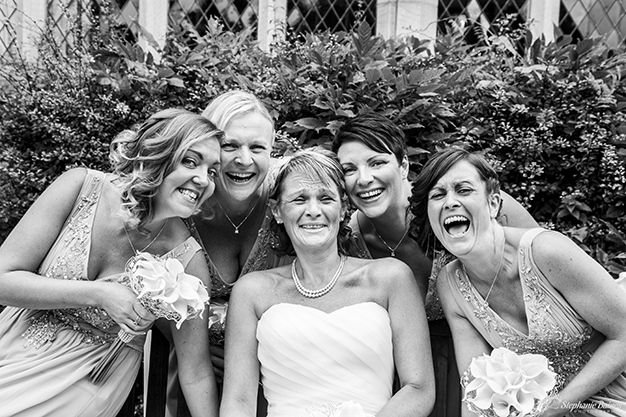 It really is a wedding photographers ideal venue. 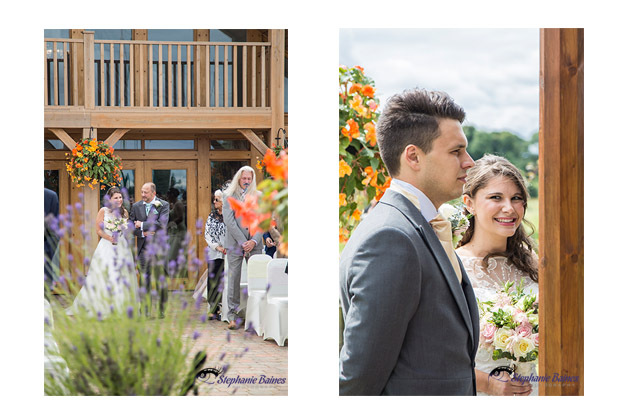 Already I can’t wait for 2017 and the weddings I have will have the pleasure of capturing back at this stunning venue. 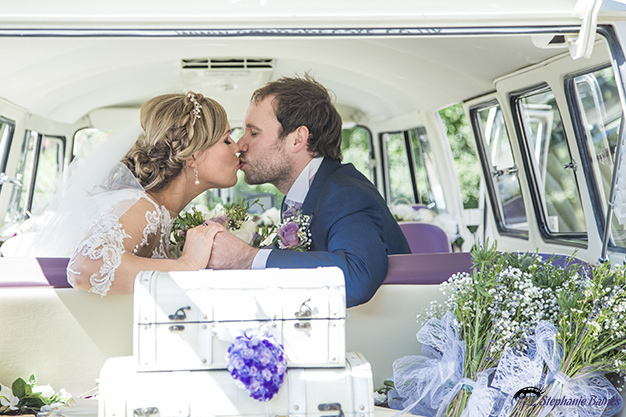 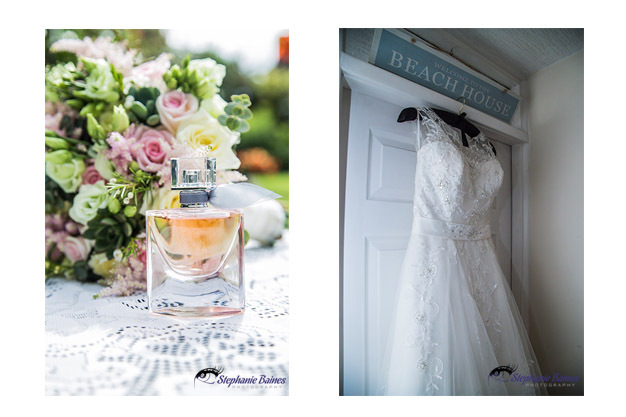 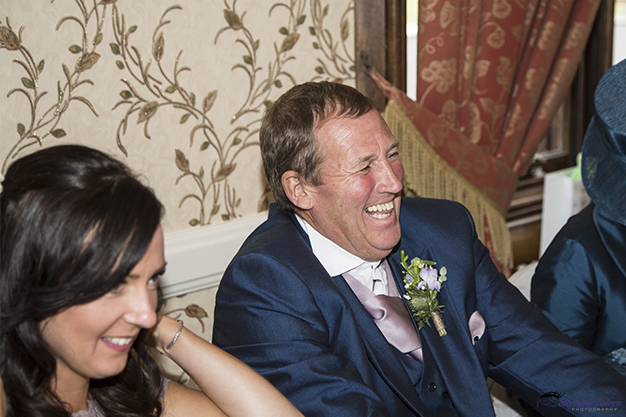 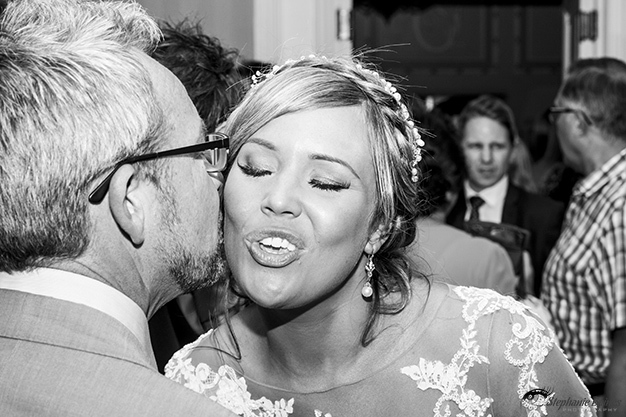 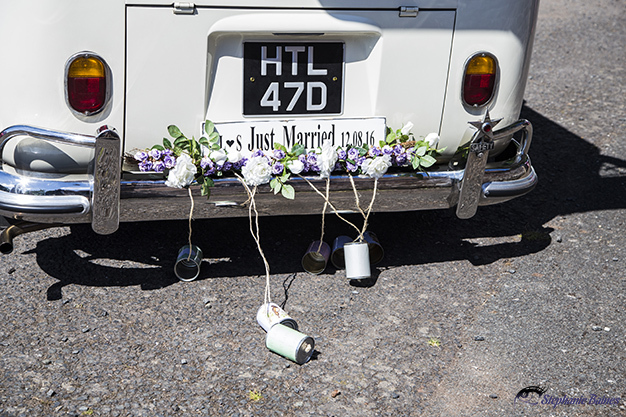 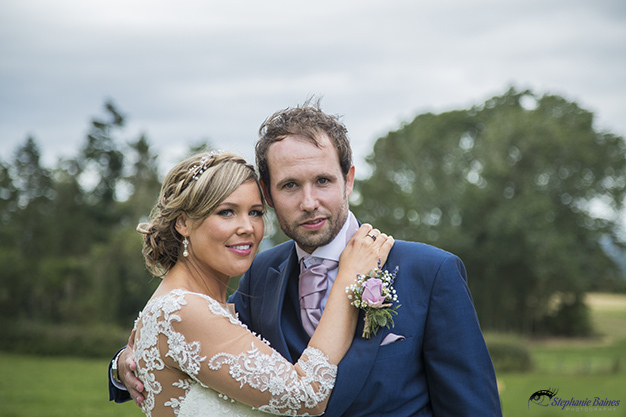 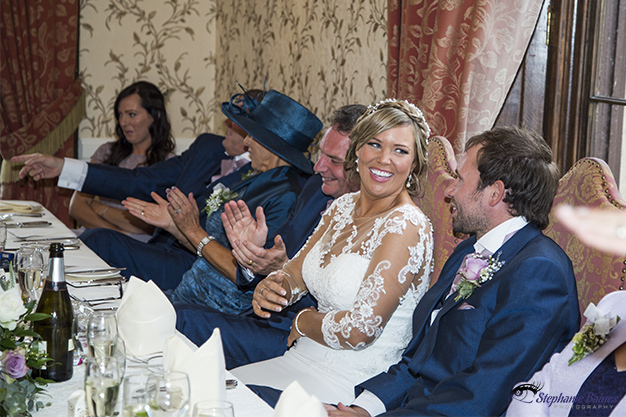 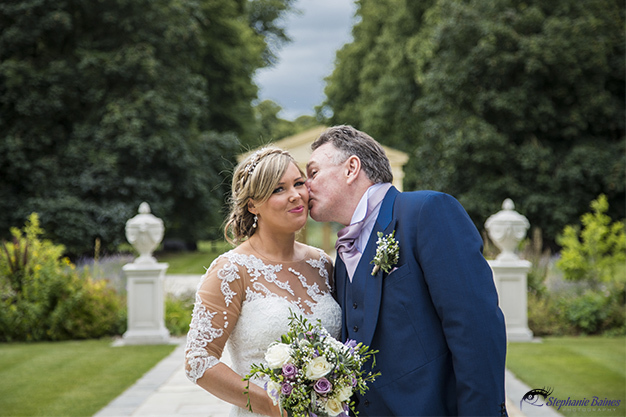 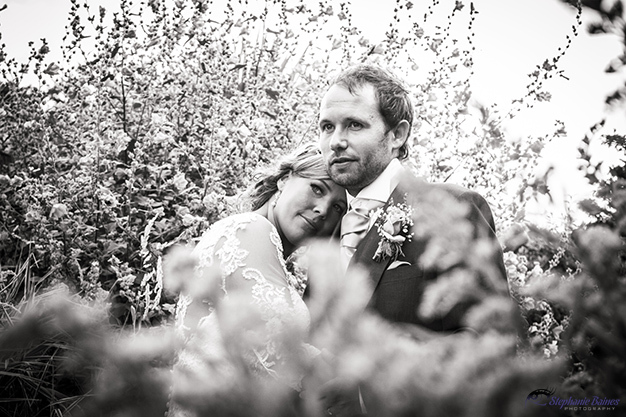 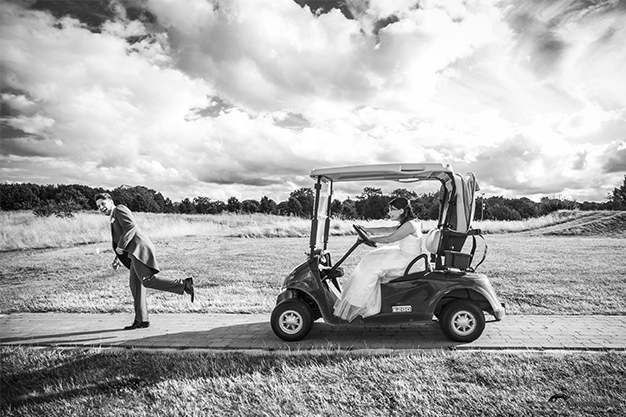 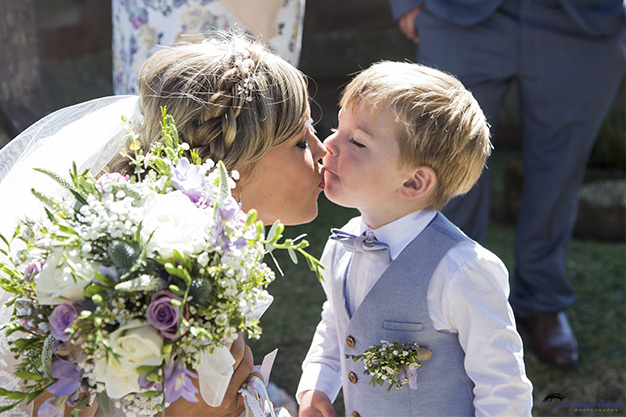 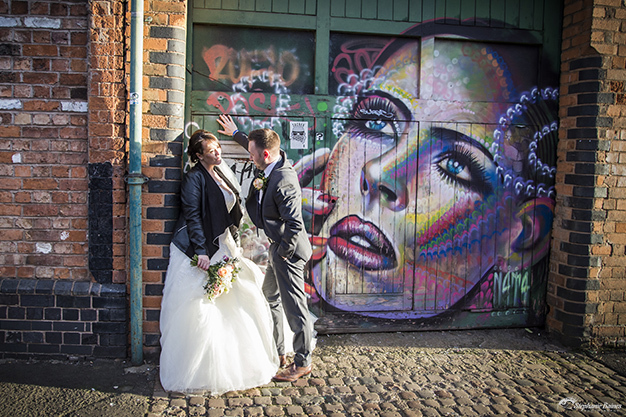 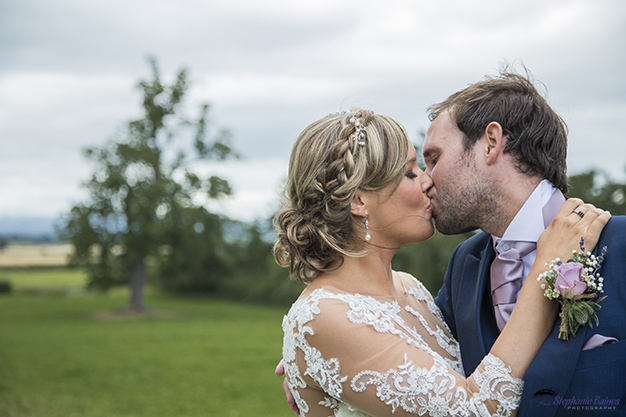 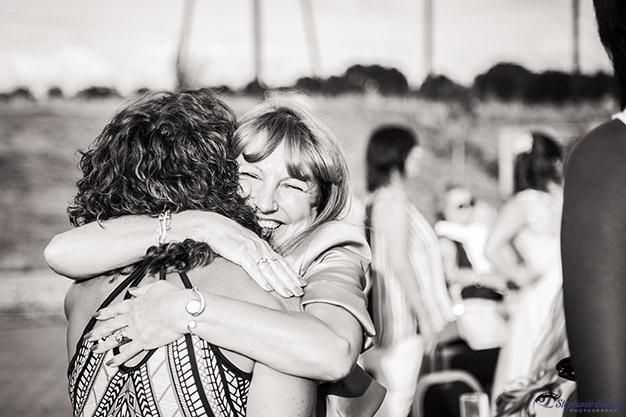 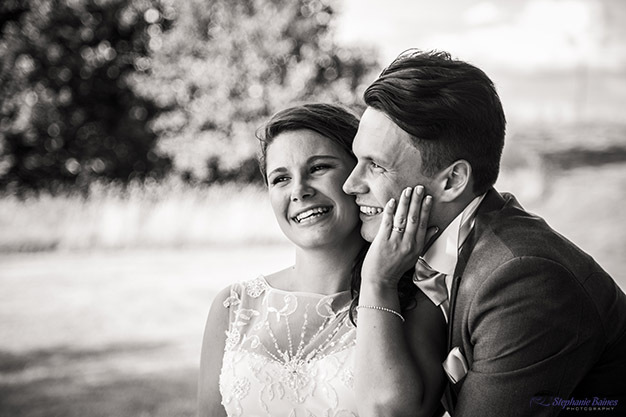 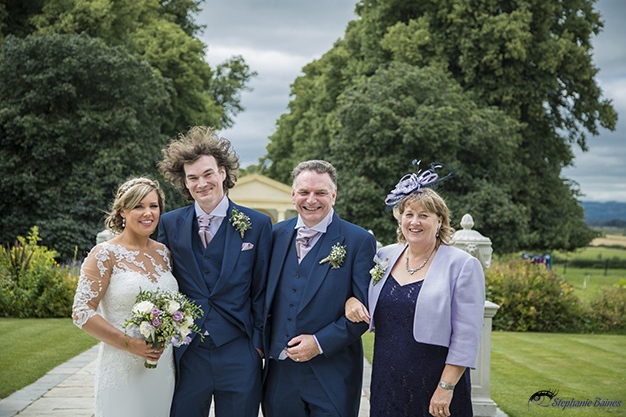 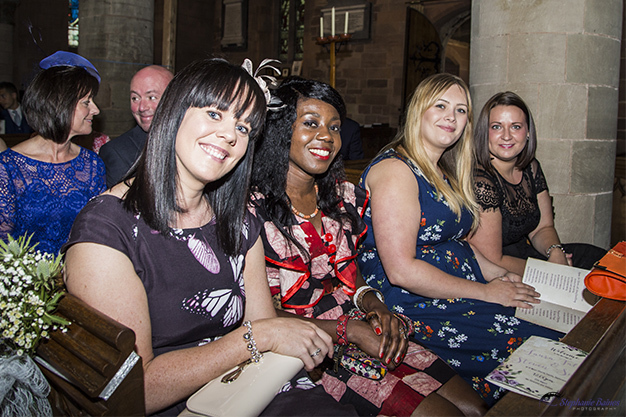 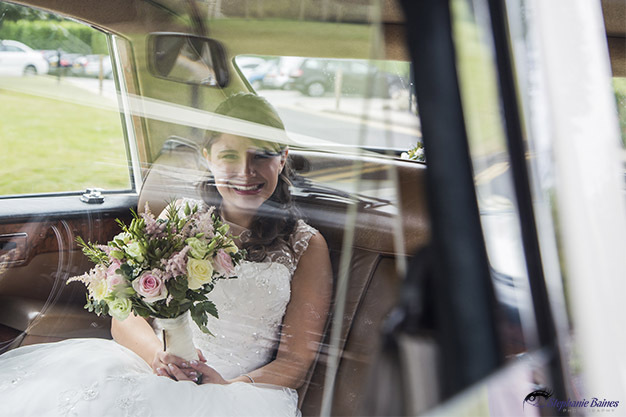 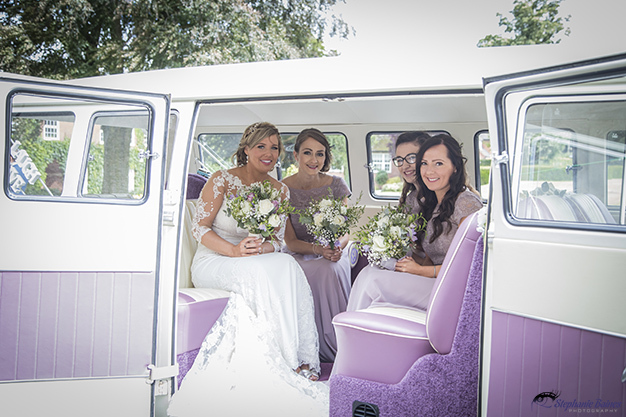 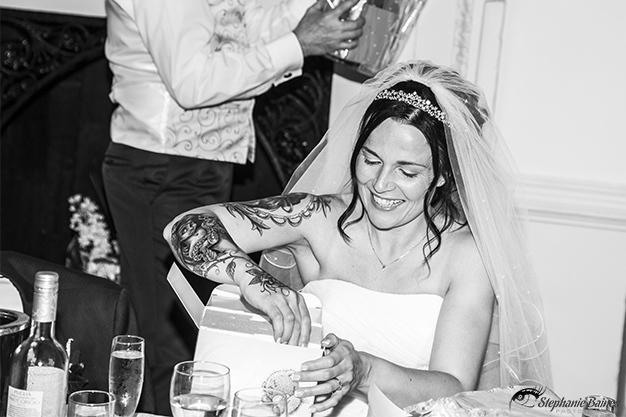 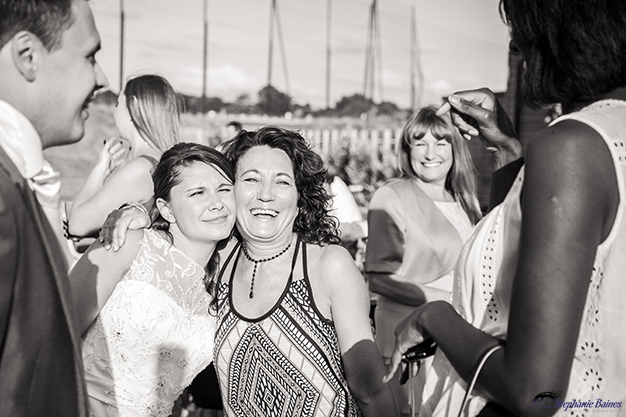 Andy and Kelly’s wedding day was one of those lovely, relaxed and magical wedding days, where everything flowed seamlessly and the time just flew by, as everyone was having such a wonderful time. 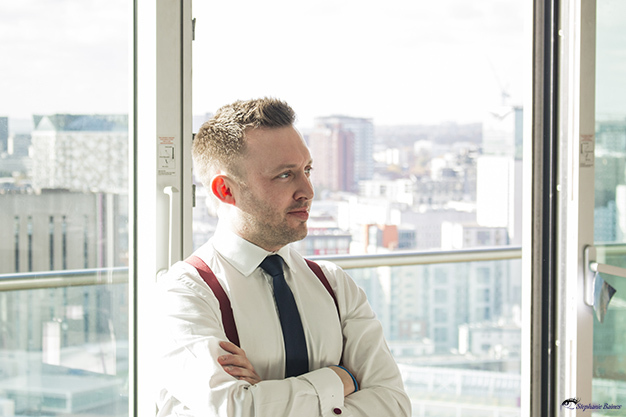 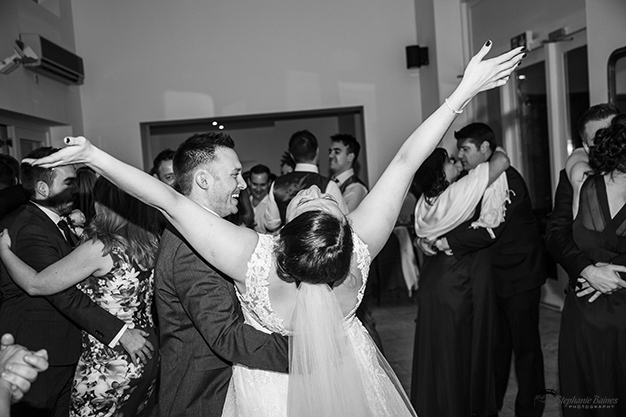 Kelly rang me at the beginning of the year to enquire about my availability for their wedding date and after a brief chat she booked me on the spot! 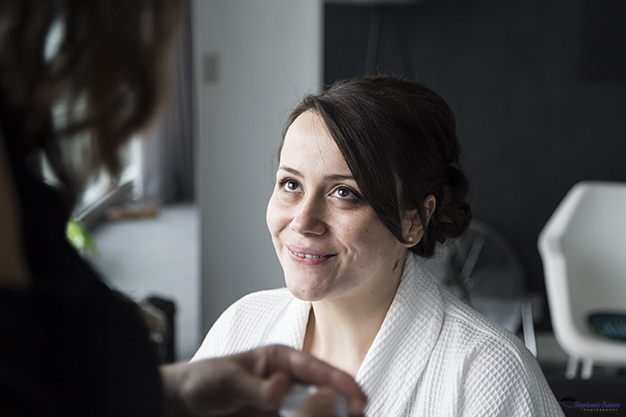 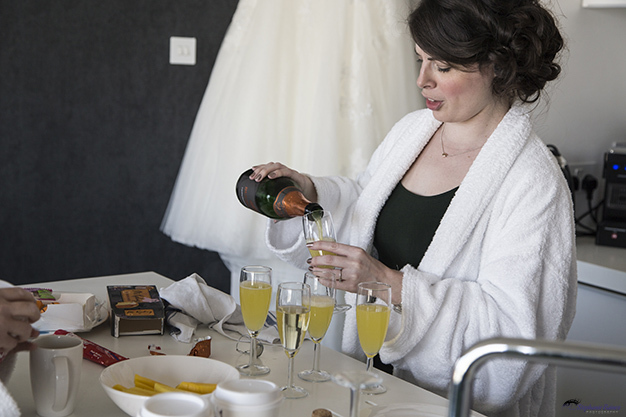 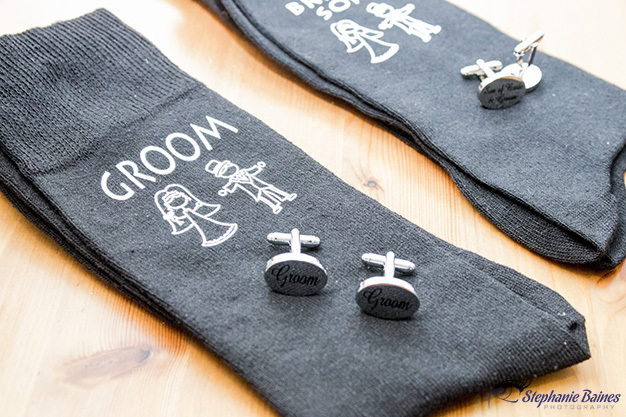 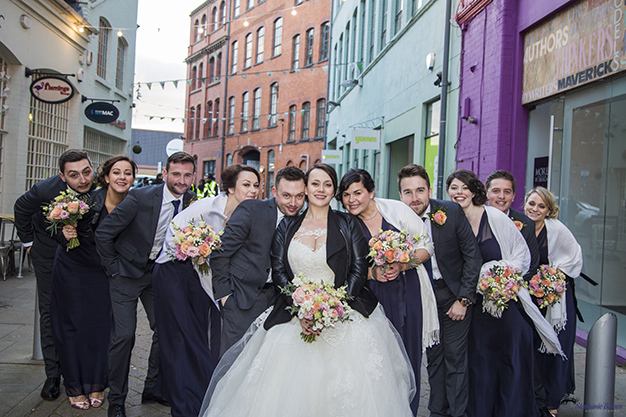 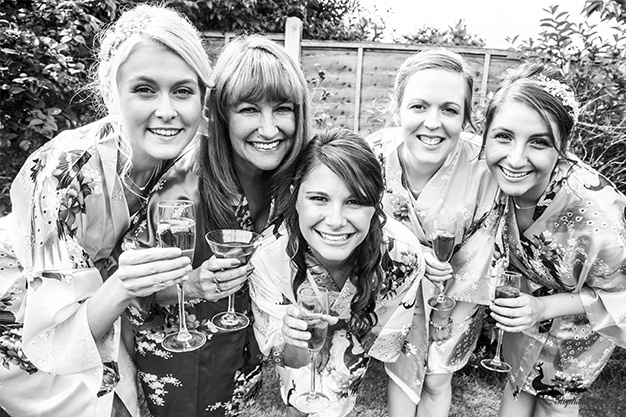 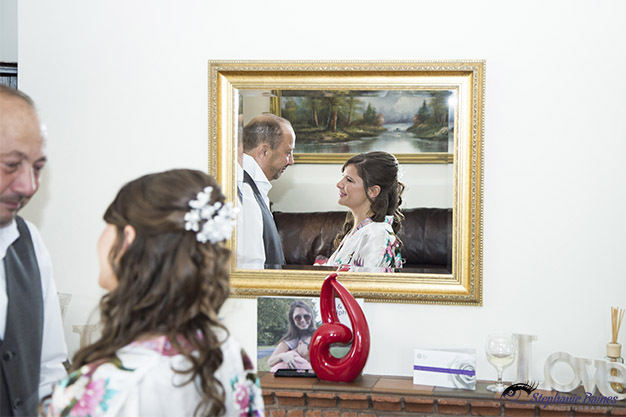 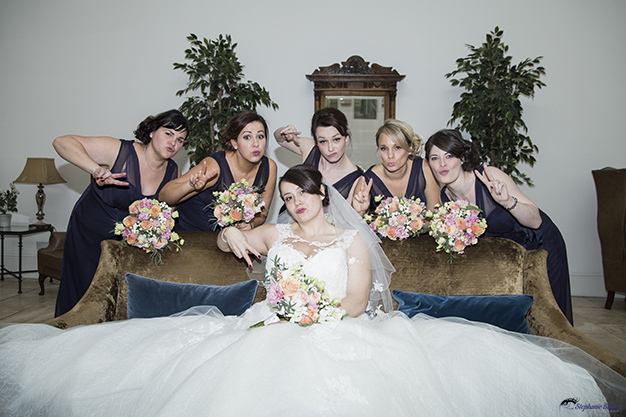 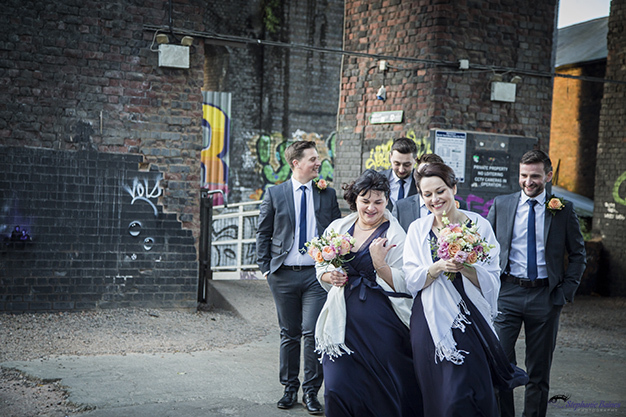 A few months and emails later, walking into the bridal suit was the first time I met Kelly and her bridal party face to face, and I was soon wrapped up in all the excitement and merriment and was snapping away with a huge smile on my face. 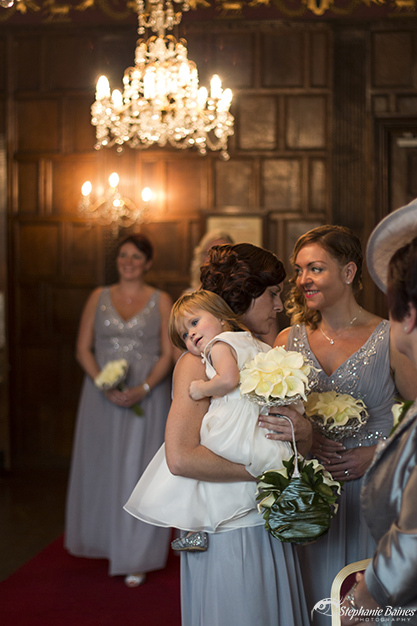 I also gained a little helper on the day in the form of a fabulous flower princess. 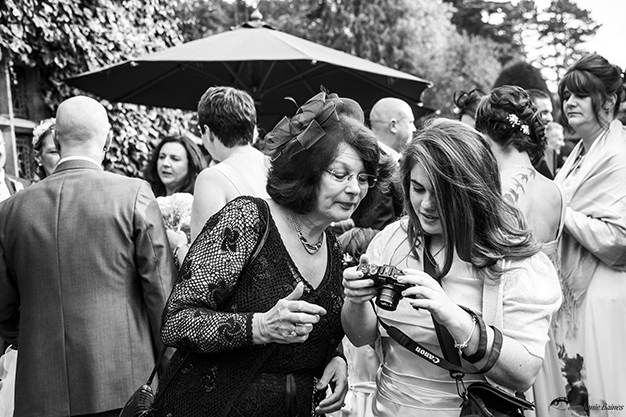 This little lady followed me around and hollered at guests when I couldn’t get their attention for group shots or when they weren’t moving fast enough for her liking. 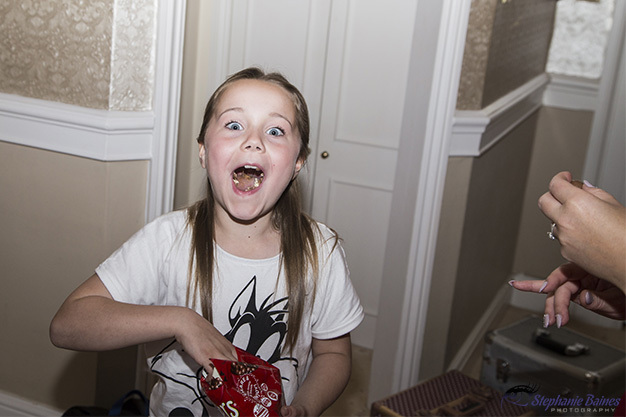 ( I will be offering her a job in a decade or so …). 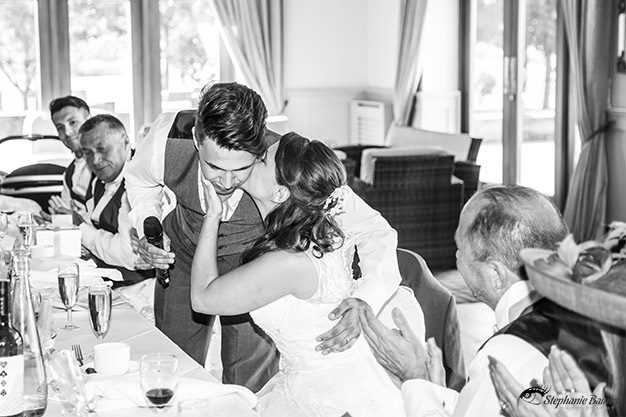 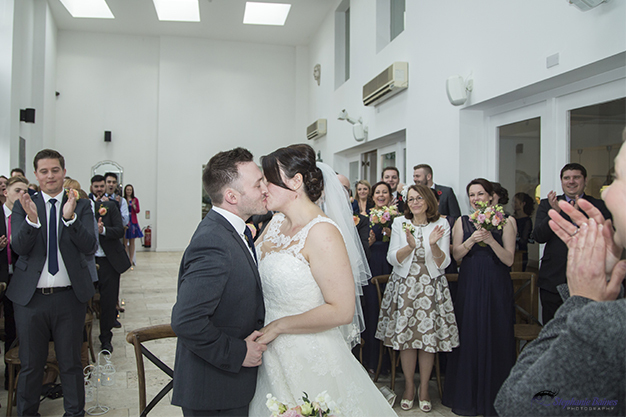 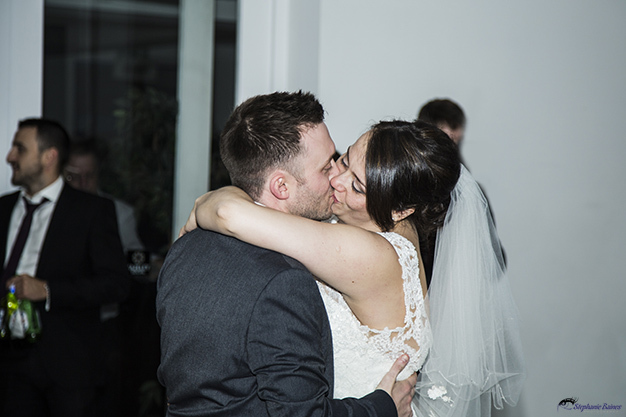 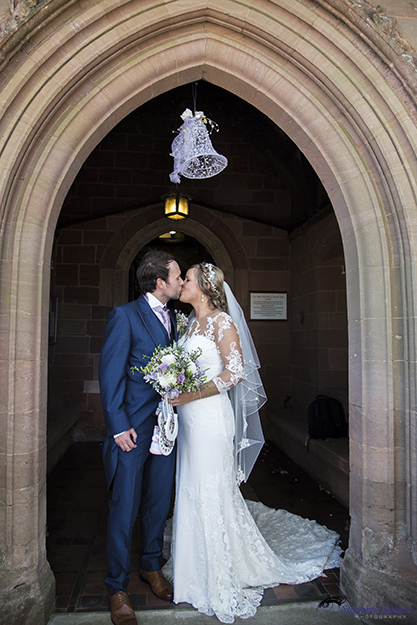 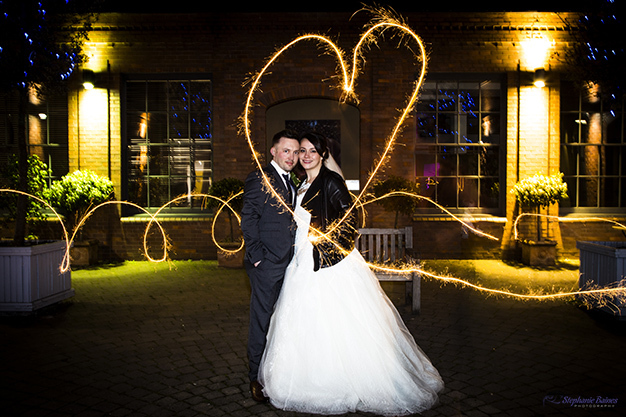 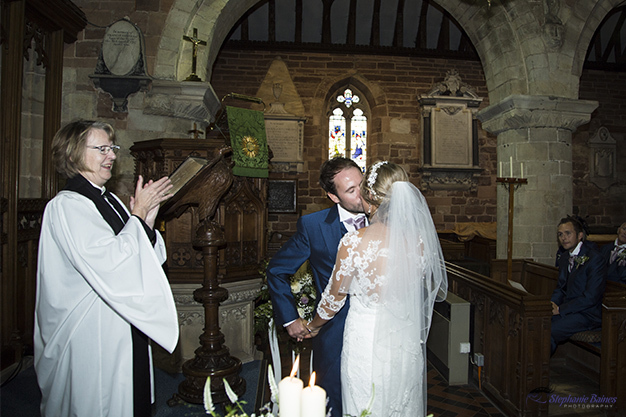 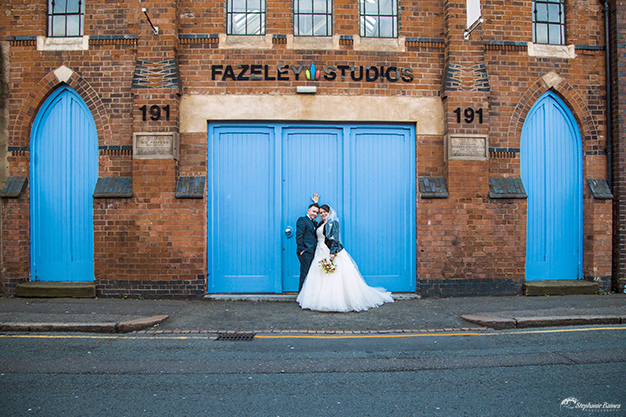 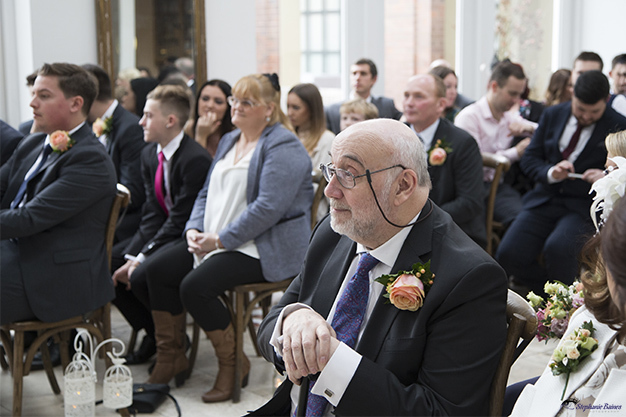 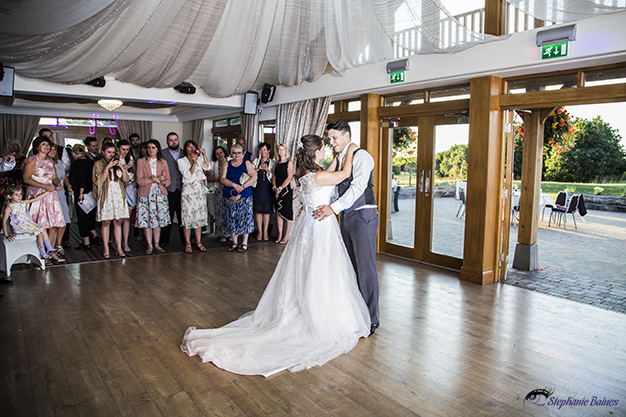 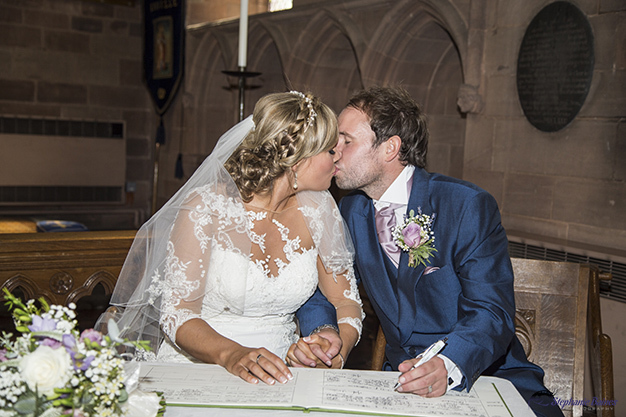 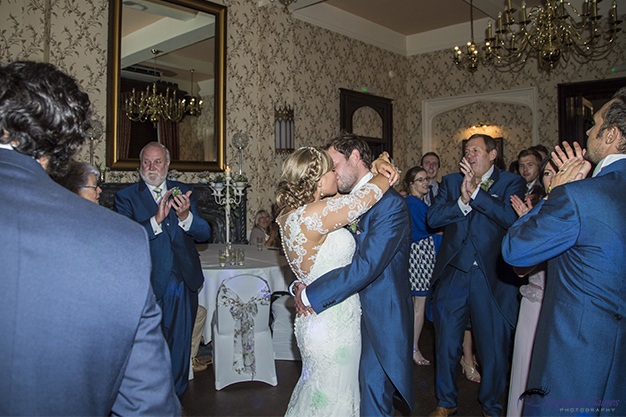 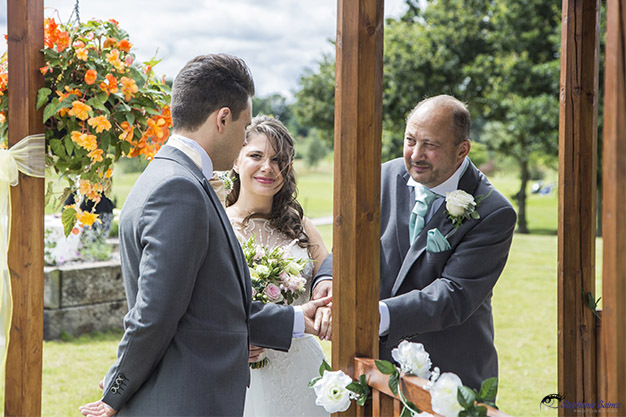 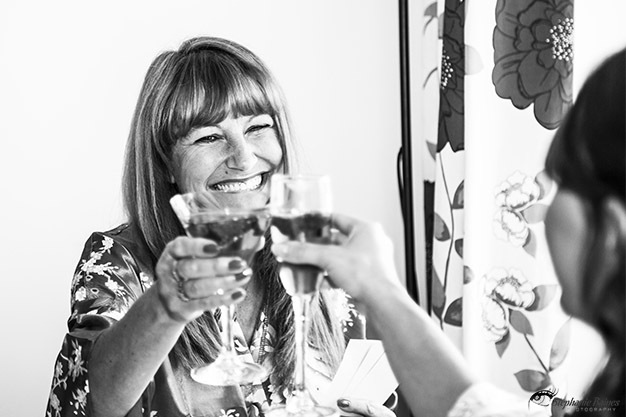 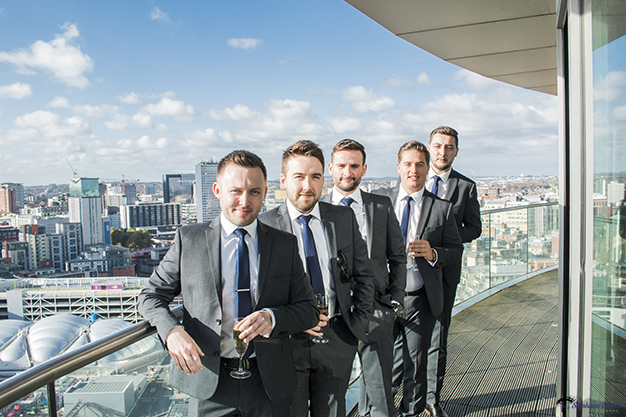 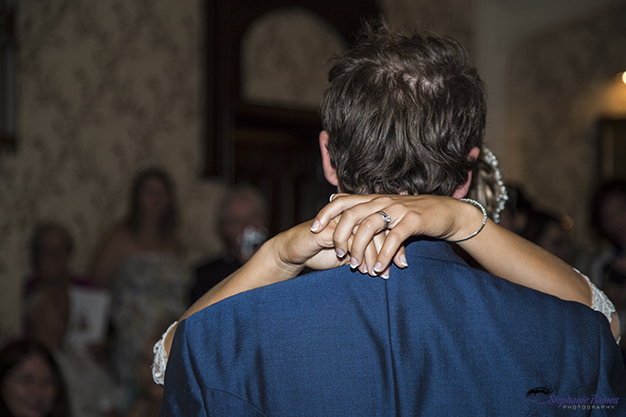 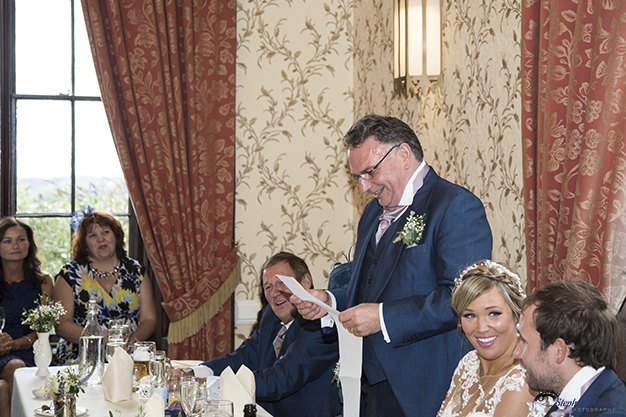 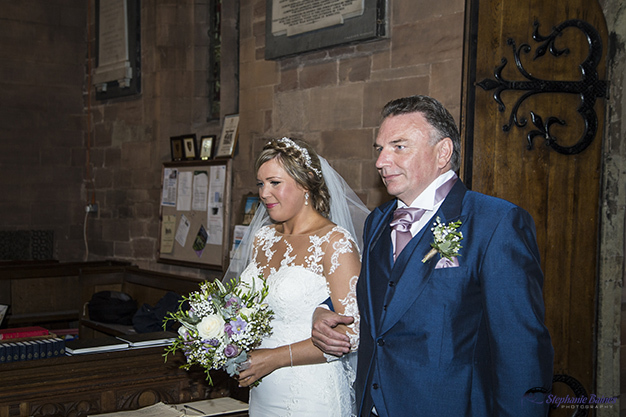 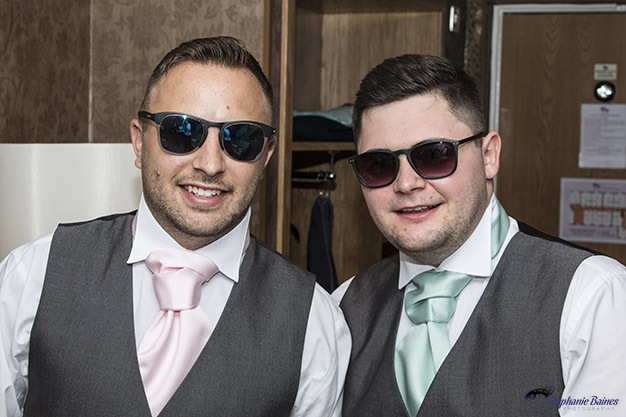 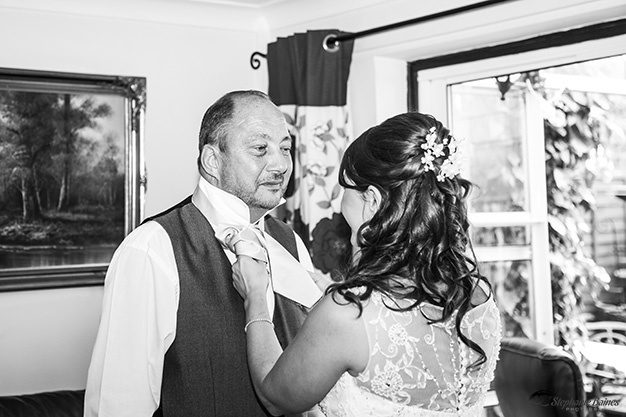 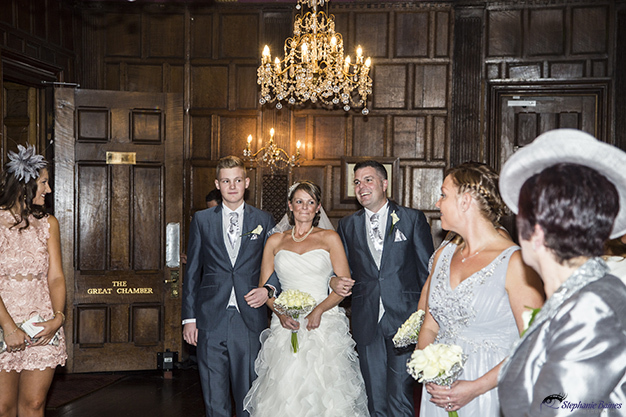 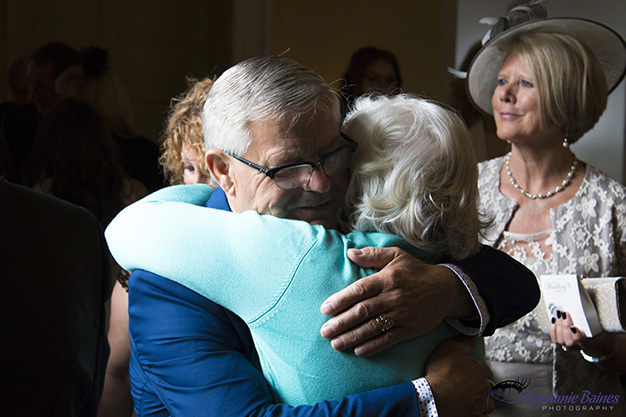 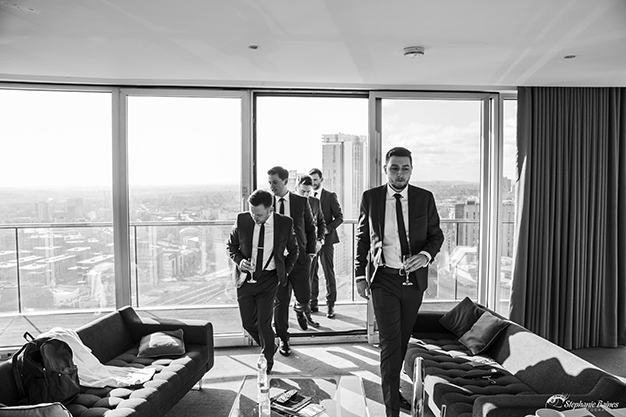 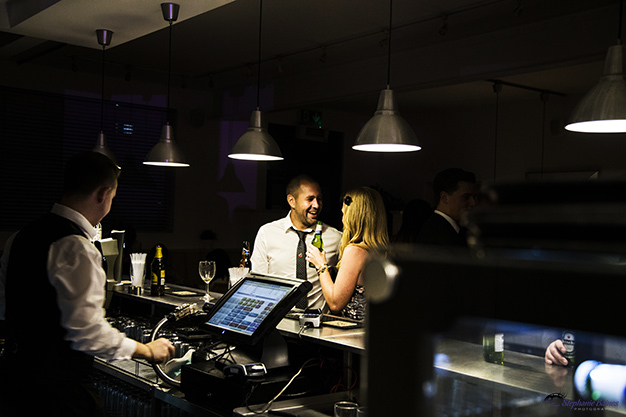 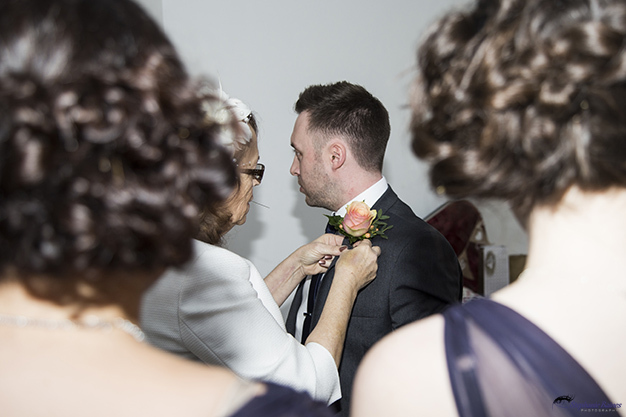 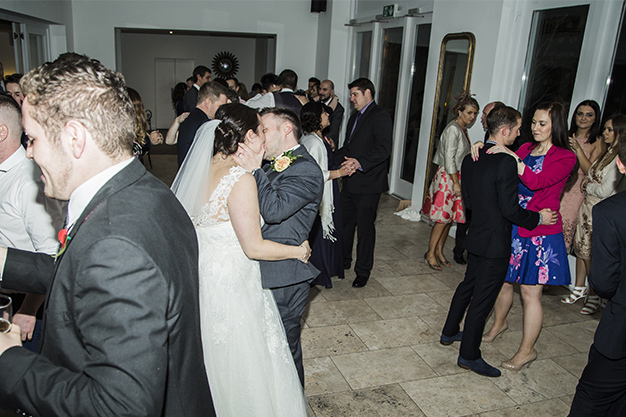 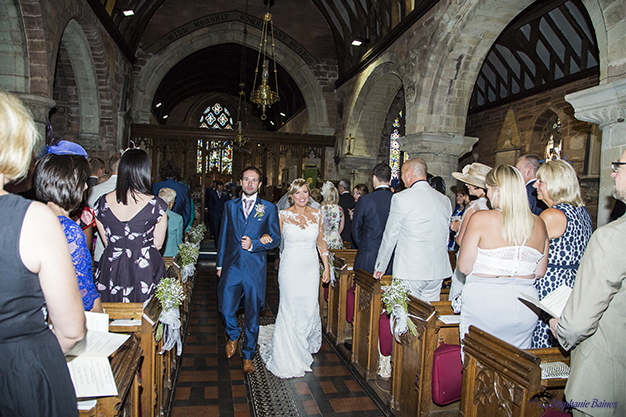 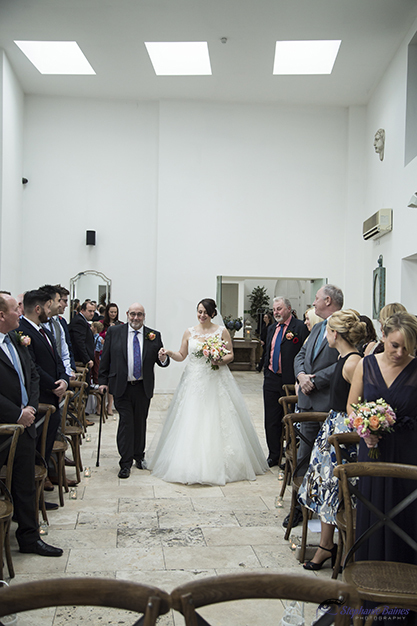 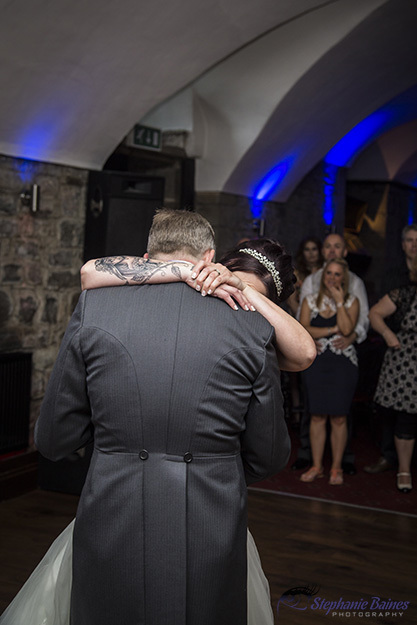 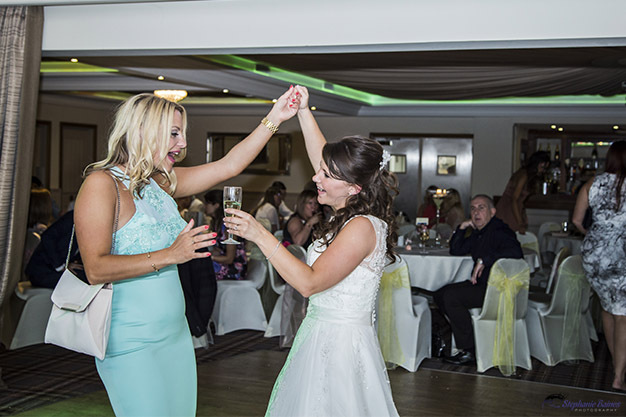 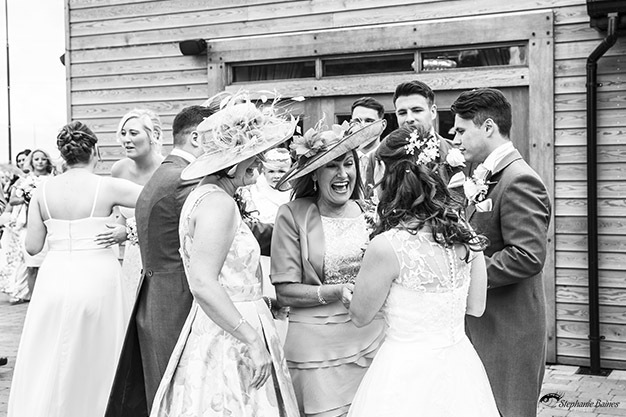 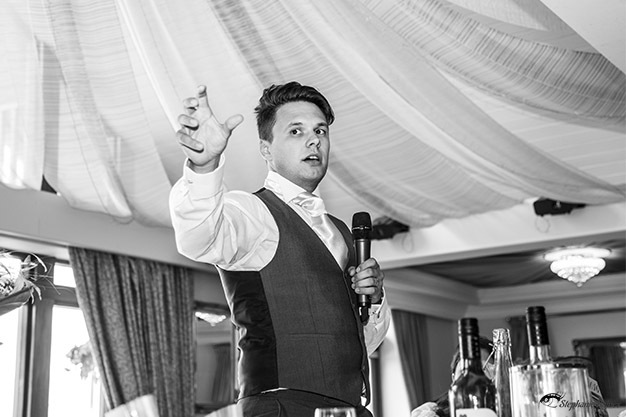 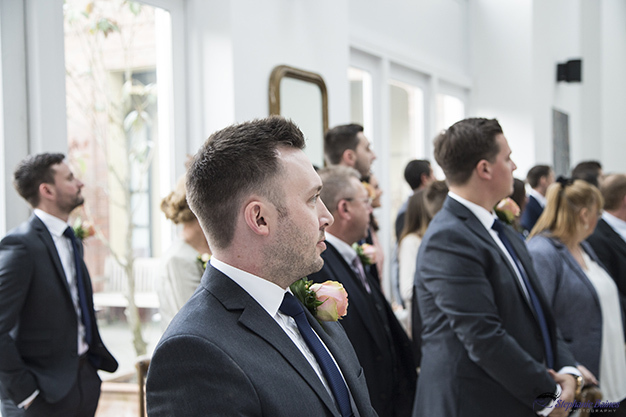 Their ceremony was an intimate one, with 25 close friends and family members witnessing their vows, whilst their other guests waited to celebrate in the lounge bar. 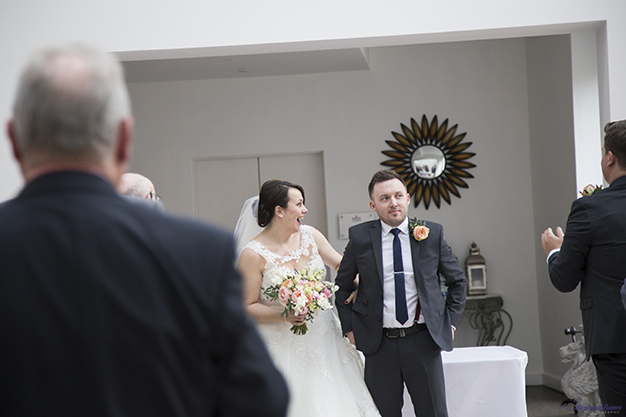 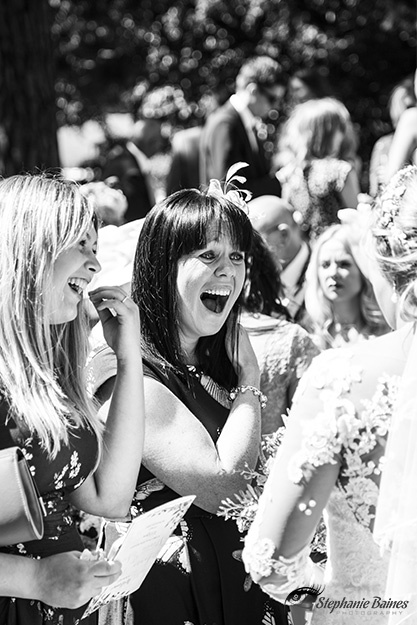 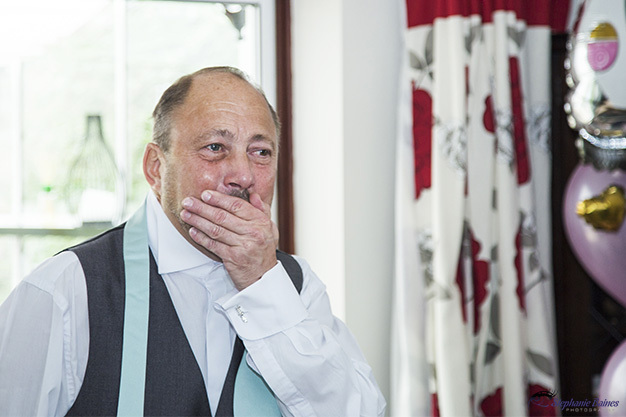 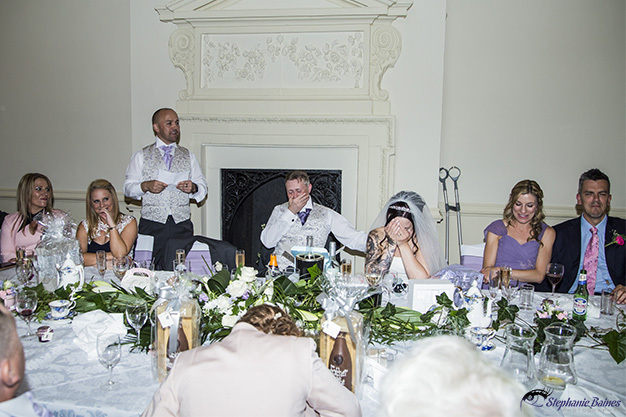 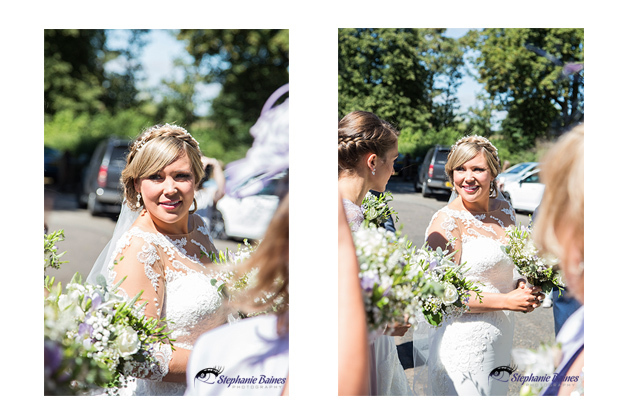 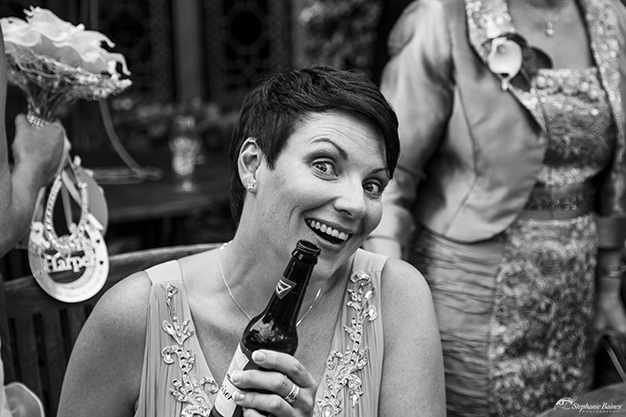 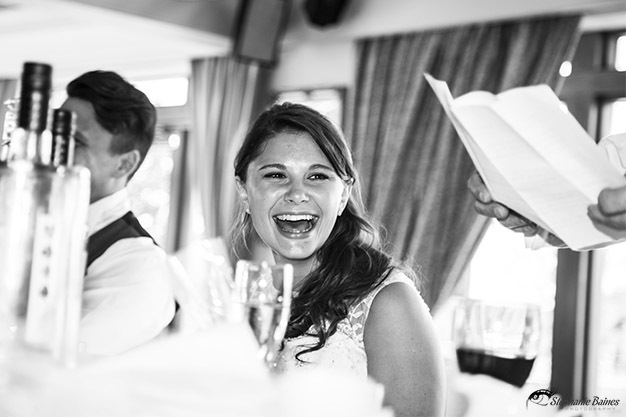 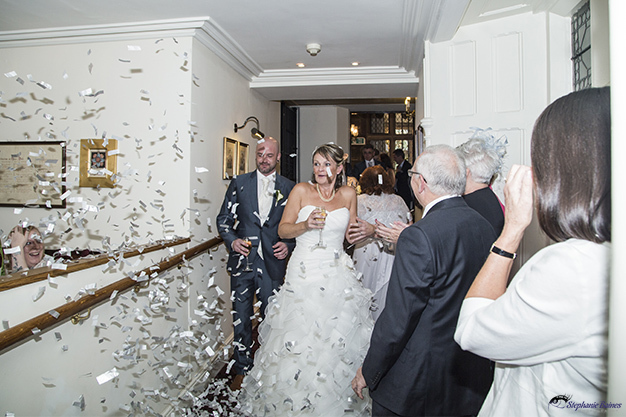 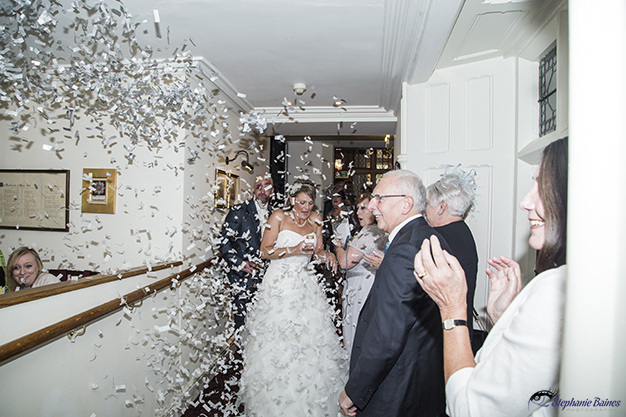 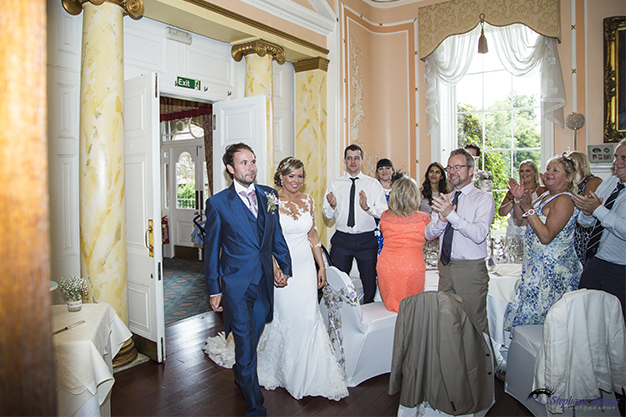 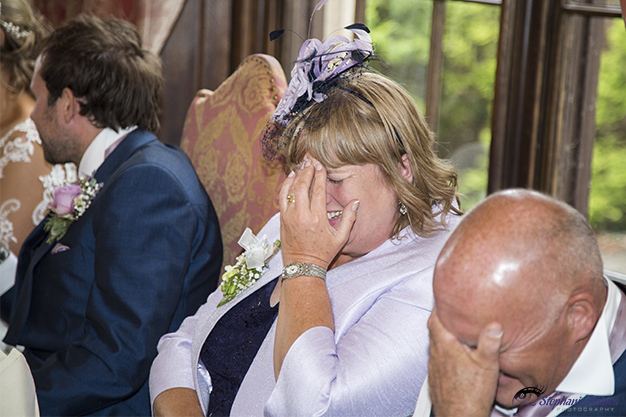 As the newlyweds made their way into where their guests waited, someone let off a confetti canon and as you can see from Kelly’s reaction – it was totally unexpected!! 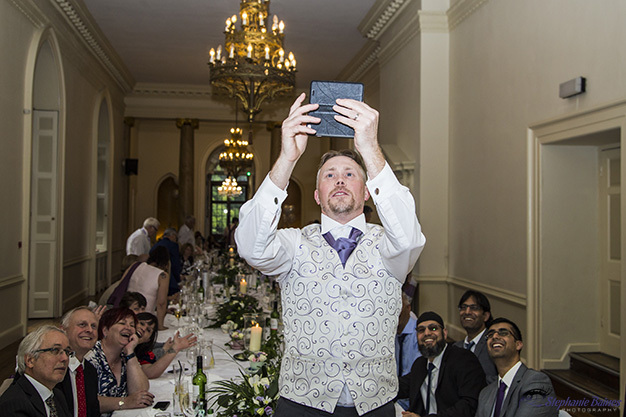 Thank goodness I had my finger firmly on the camera trigger, as I think I jumped higher than anyone in the room when it went off! 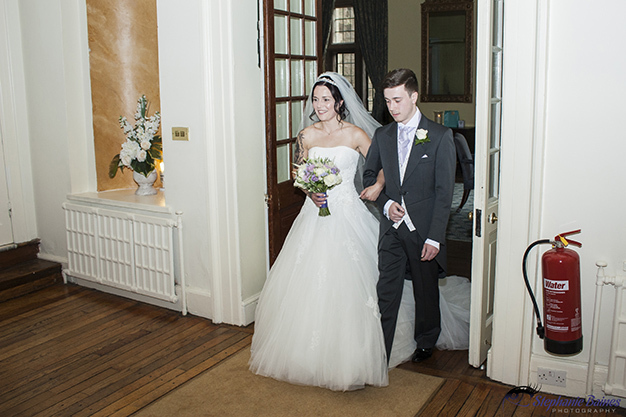 We have received our photos today. 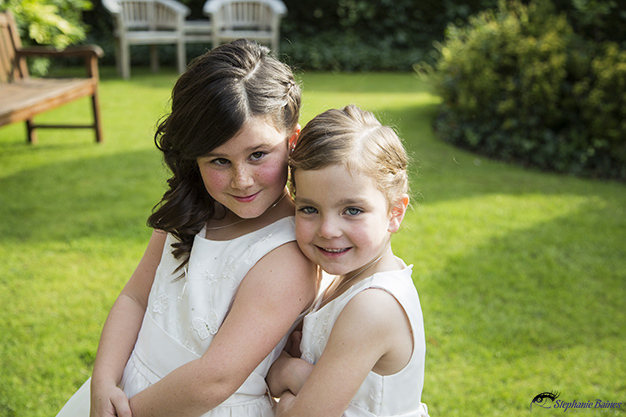 Thank you so much we are absolutely thrilled with them. 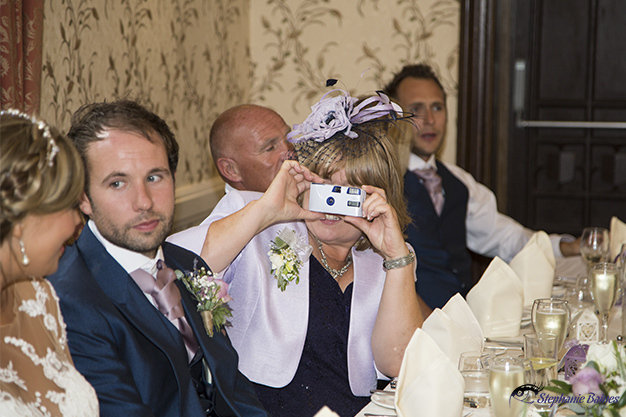 You did a fantastic job on the day and now that the photos are here, you captured some lovely moments some of which we didn’t remember. 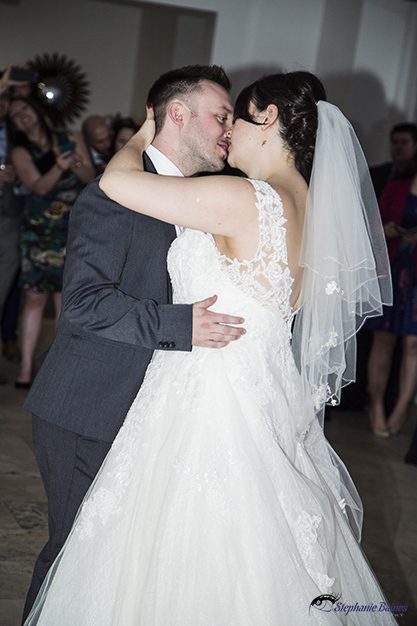 We have relived our day. 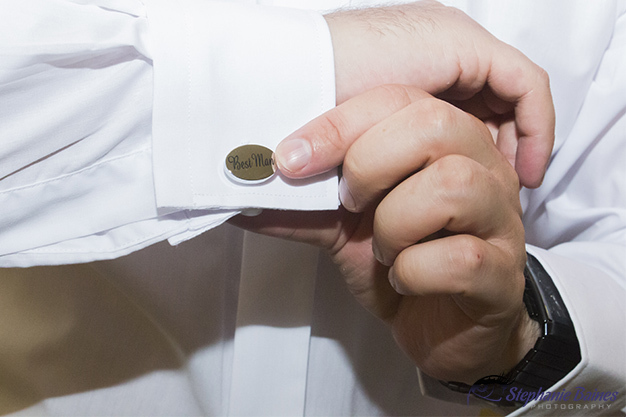 We will recommend you to all we know. 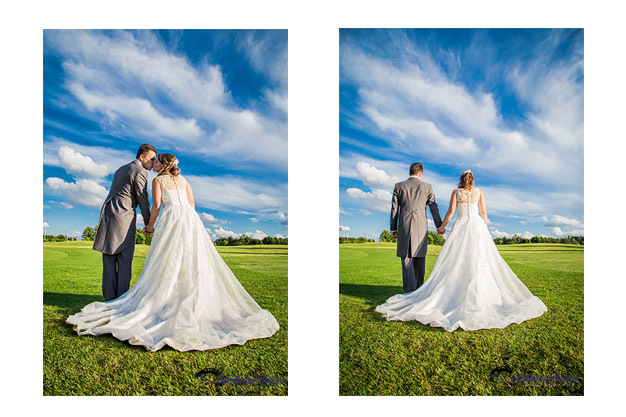 Oh what a spectacular wedding day! 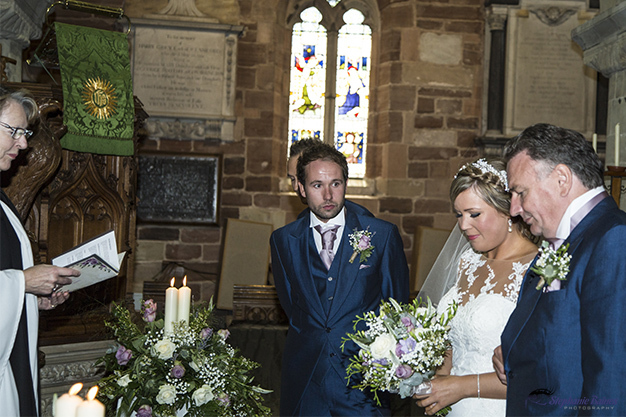 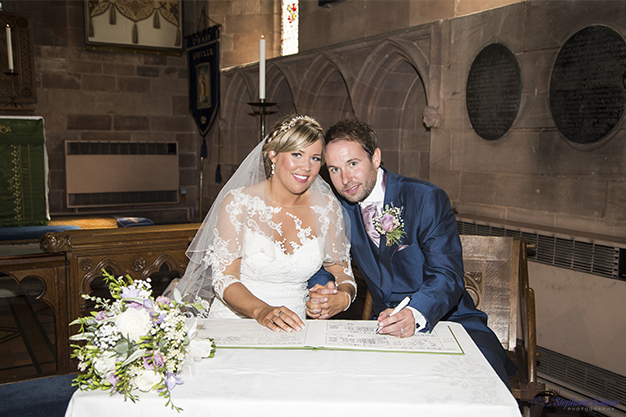 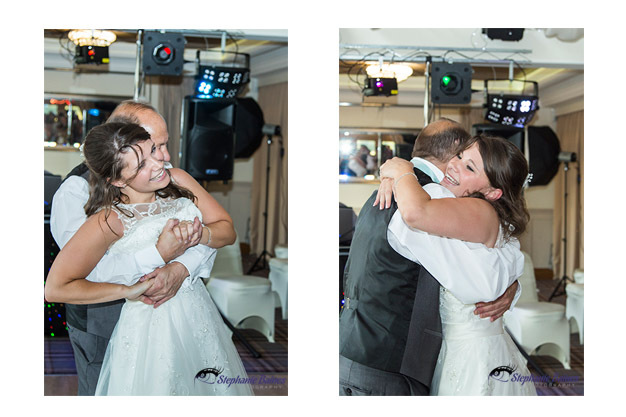 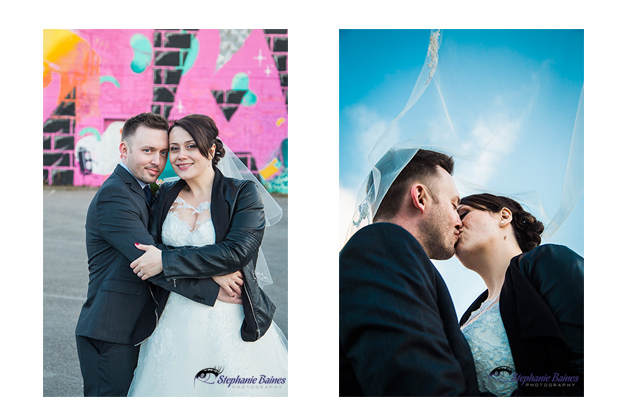 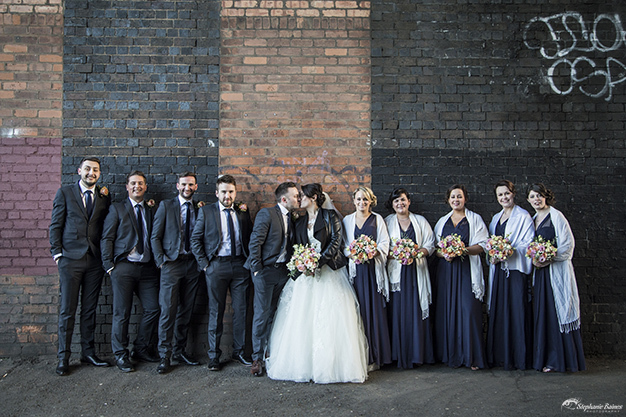 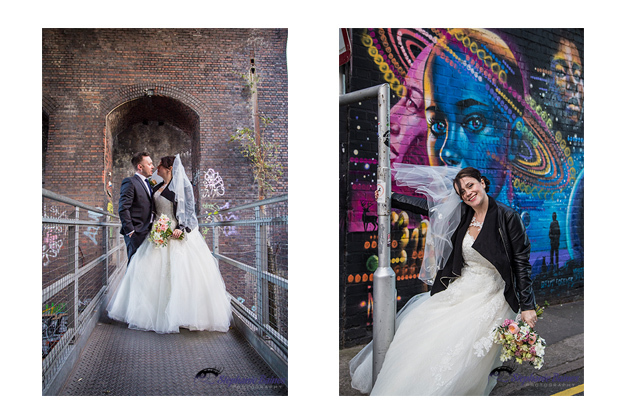 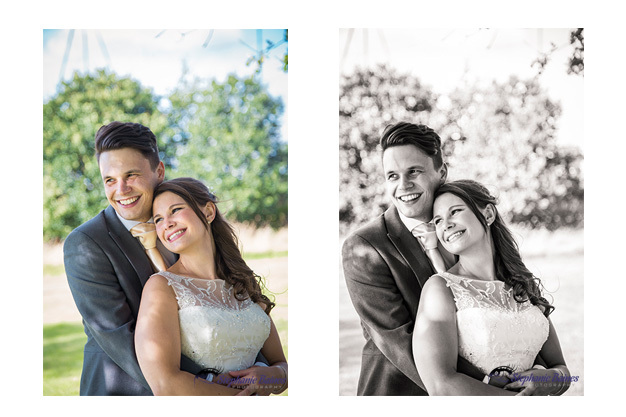 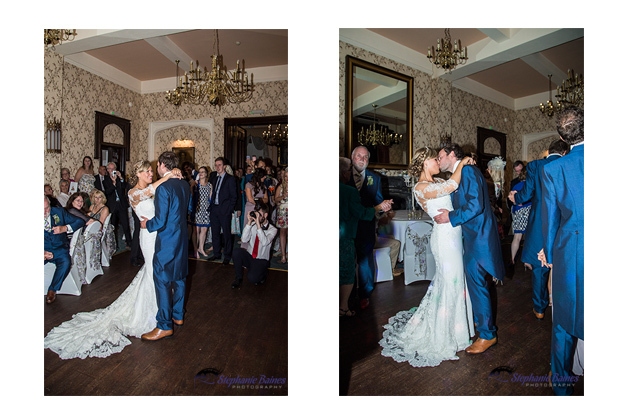 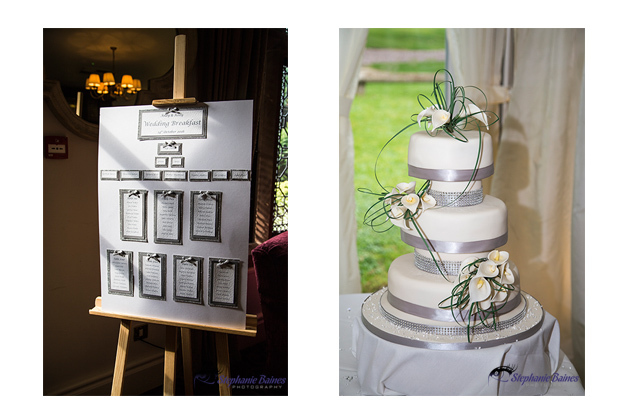 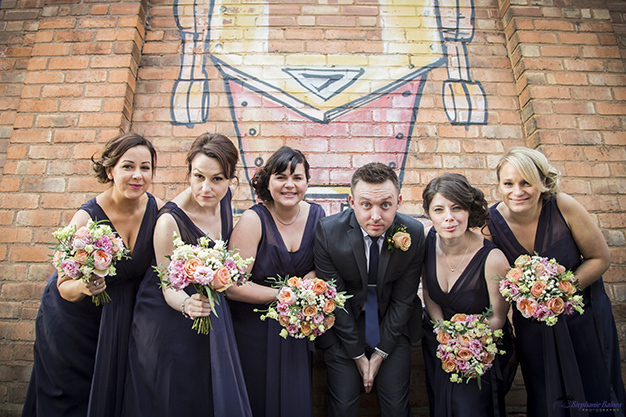 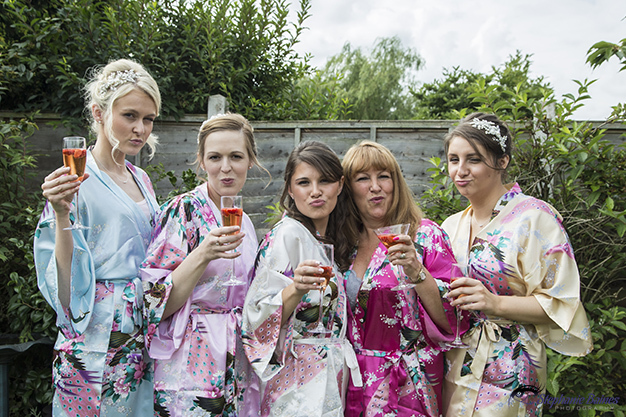 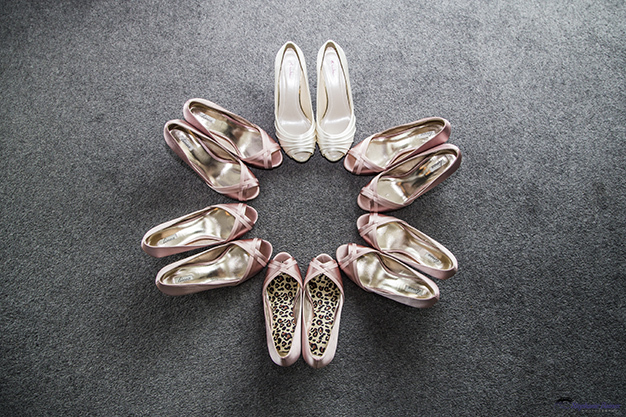 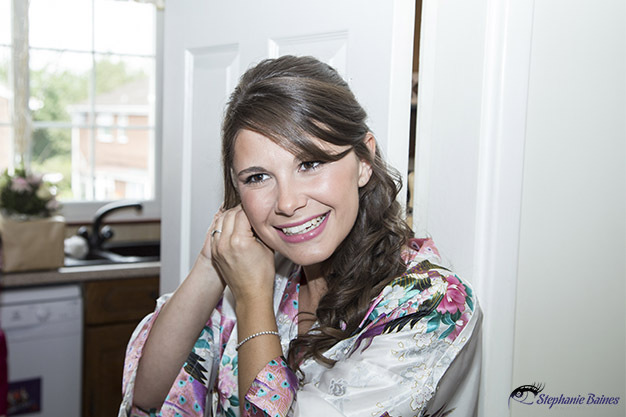 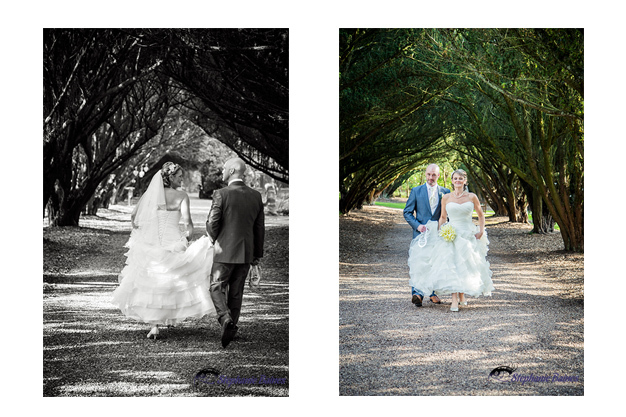 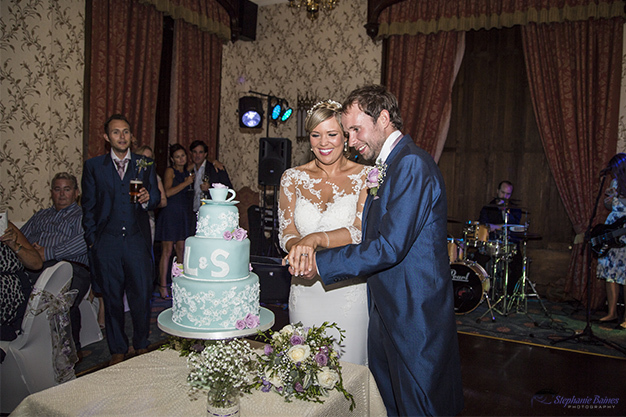 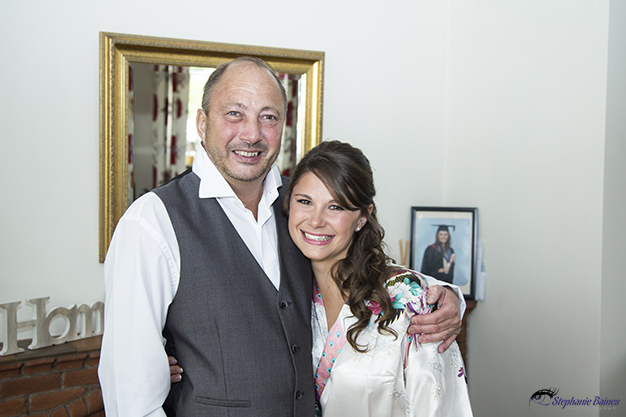 As wedding days go Laura and Steve’s special day was absolutely perfect! 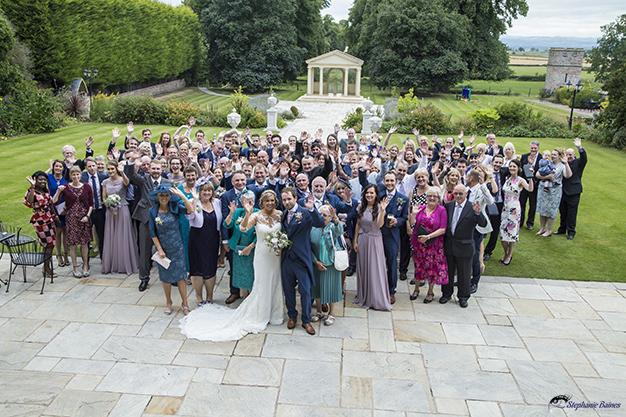 The weather, the setting, their wonderful family and guests, all coming together to create a day no one could forget. 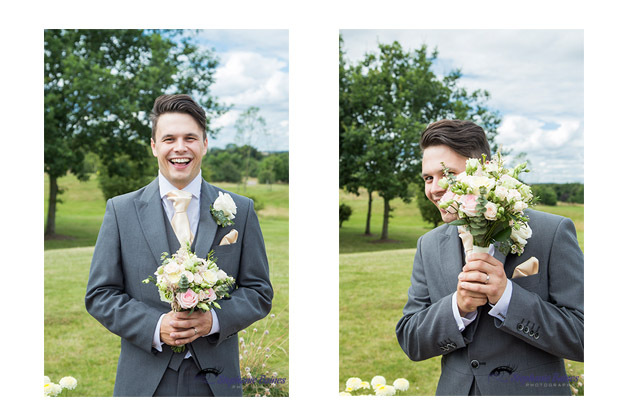 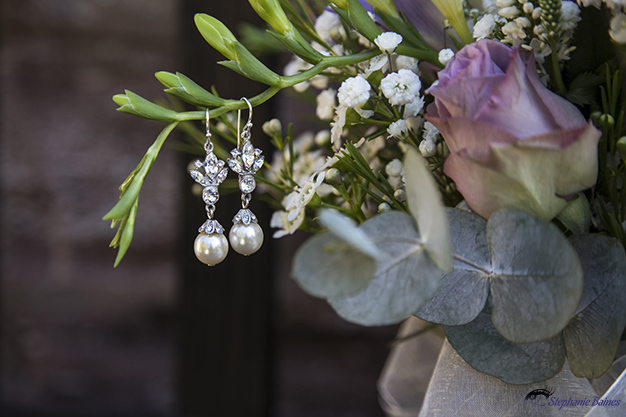 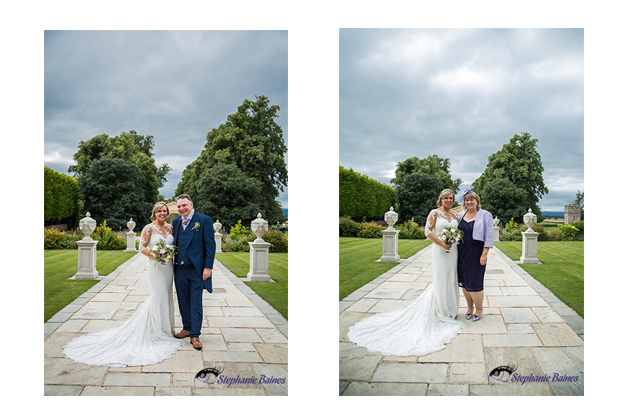 I was one happy wedding photographer on the day, the weather had been a tad changeable for a few days prior, so on the morning of the wedding, I let out a sigh of relief to see clear blue skies and sunshine. 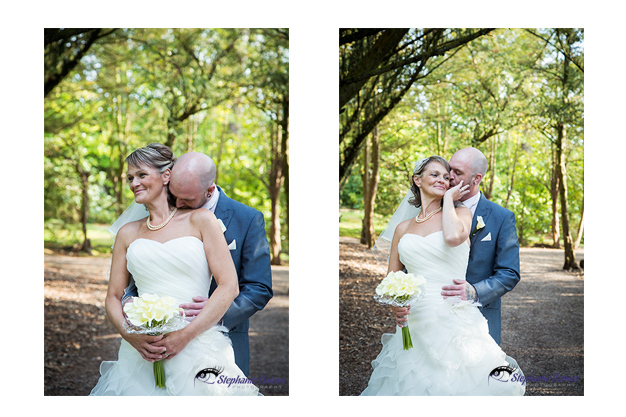 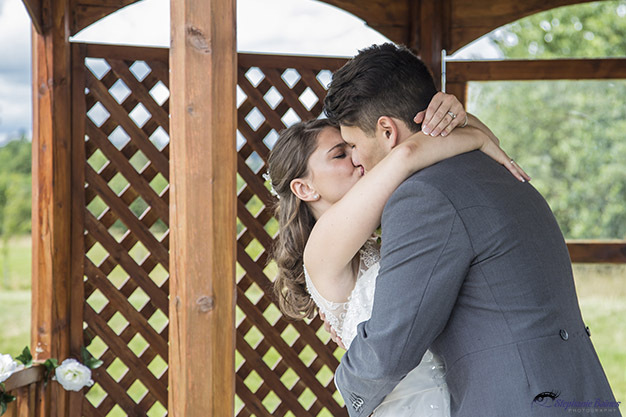 I just knew I was going to capture gorgeous wedding photographs and I wasn’t wrong! 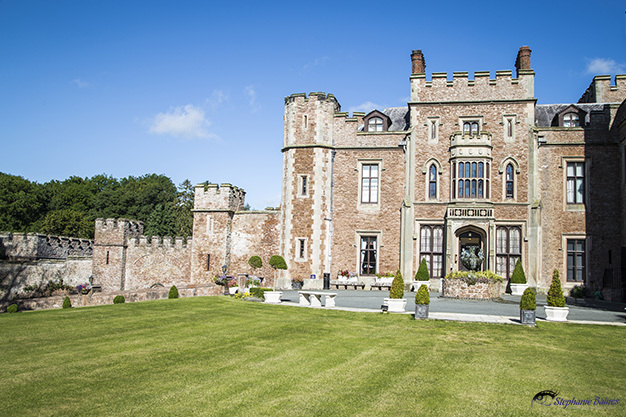 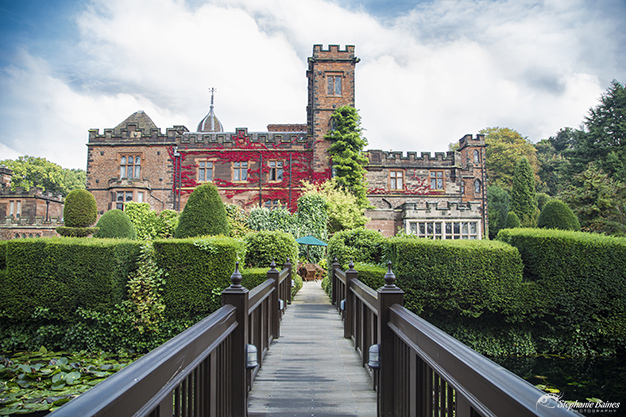 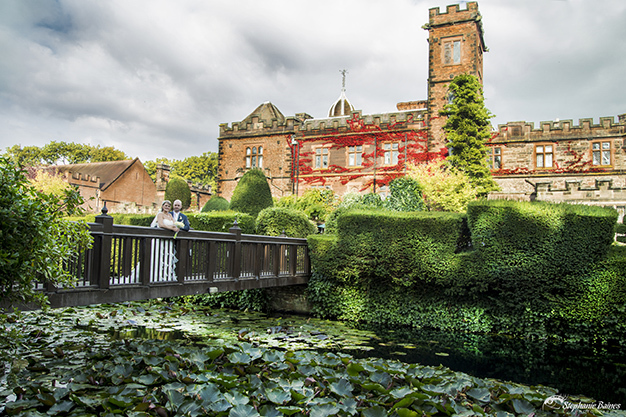 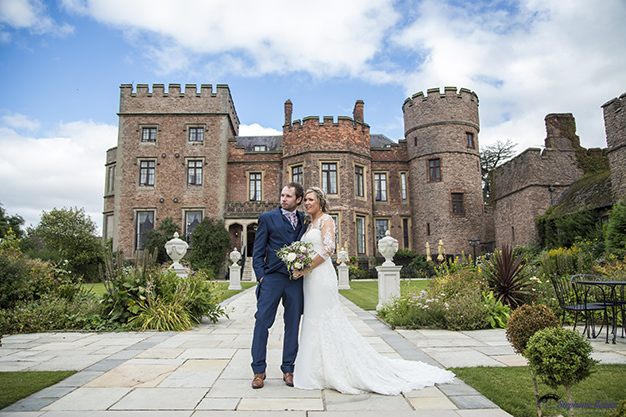 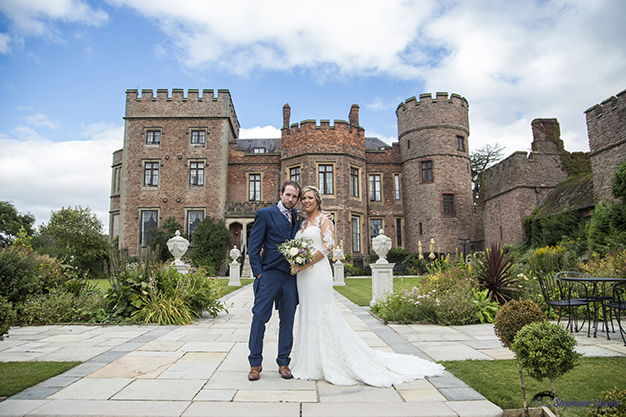 Held at the stunning Rowton Castle, the castle and its gorgeous grounds, is easily one of the most stunning wedding venues I have had the pleasure to shoot at to date. 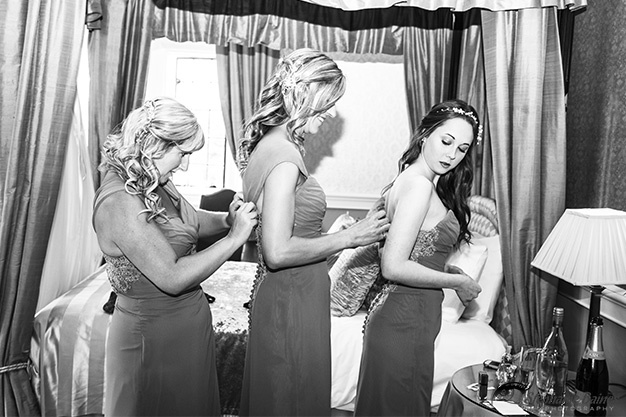 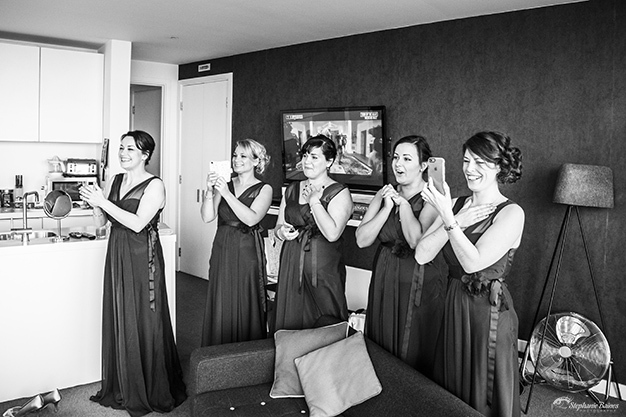 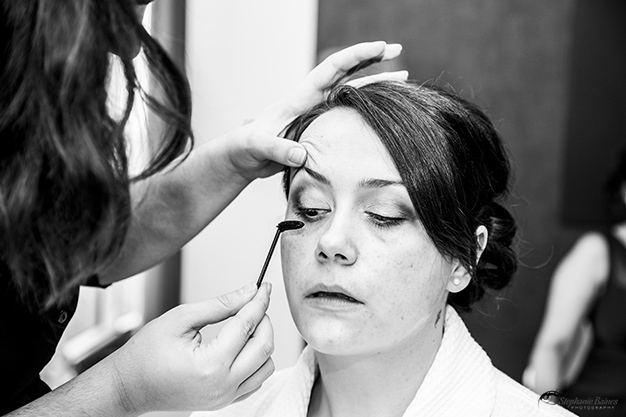 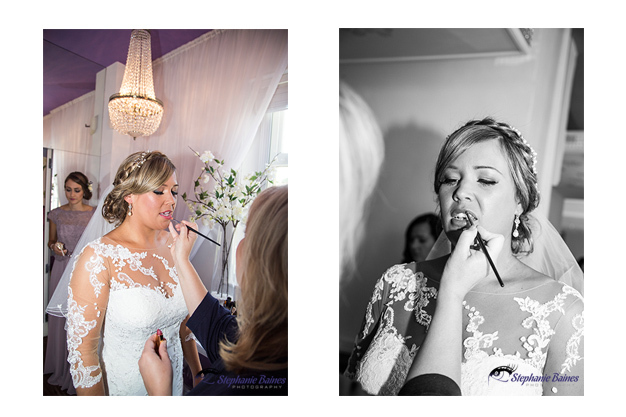 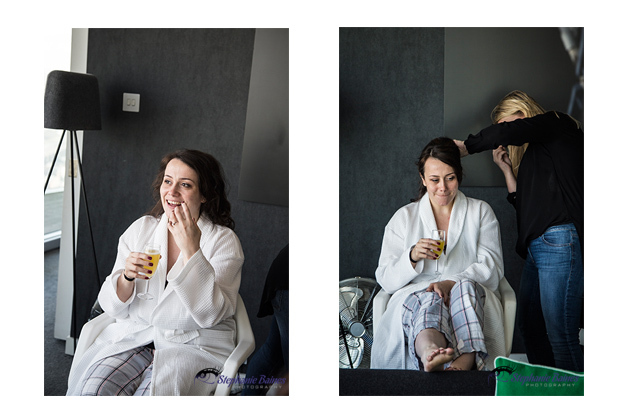 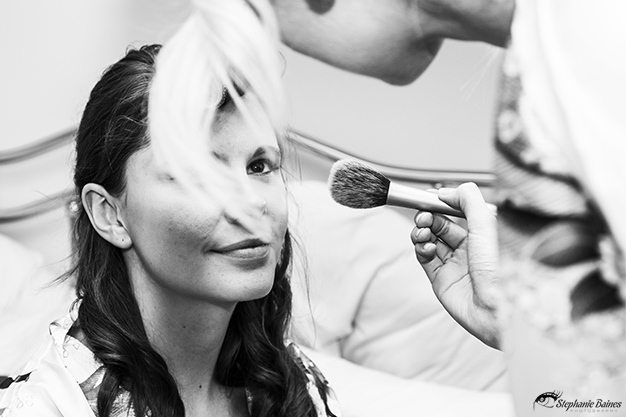 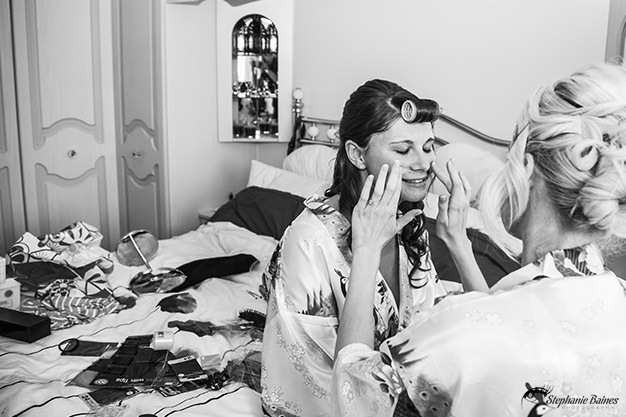 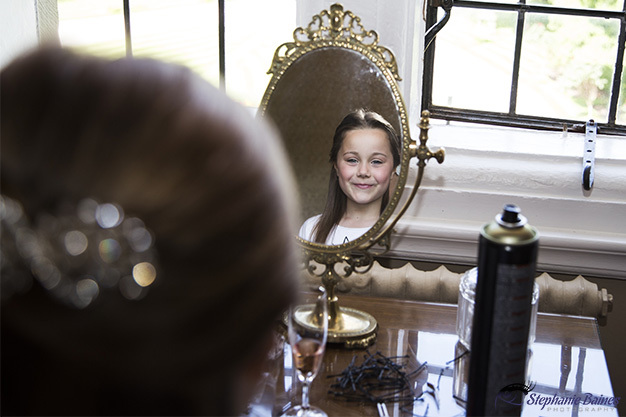 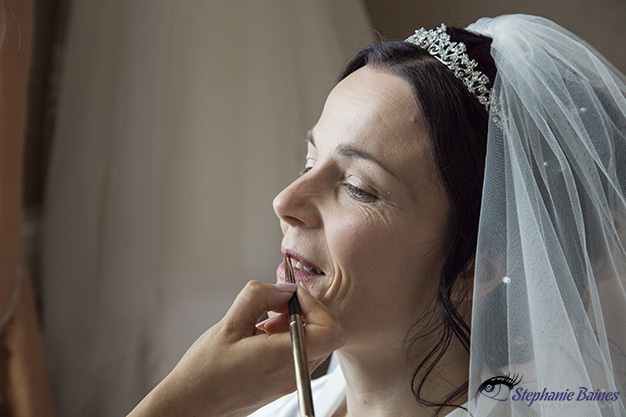 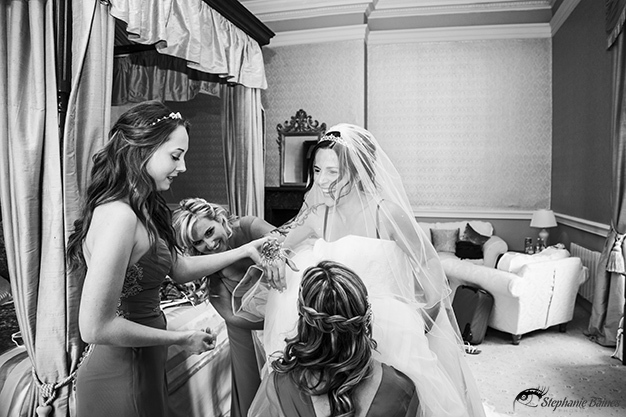 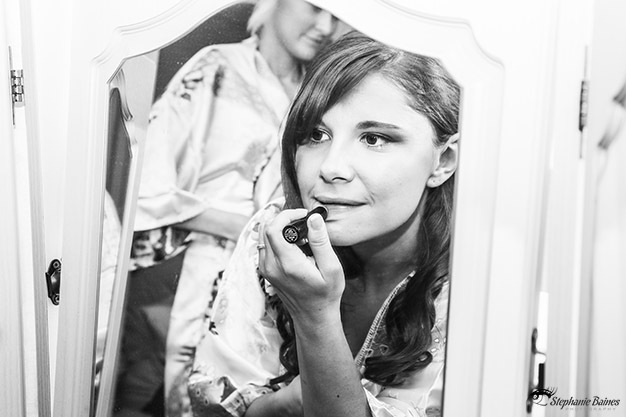 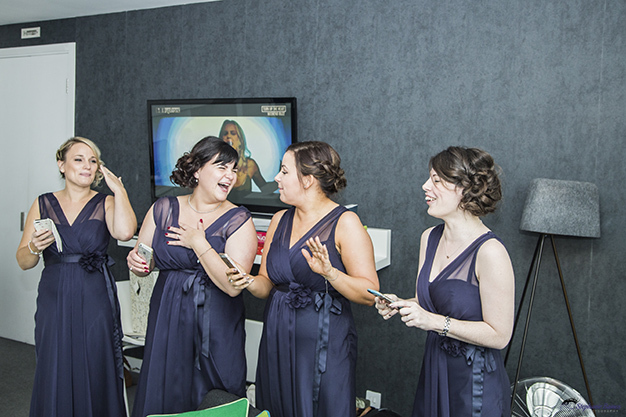 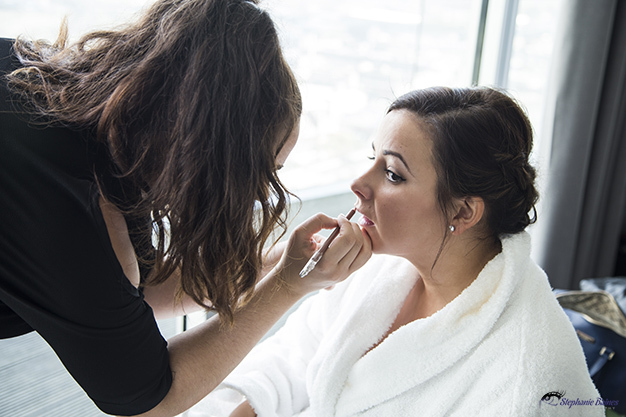 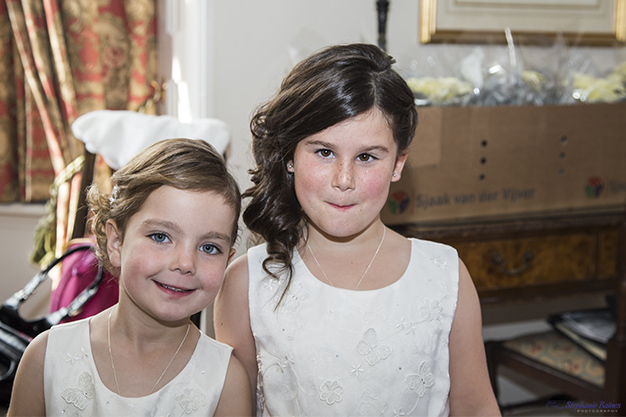 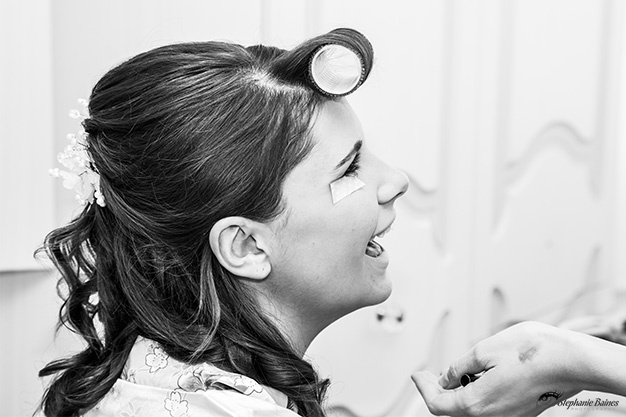 The day started early with the girls all getting ready in the castle tower rooms. 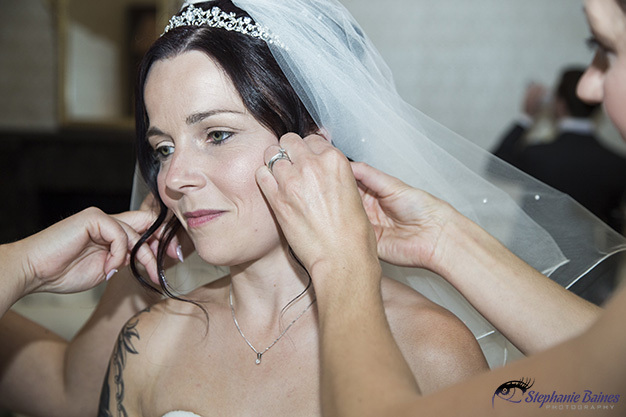 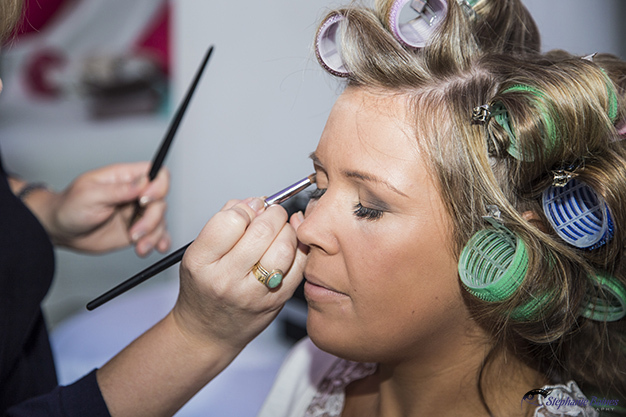 When I arrived at 8:30am the fabulous hair and make up ladies were already working away (Rachel Savine ) and there was such a great atmosphere and electricity in the air; you couldn’t help but feel excited yourself. 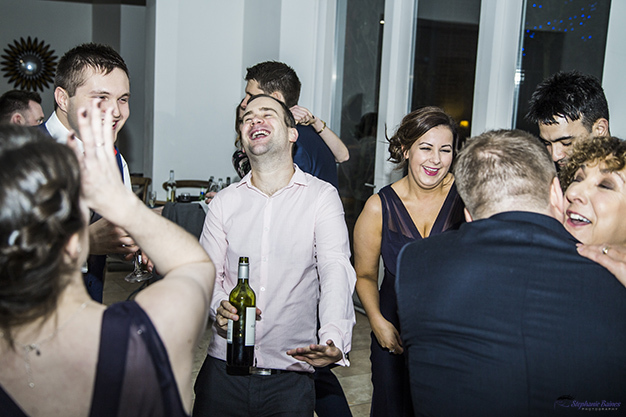 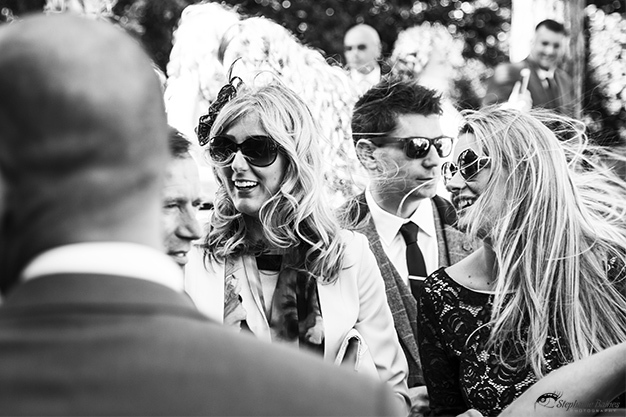 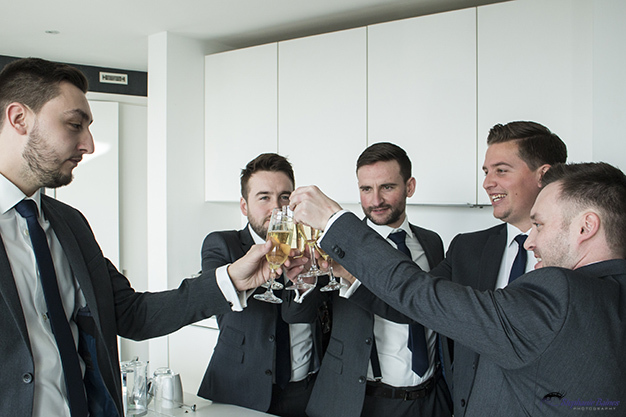 The music was playing, the champagne was flowing and the smiles were getting bigger as the morning passed. 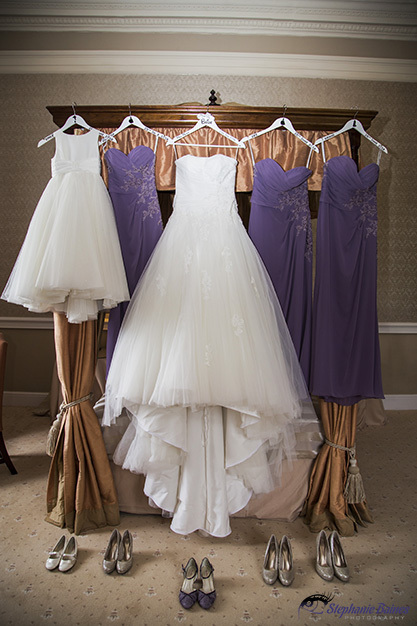 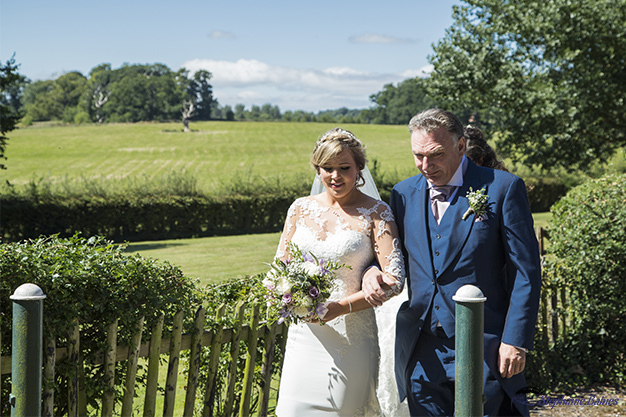 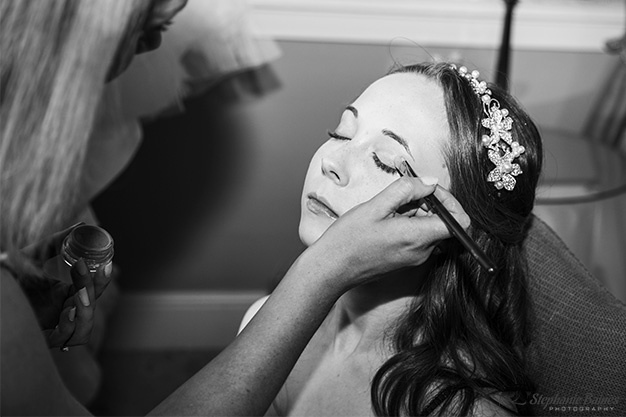 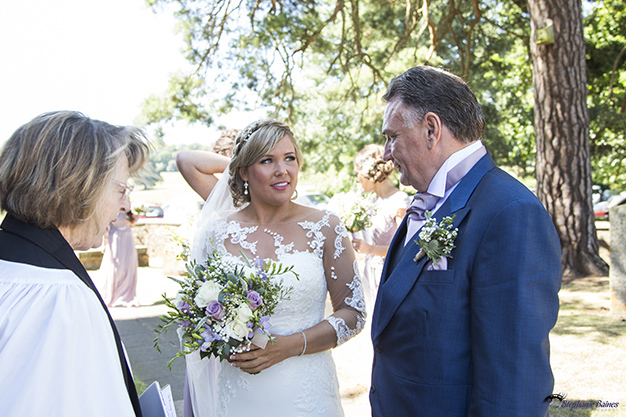 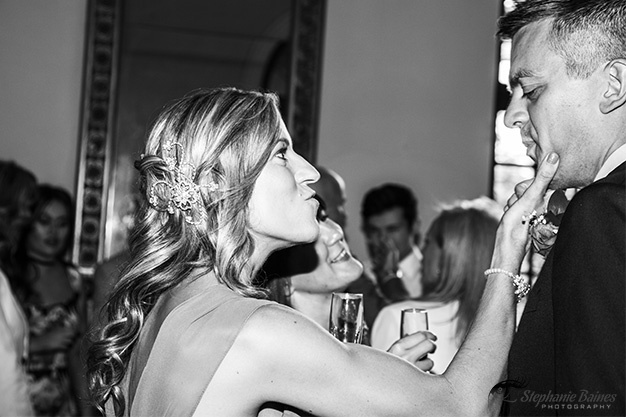 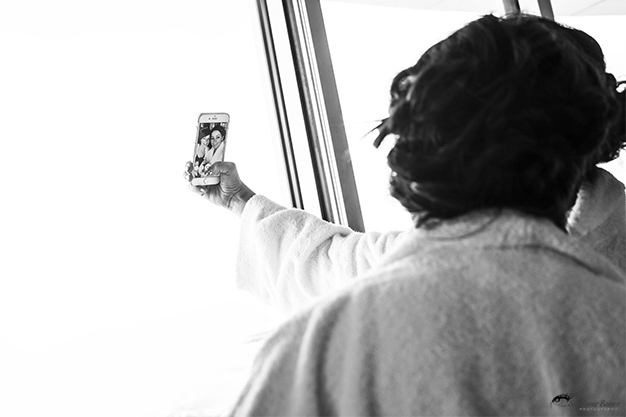 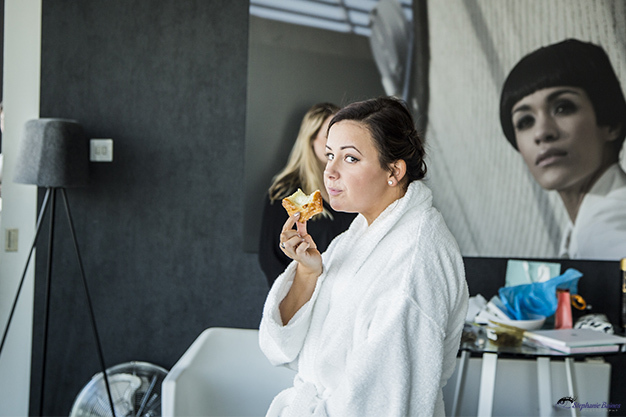 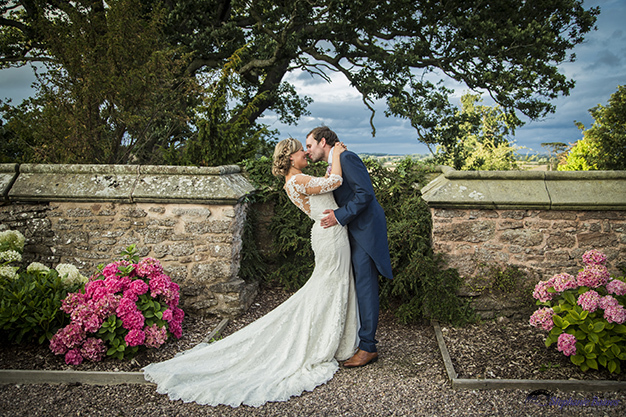 When it was finally time for Laura to slip into her gorgeous Pronovias gown, she was breath-taking. 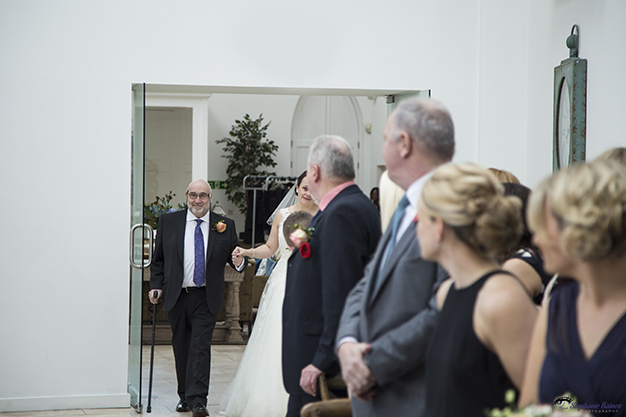 I couldn’t wait for Steve to see her and watch his face as she walked up the aisle towards him. 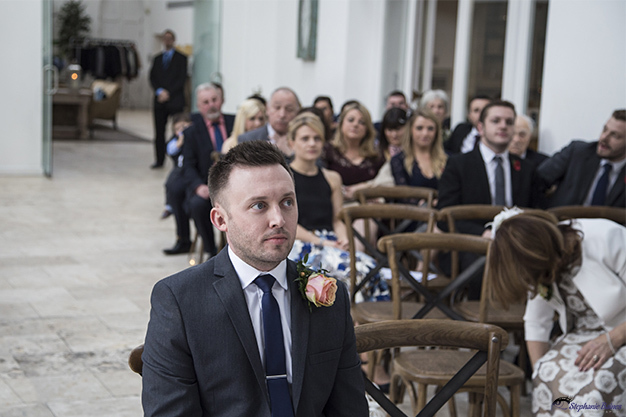 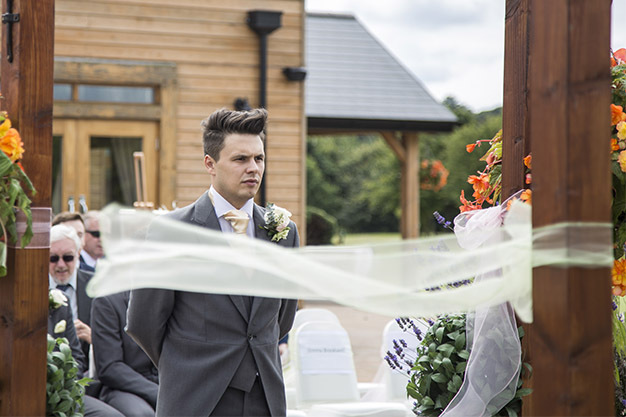 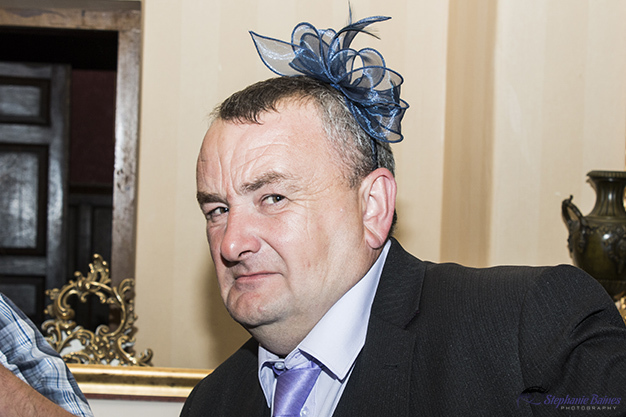 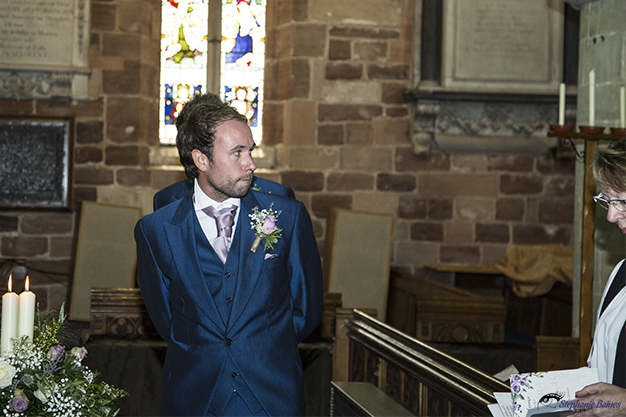 Steve was waiting patiently for his beautiful bride looking handsome (and a tad nervous), and when he saw Laura for the first time, his eyes never left her. 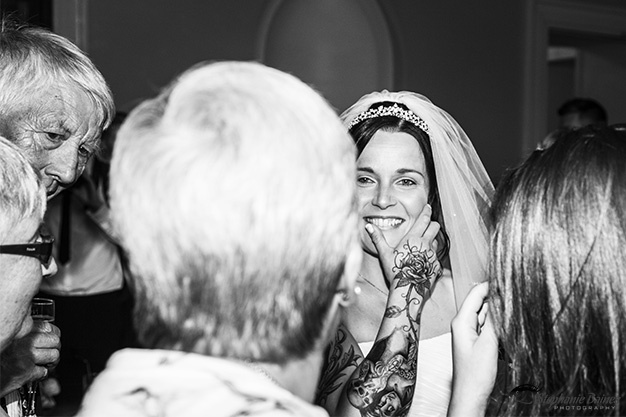 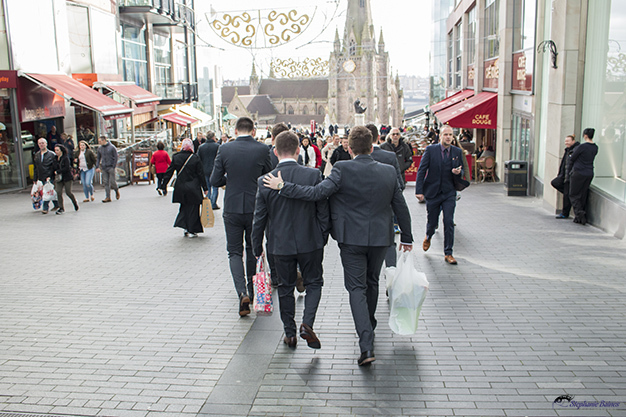 Throughout the day, there was so much love, laughter and merriment that it made my job a dream. 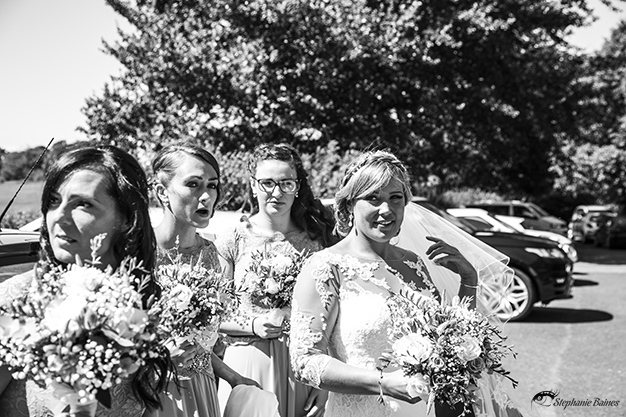 If I could go back and experience it all again I would! 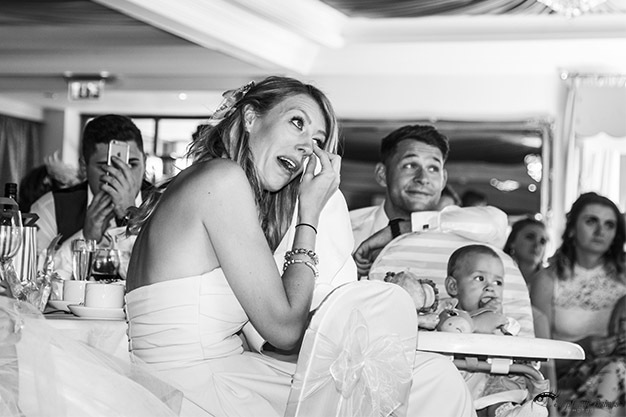 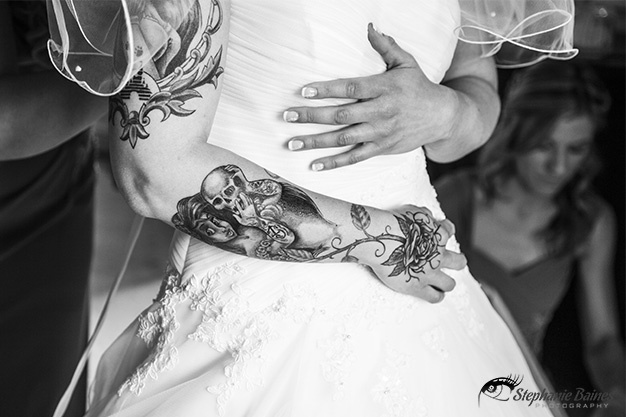 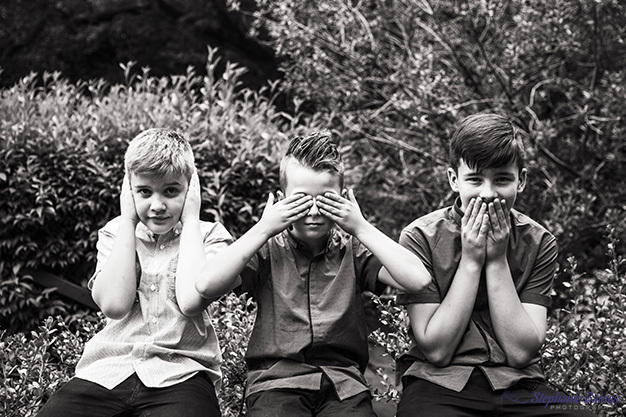 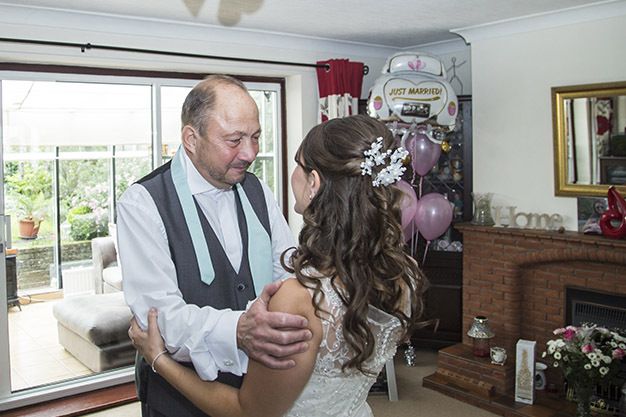 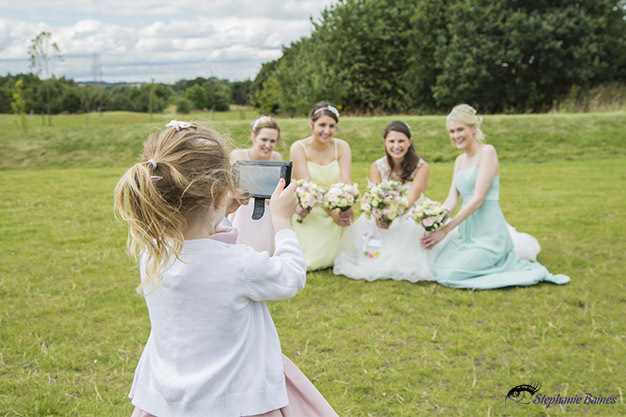 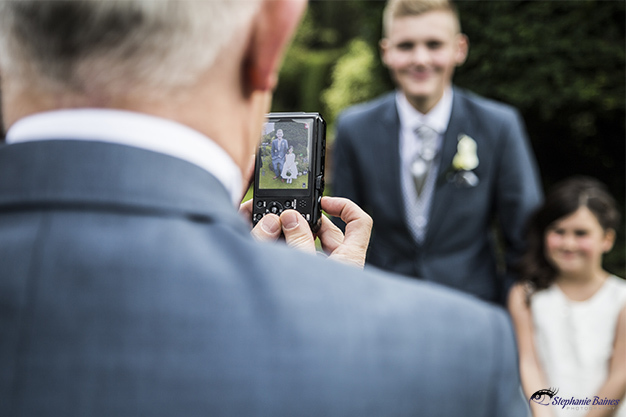 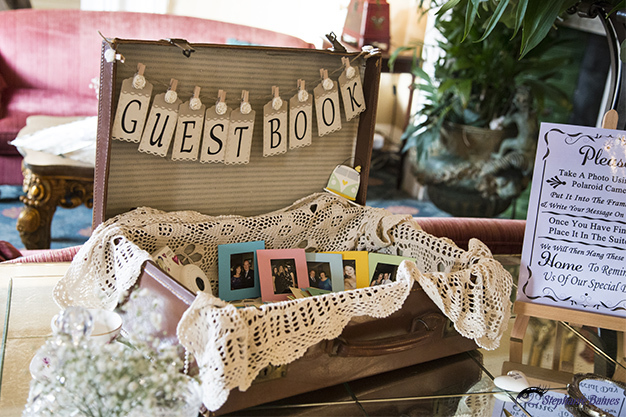 I believe that wedding photographs should tell a story and be able to transport you back to the day and all the wonderful moments and memories that were made. 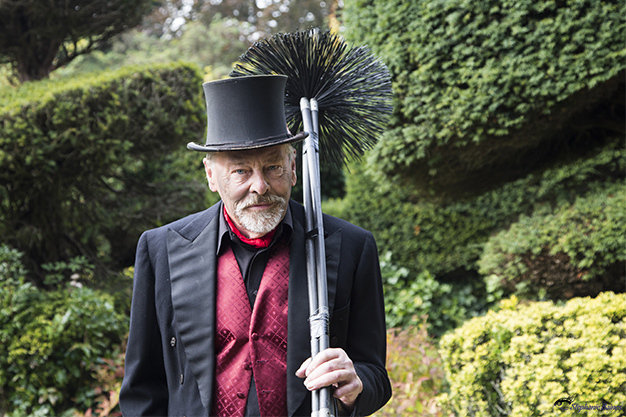 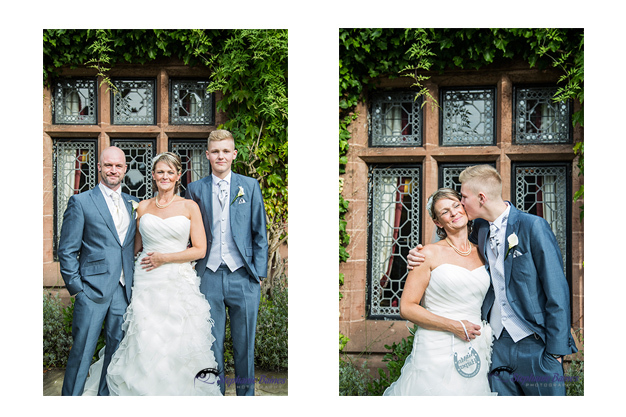 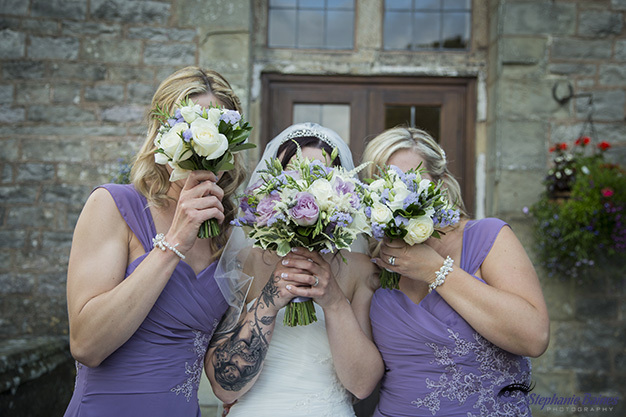 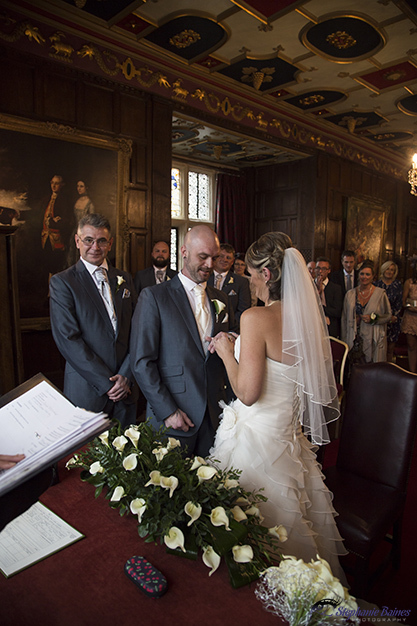 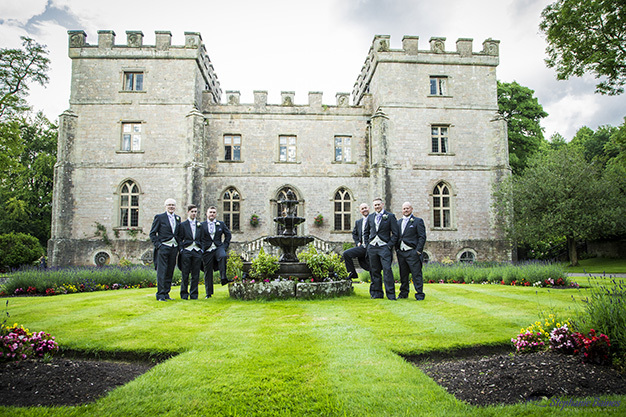 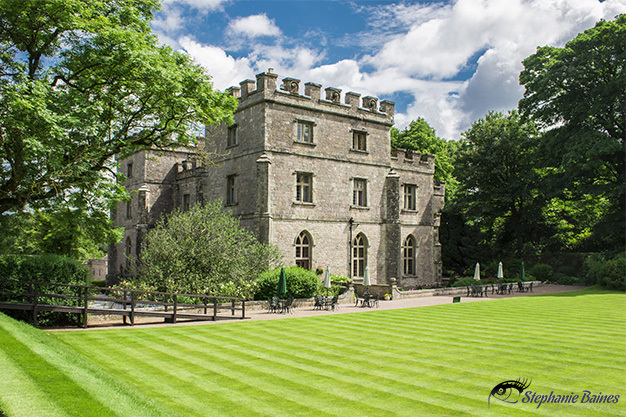 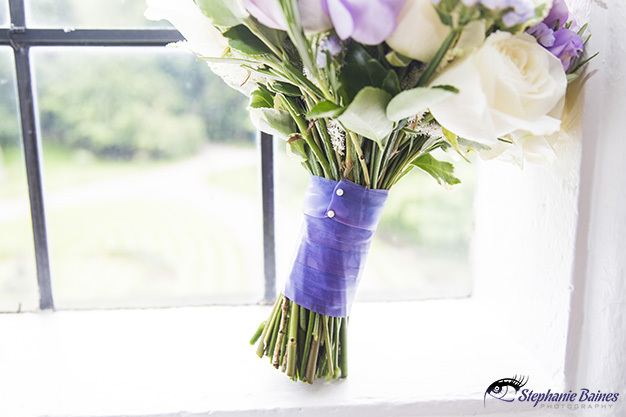 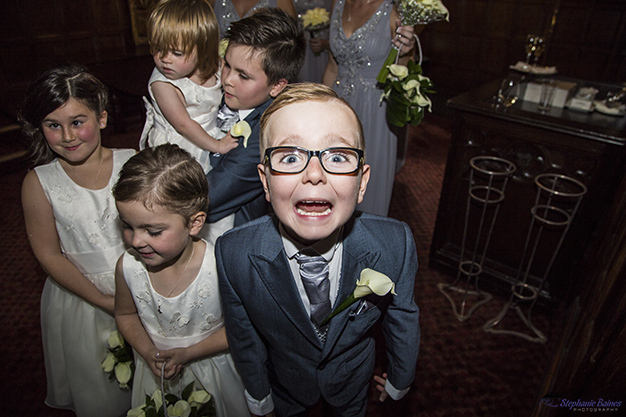 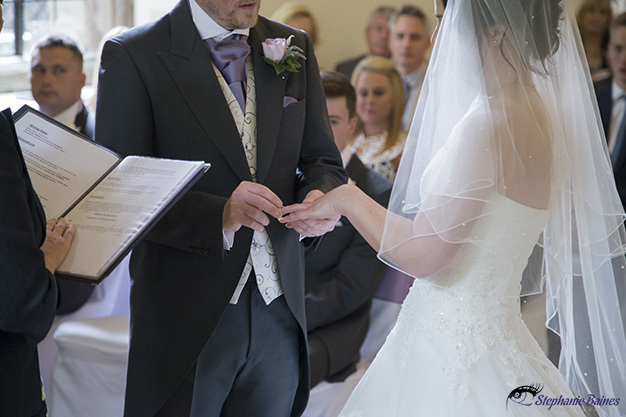 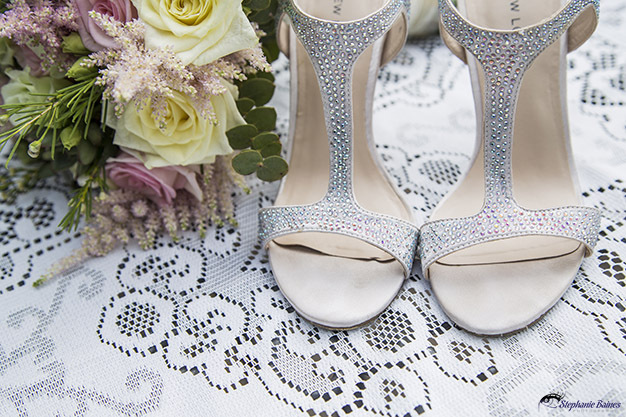 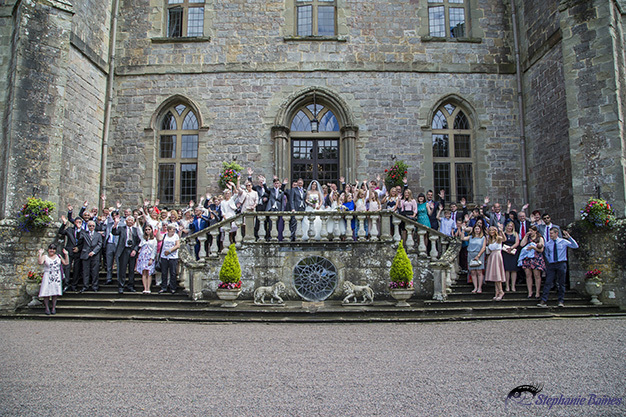 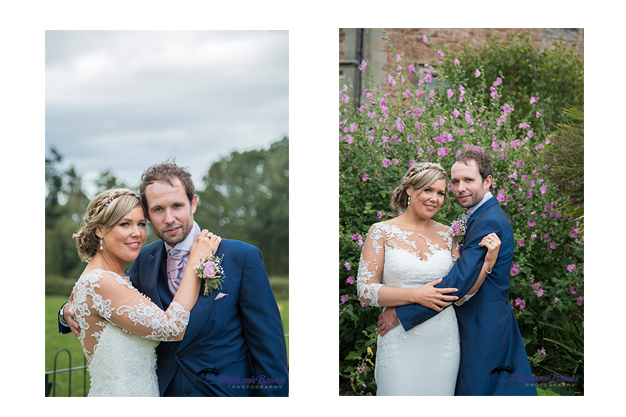 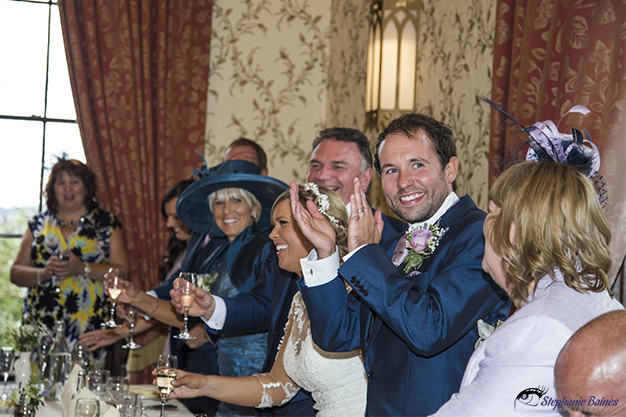 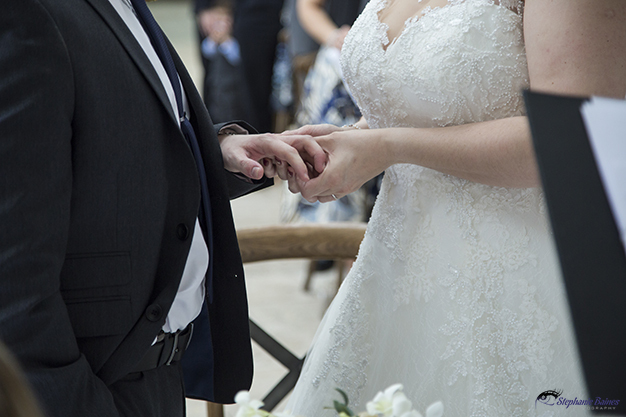 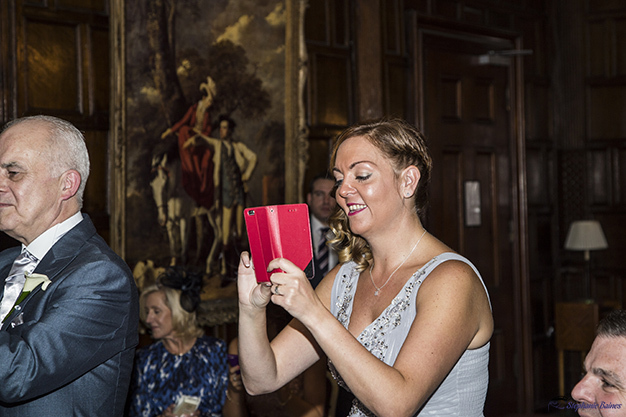 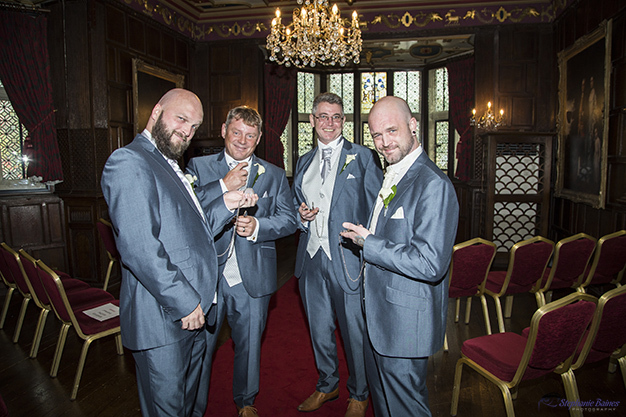 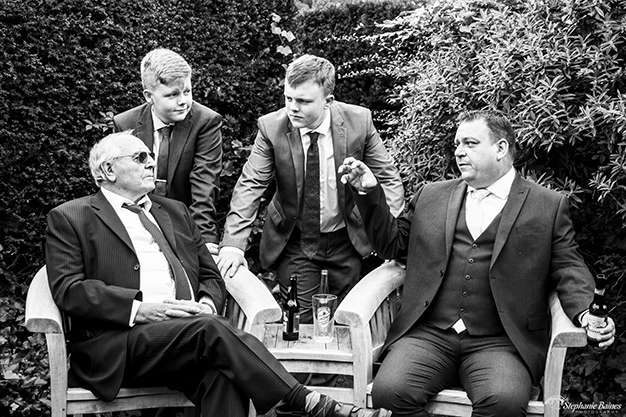 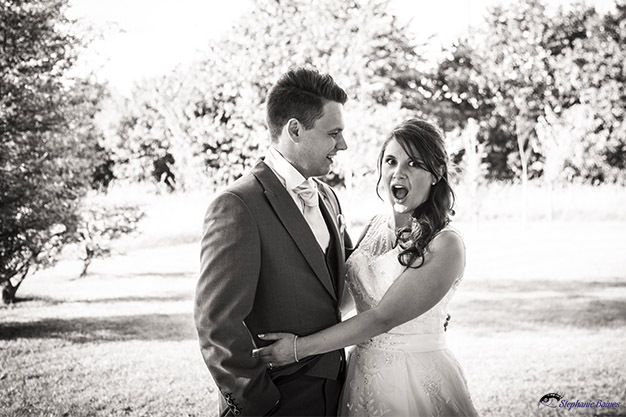 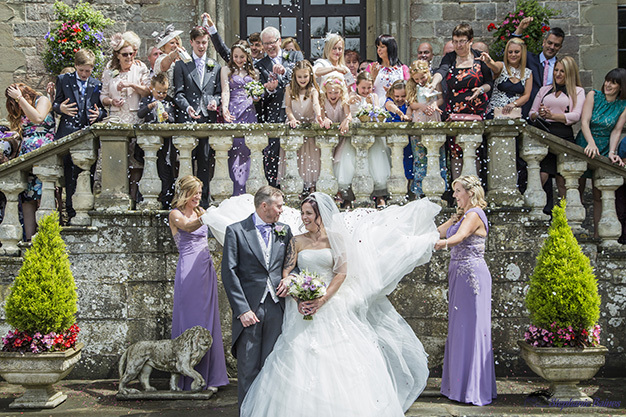 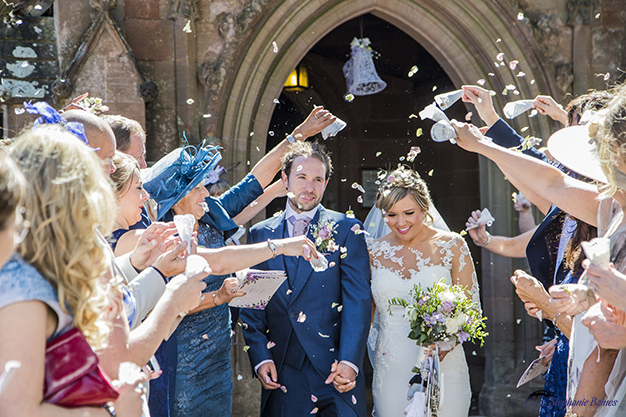 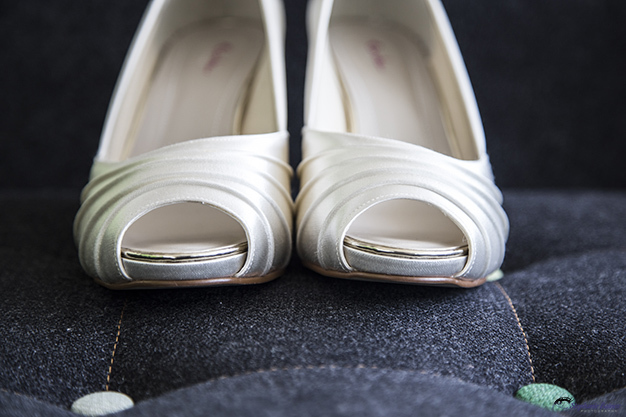 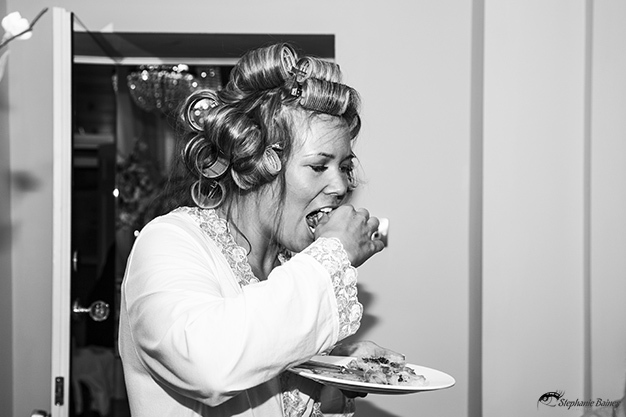 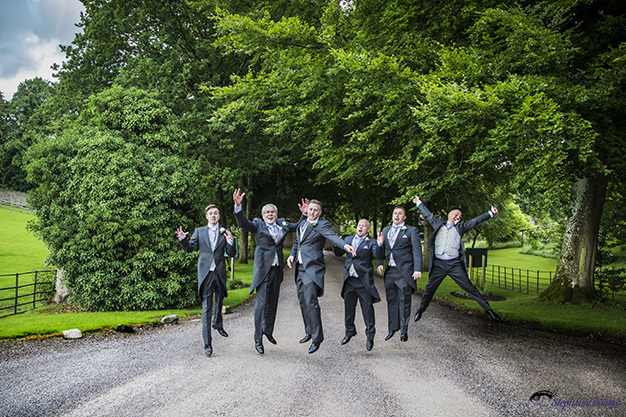 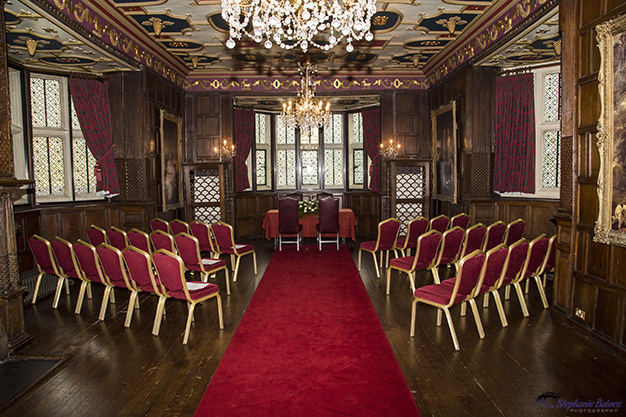 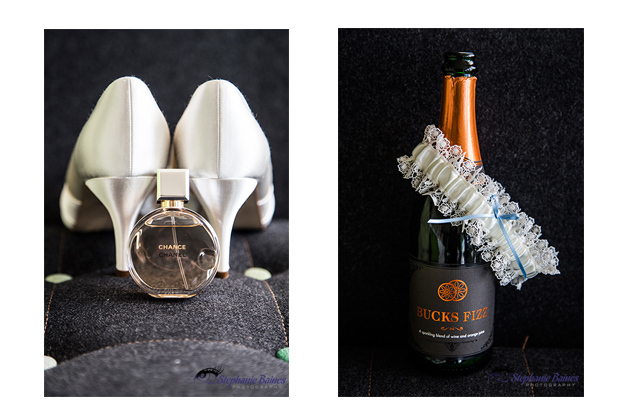 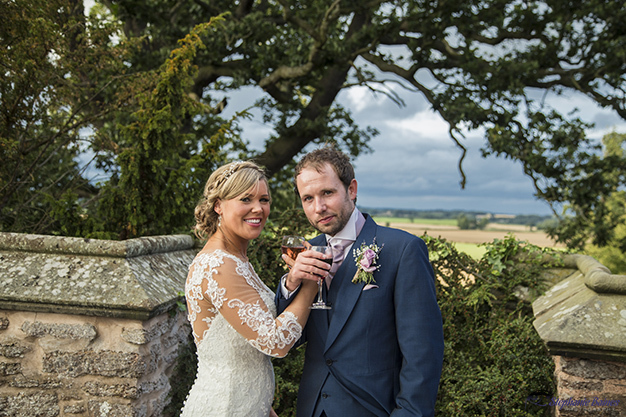 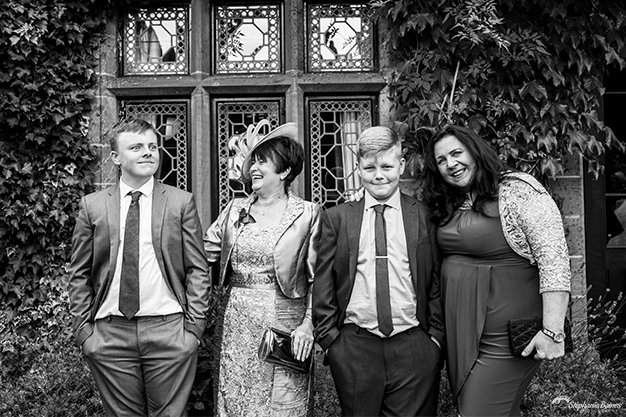 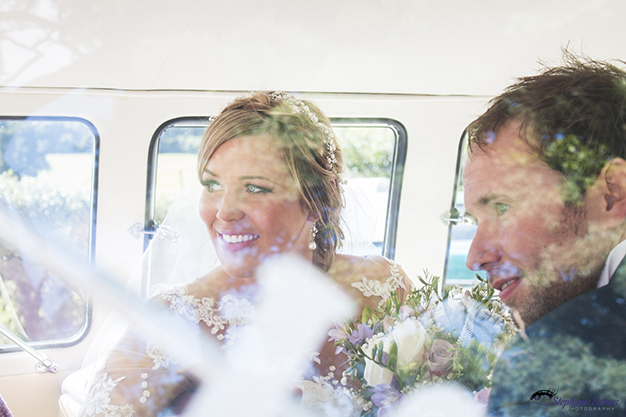 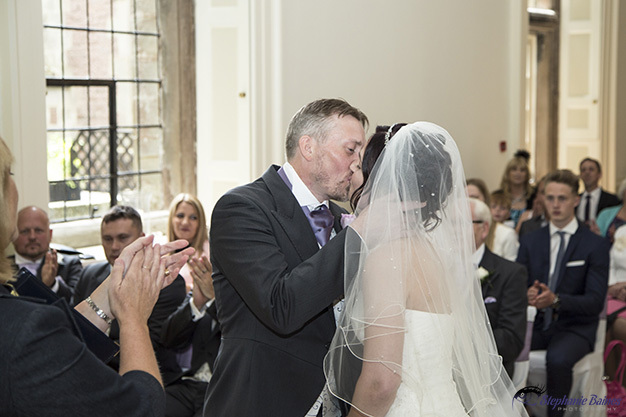 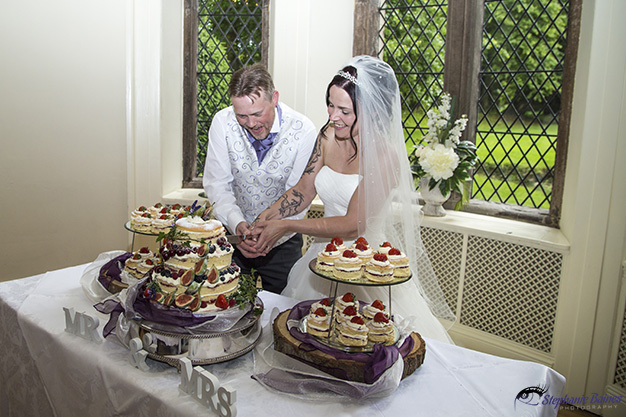 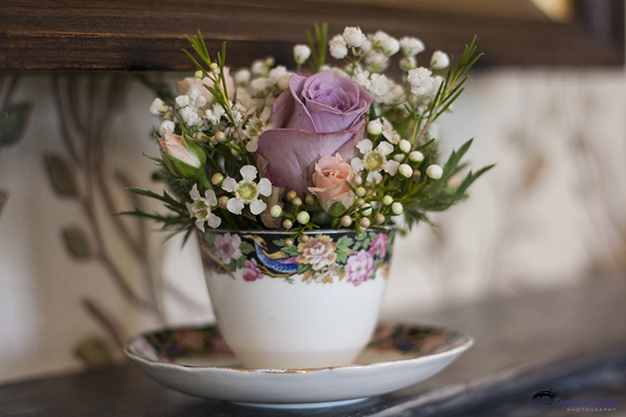 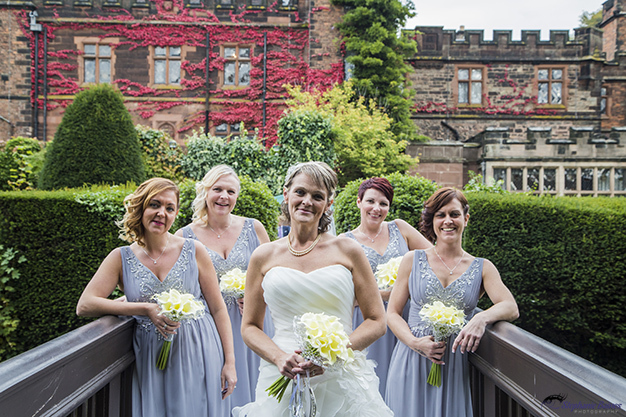 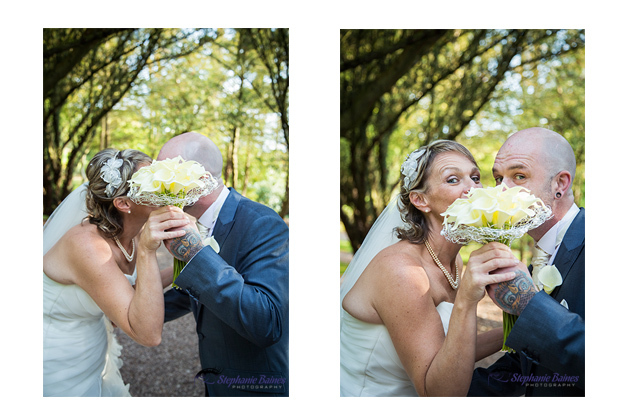 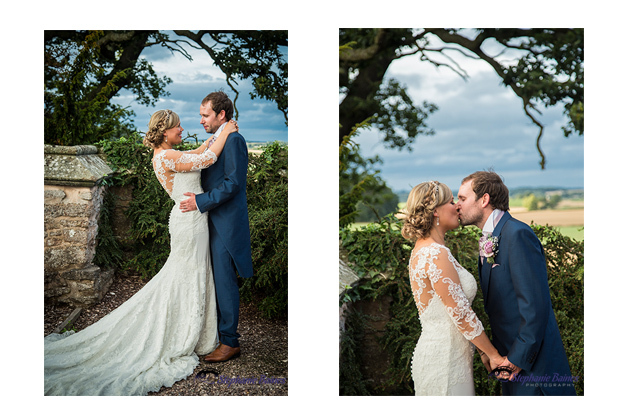 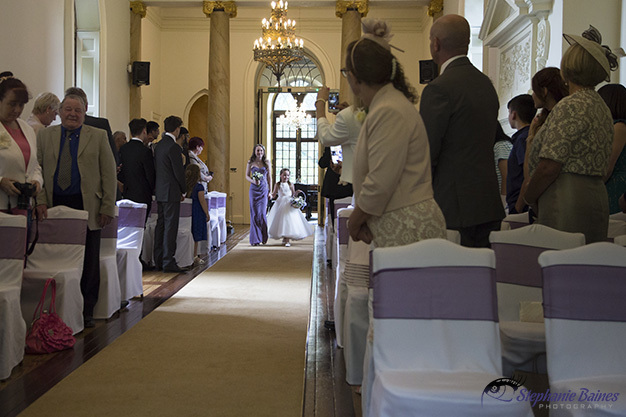 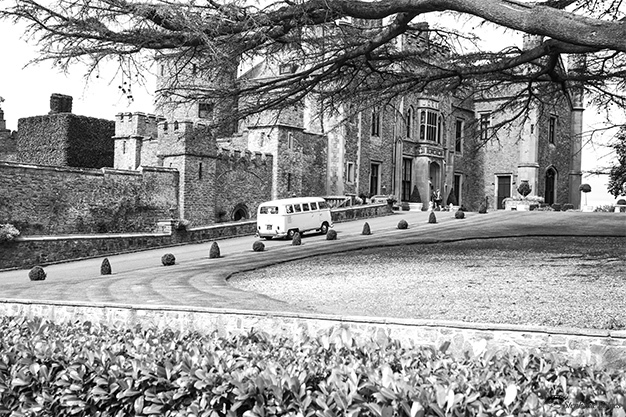 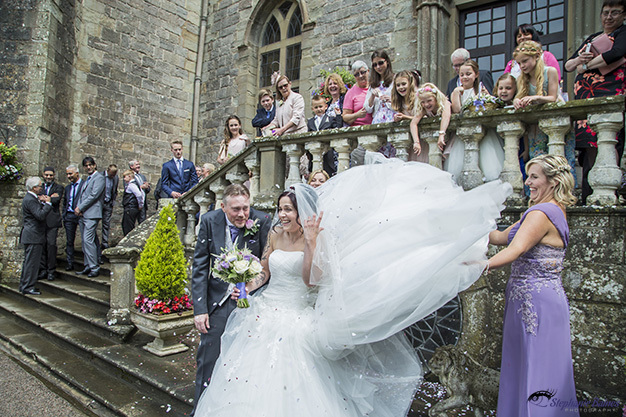 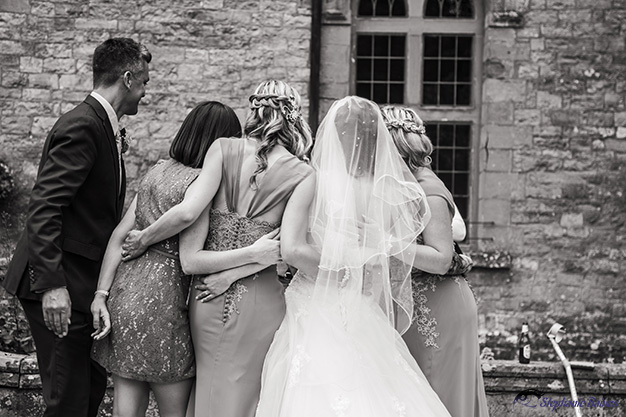 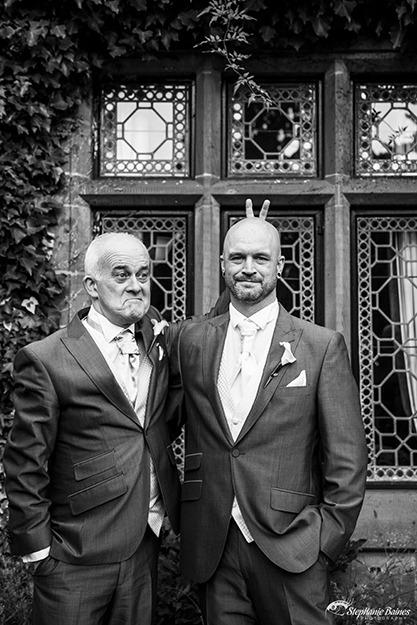 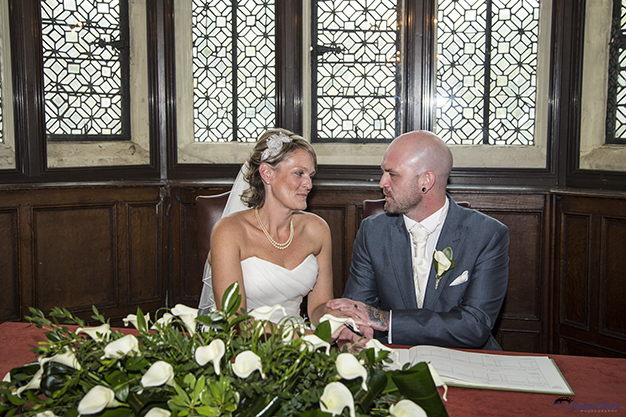 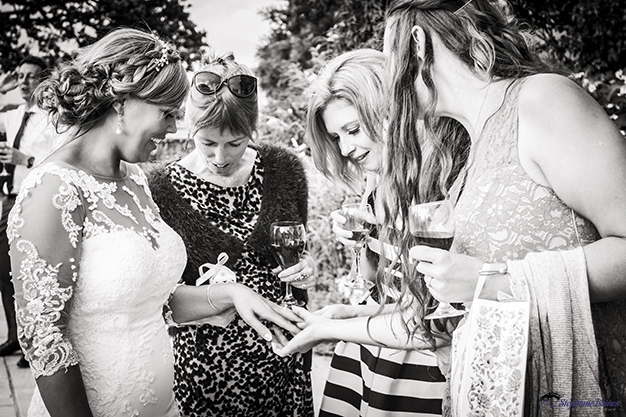 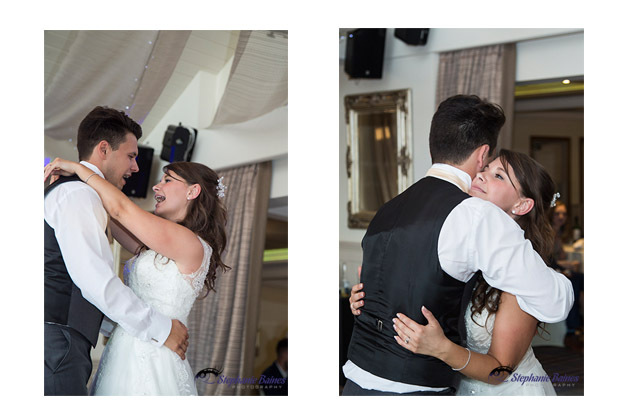 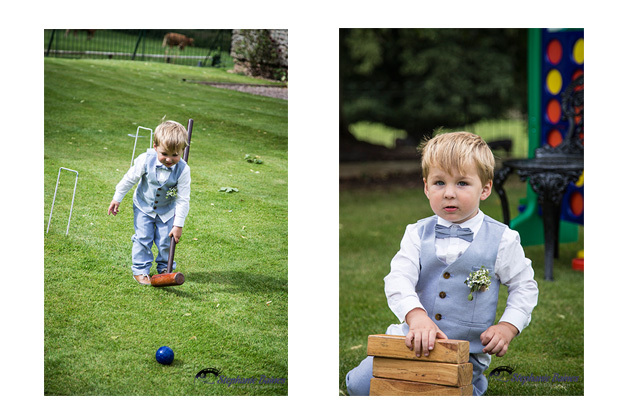 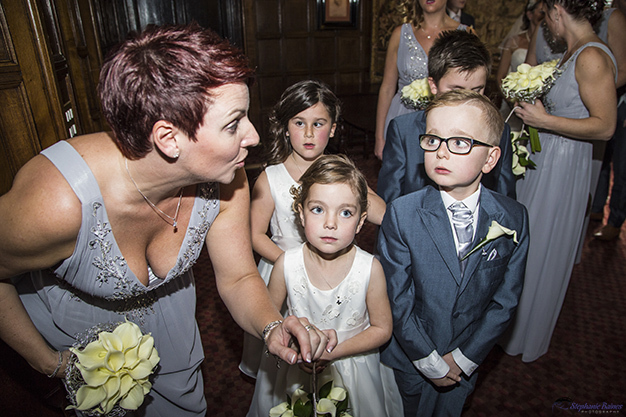 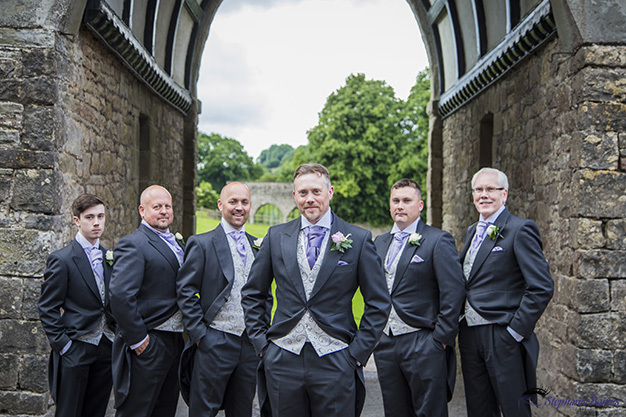 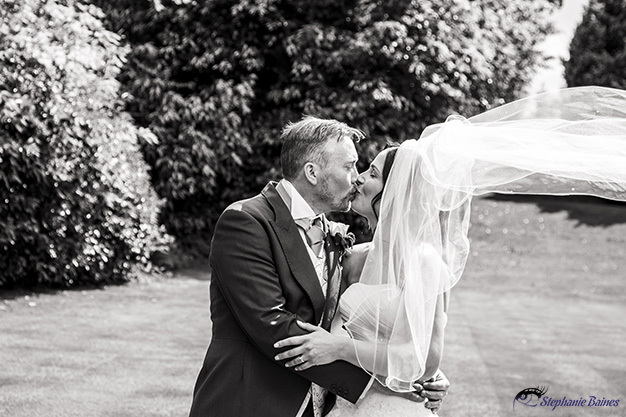 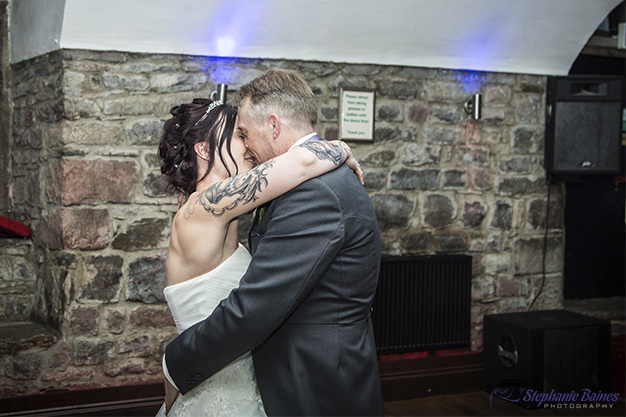 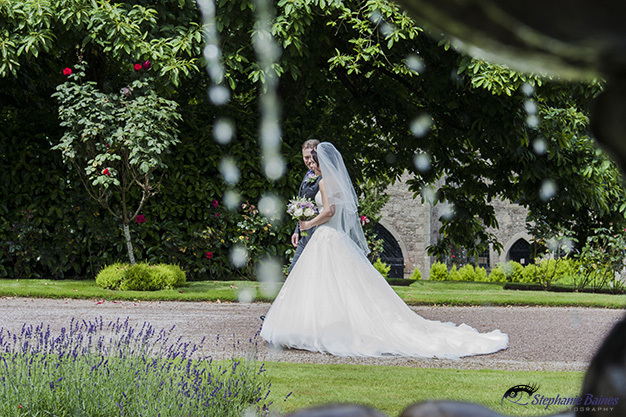 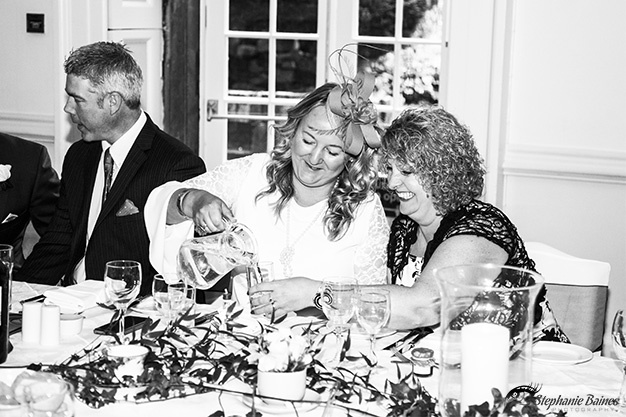 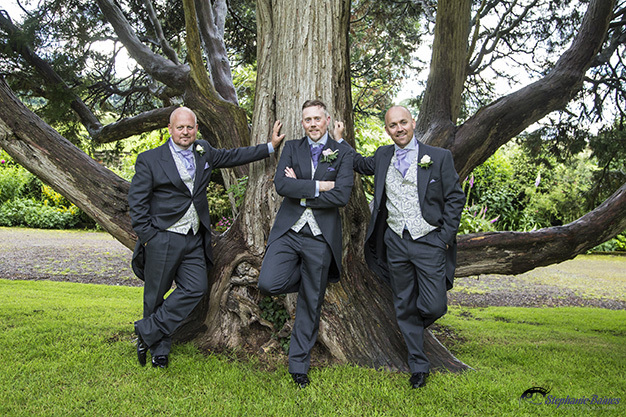 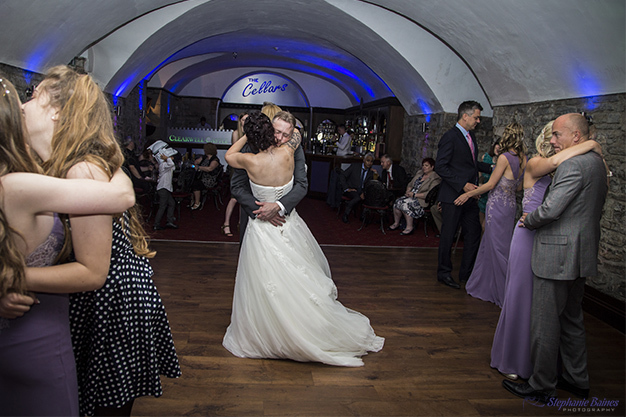 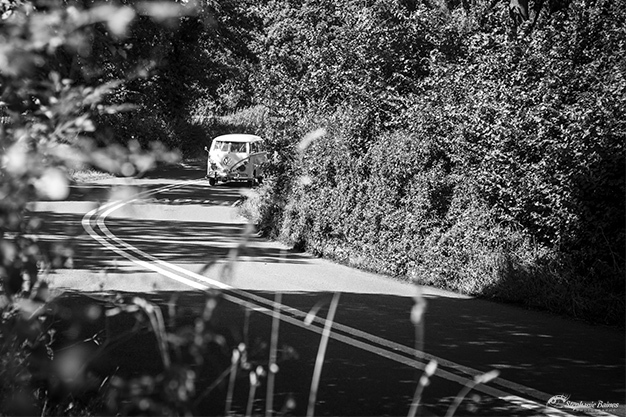 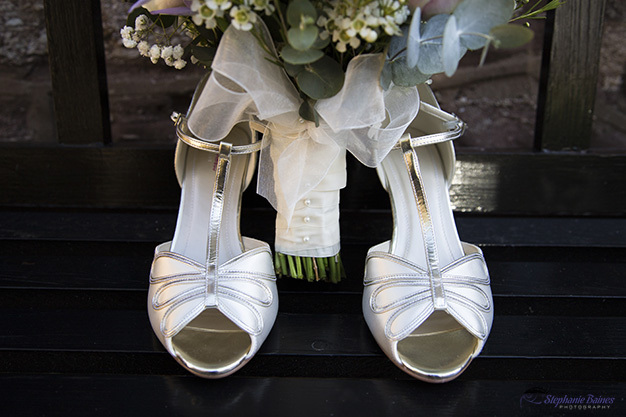 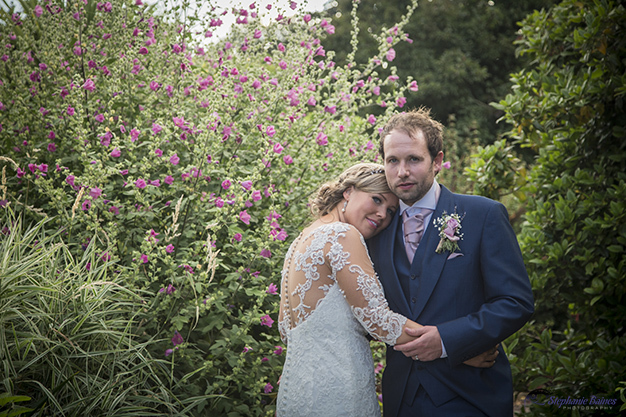 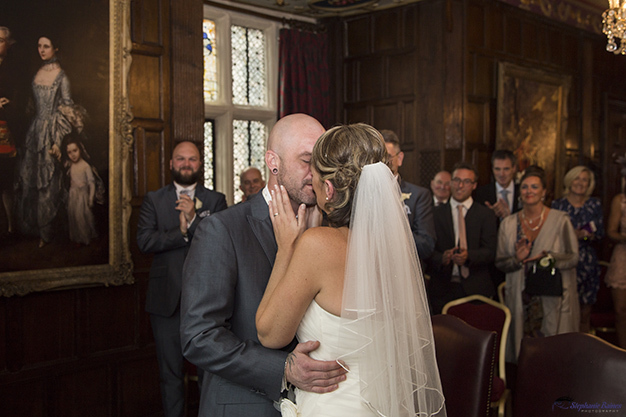 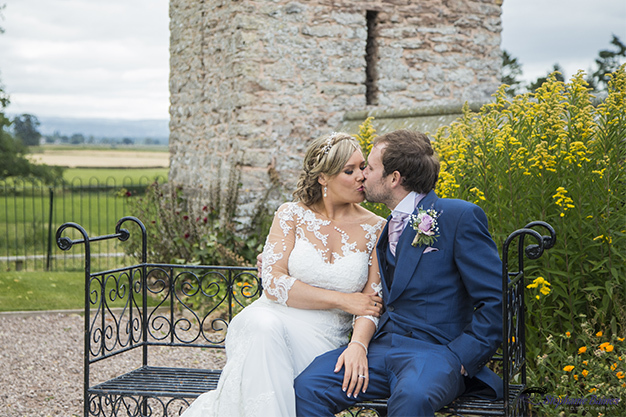 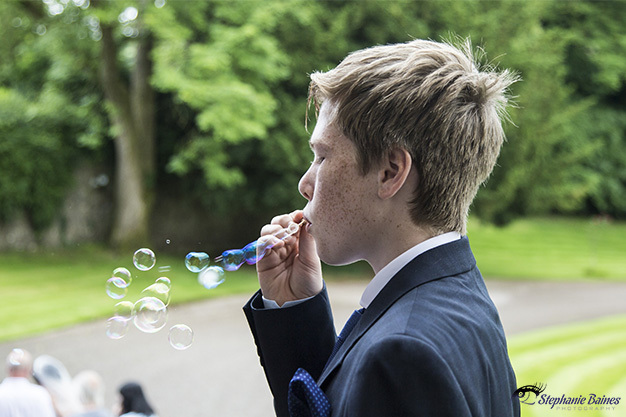 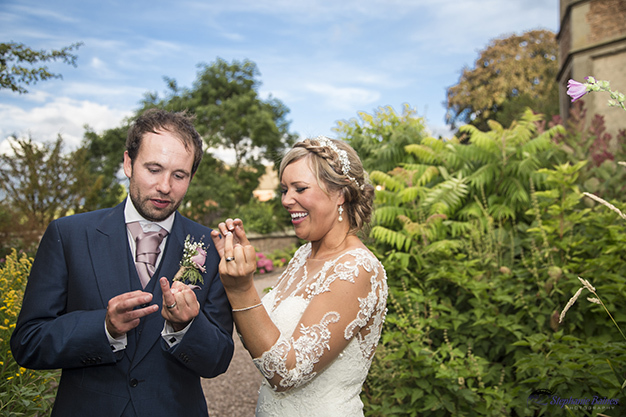 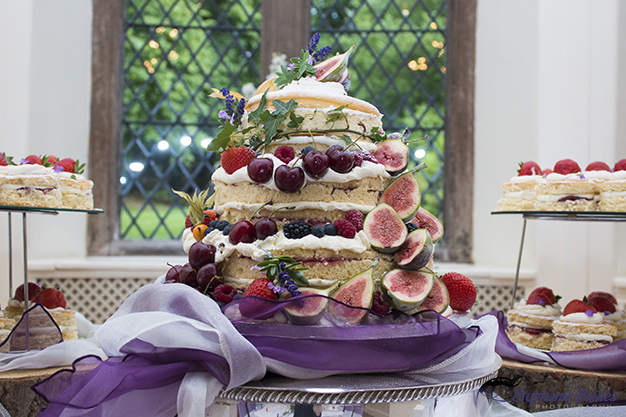 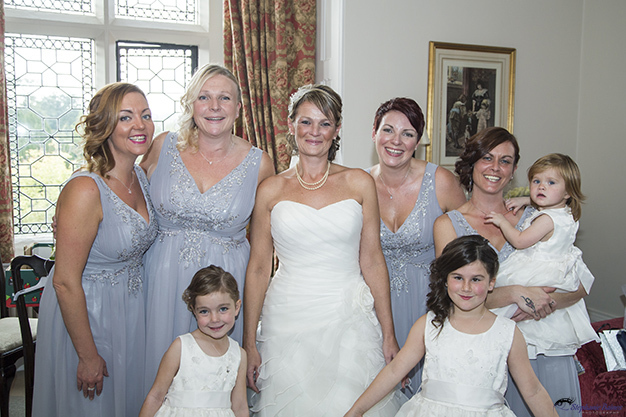 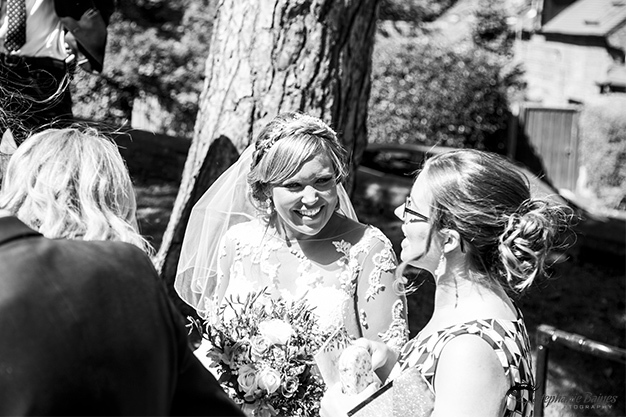 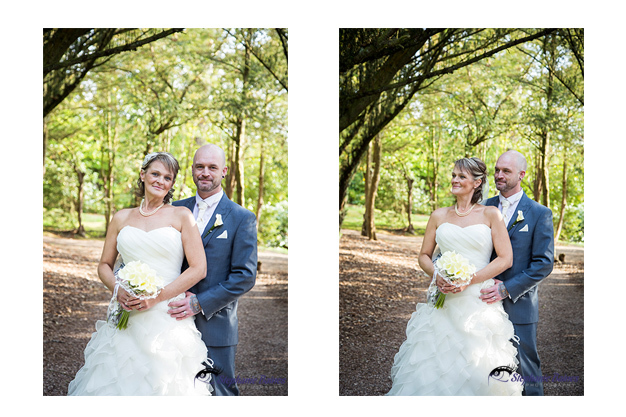 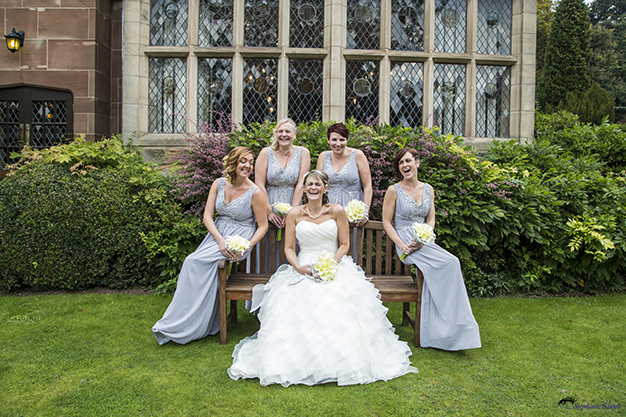 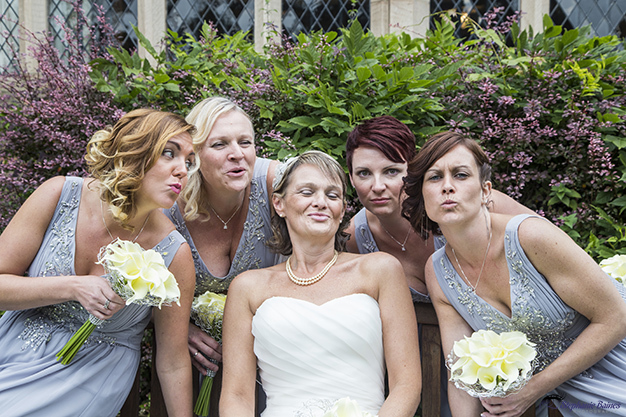 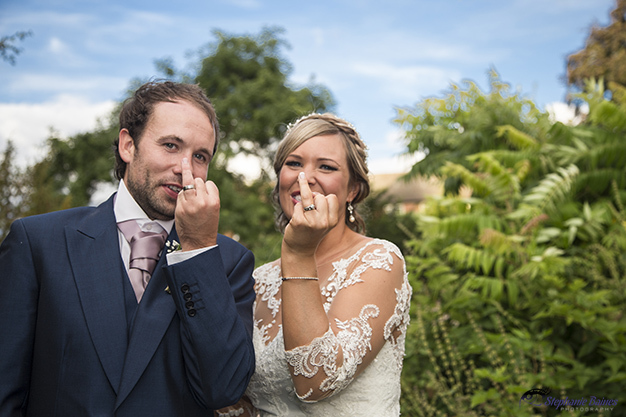 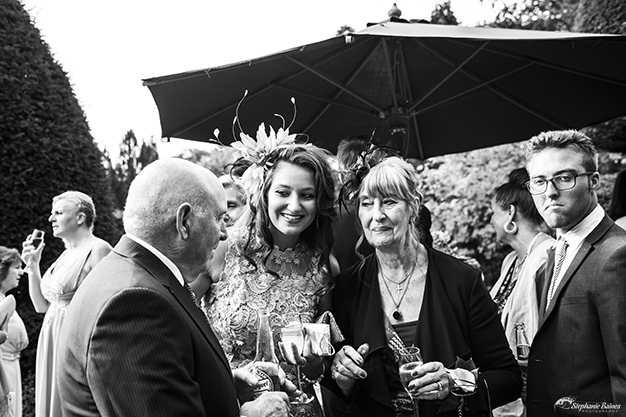 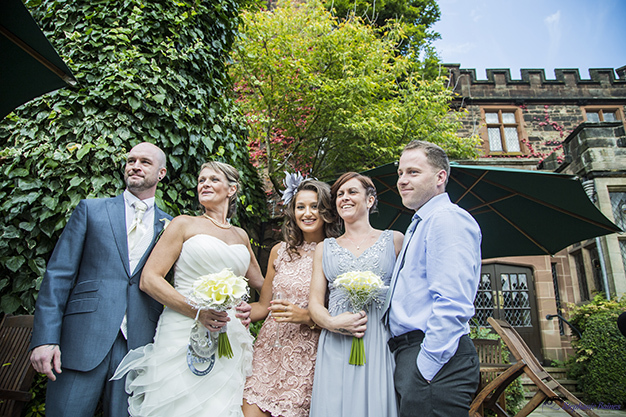 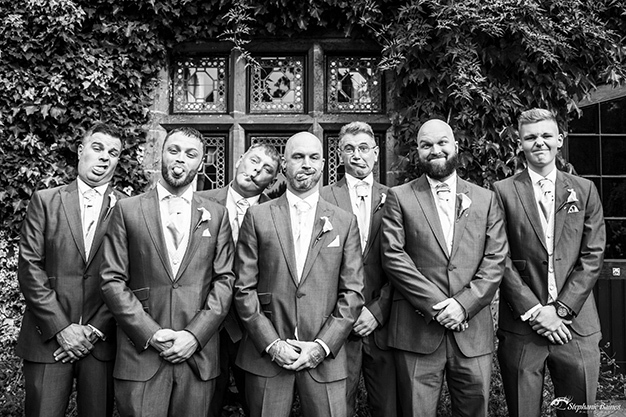 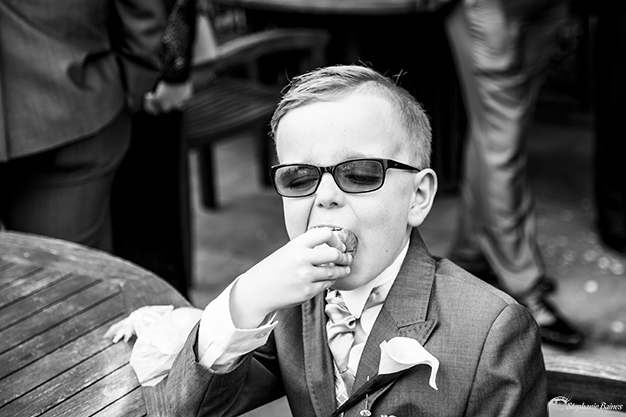 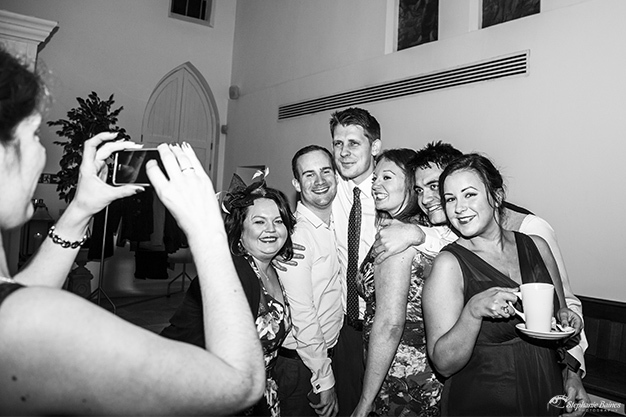 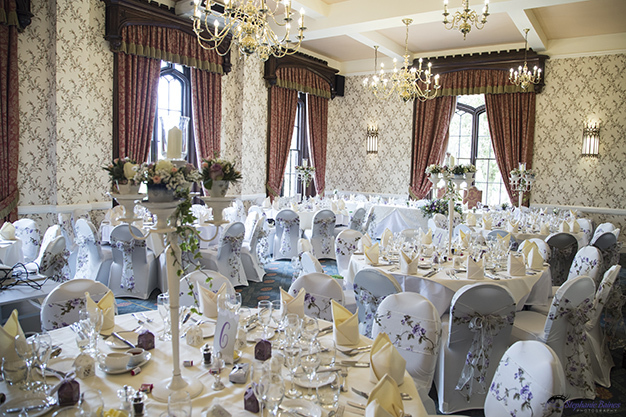 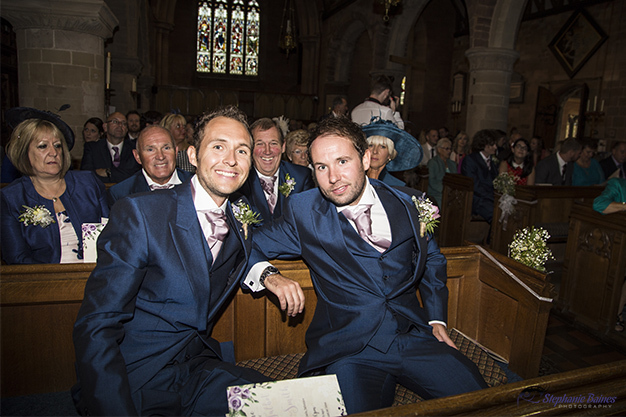 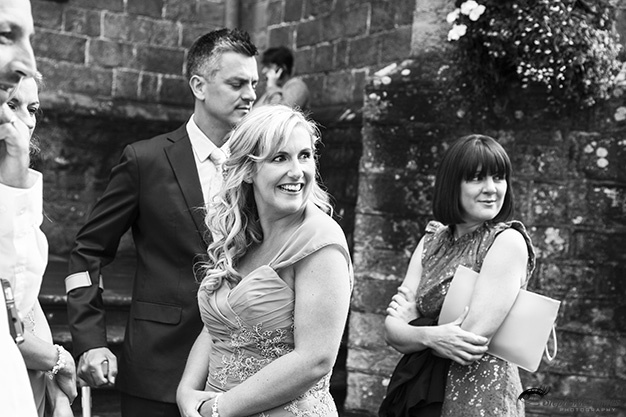 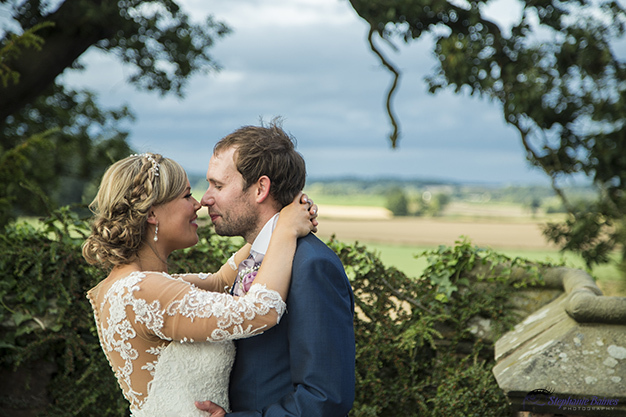 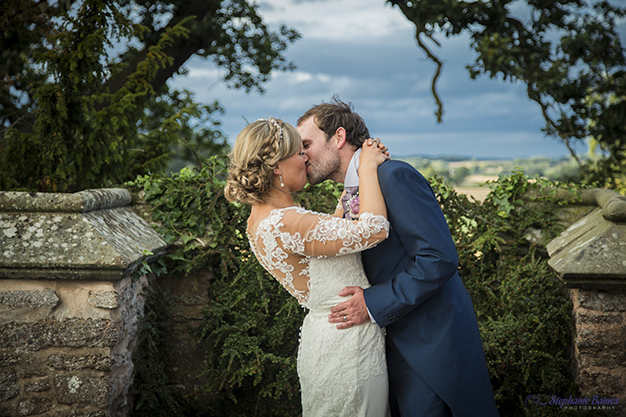 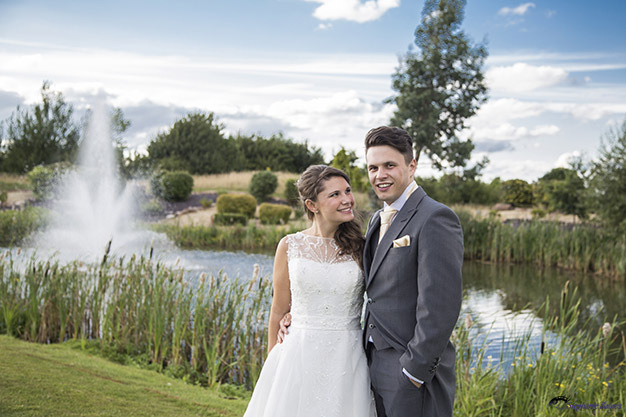 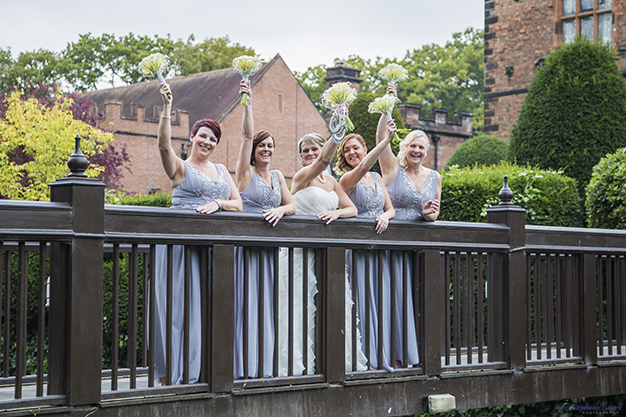 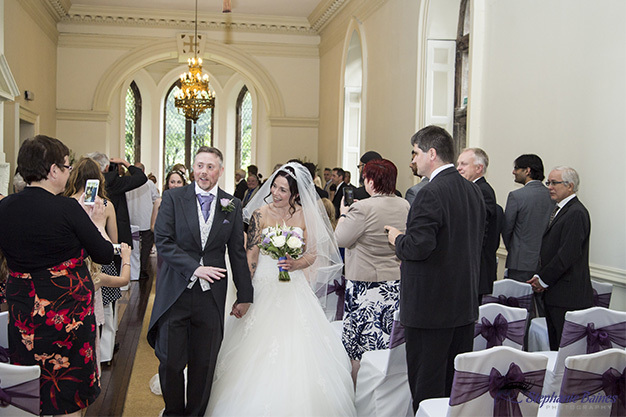 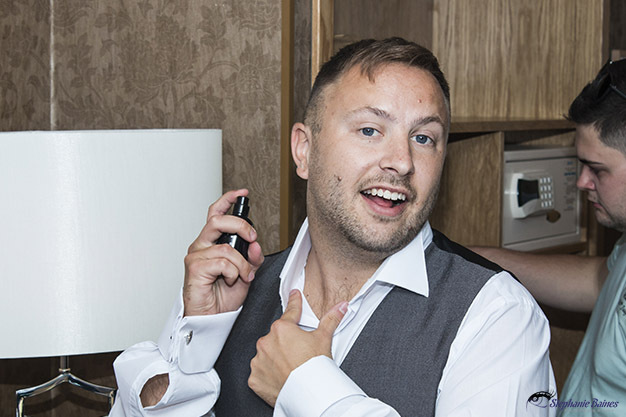 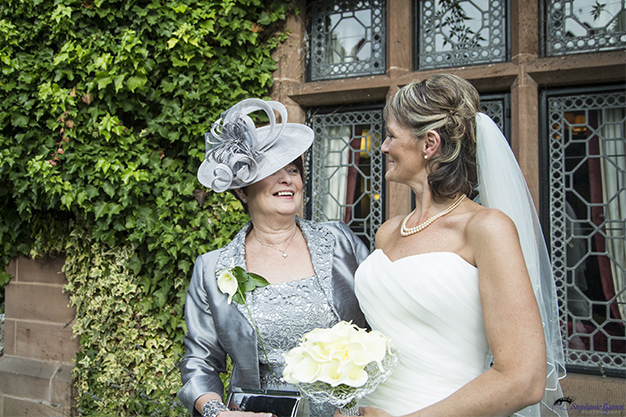 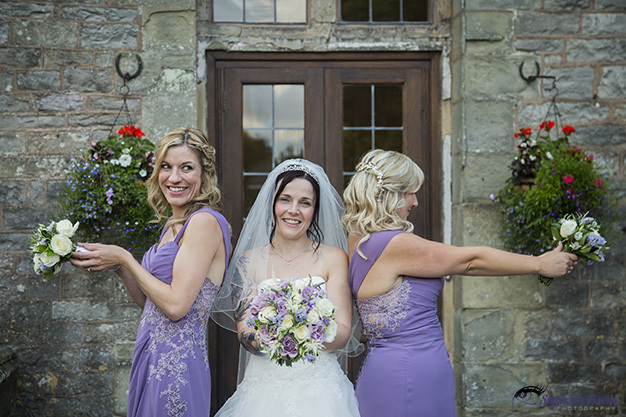 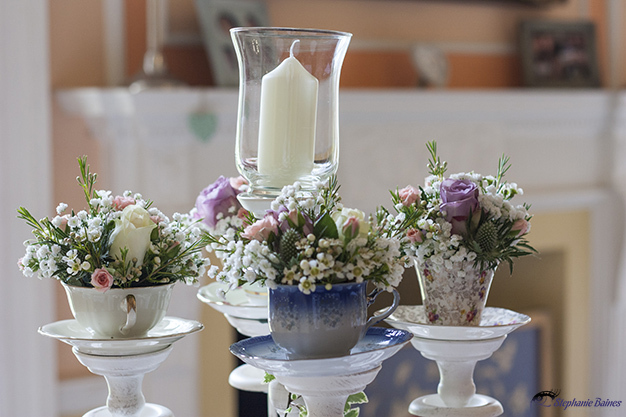 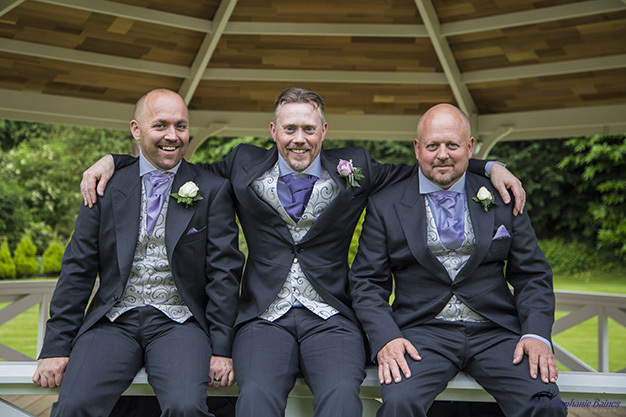 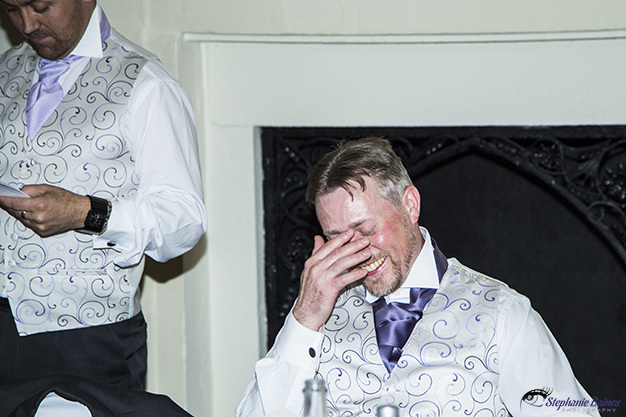 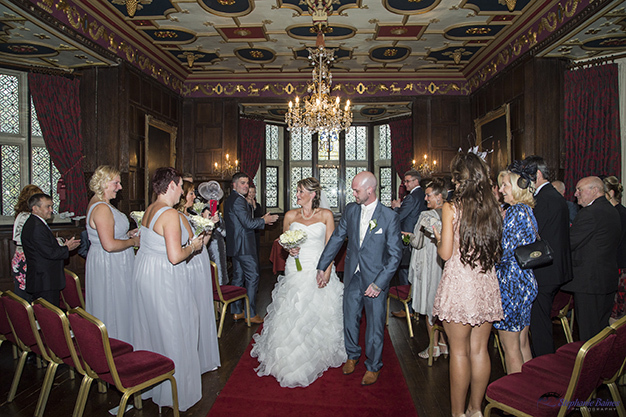 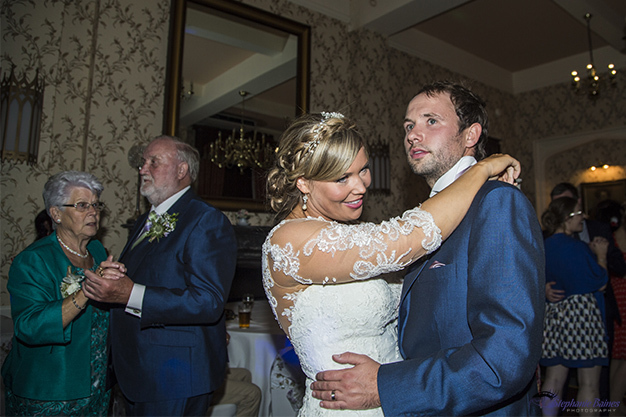 Andy and Sarah’s wedding photography at the gorgeous Clearwell Castle does just that! 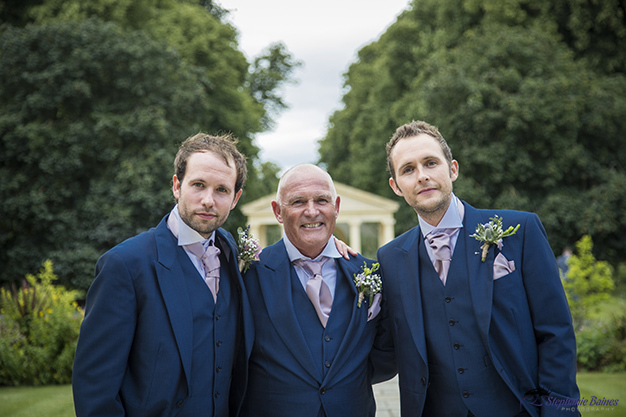 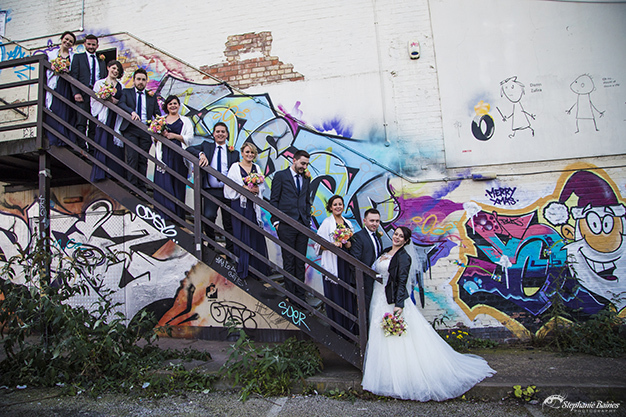 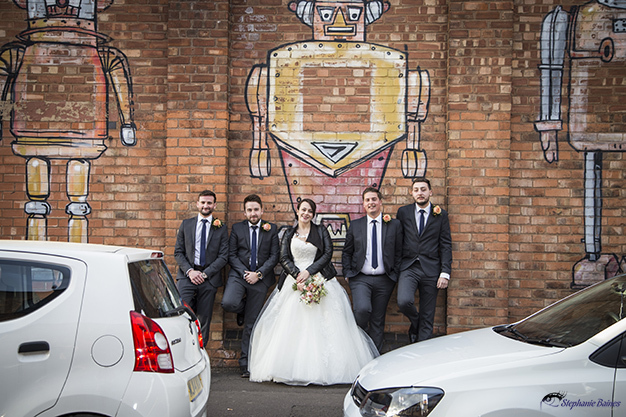 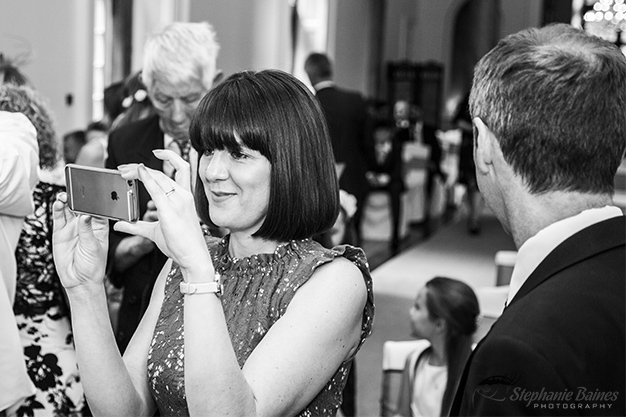 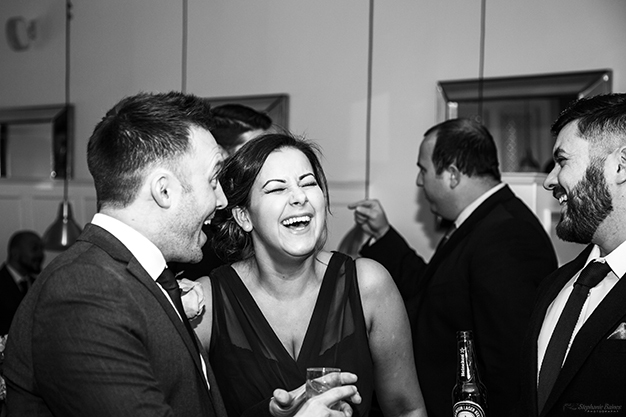 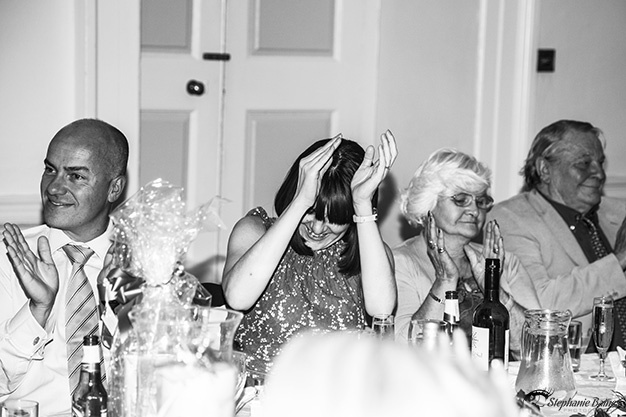 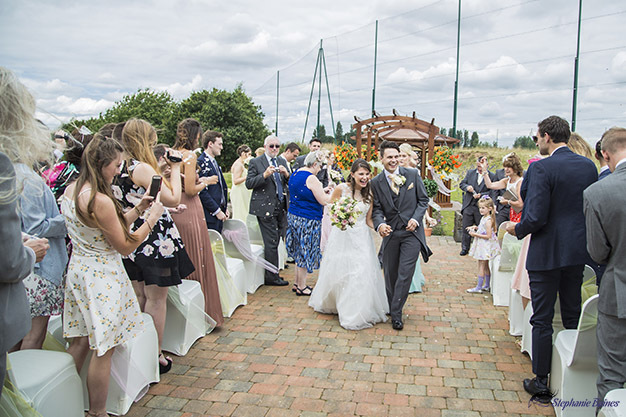 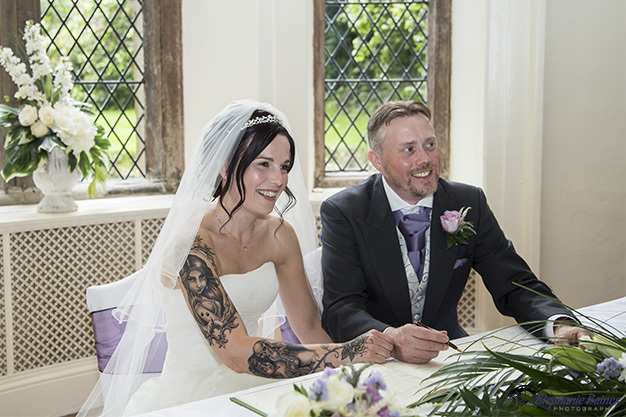 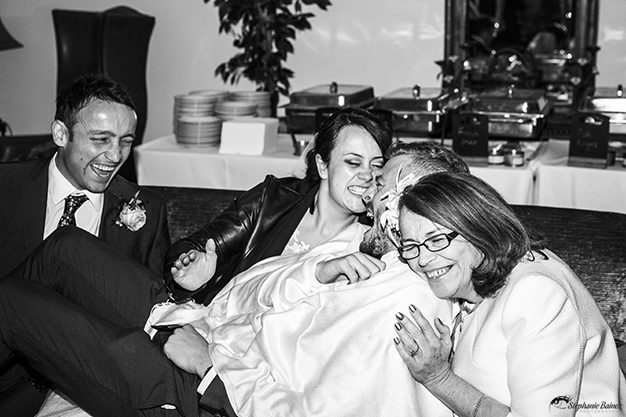 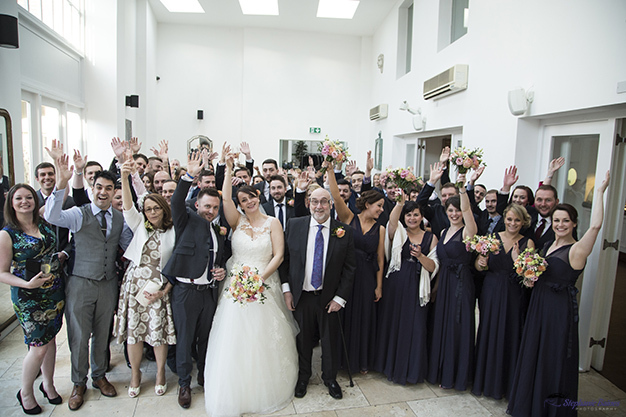 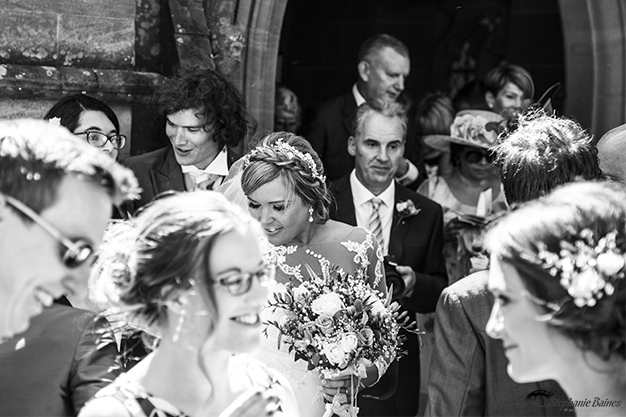 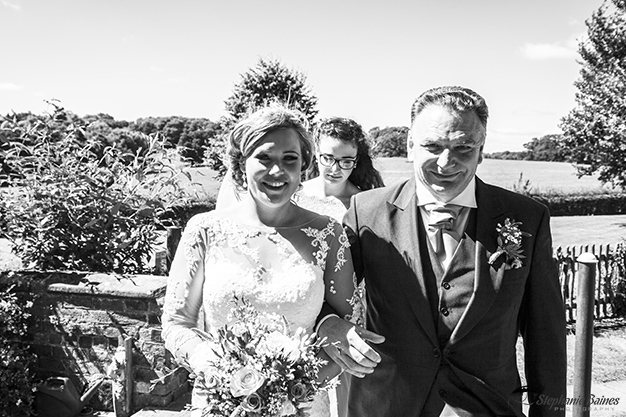 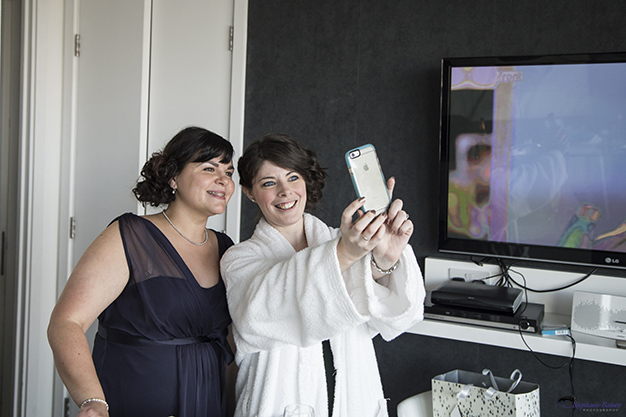 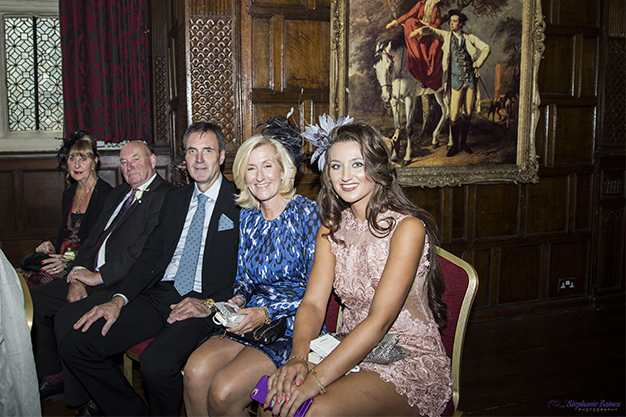 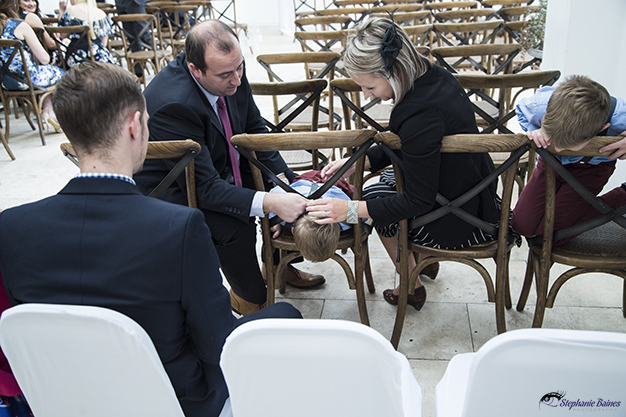 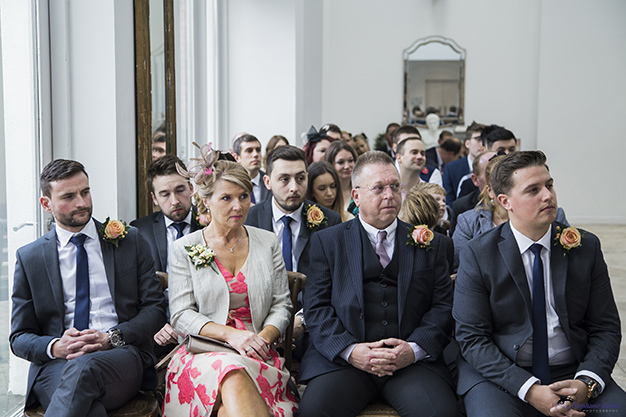 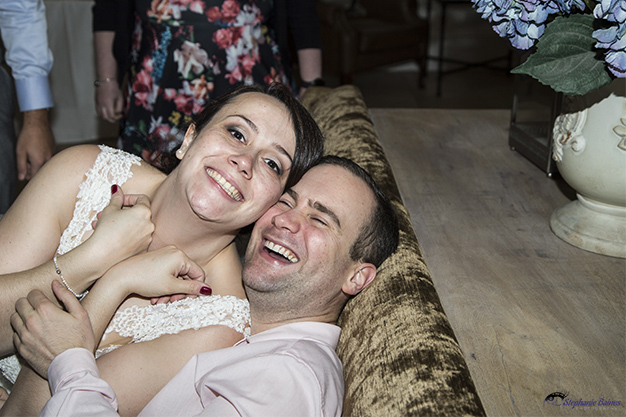 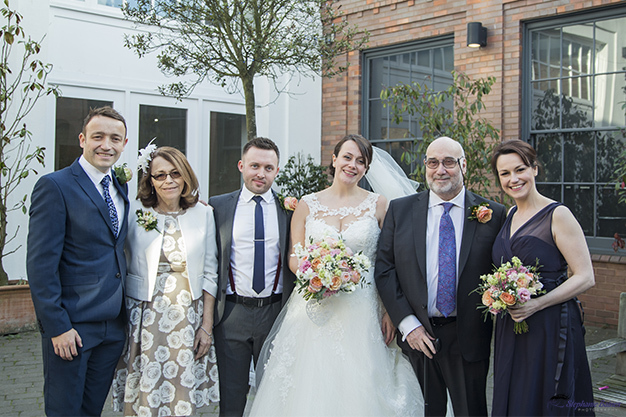 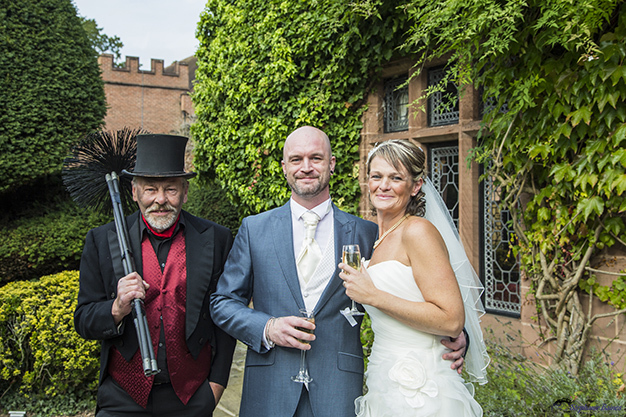 Every time I look through the photographs, I smile remembering the day, the venue, the wonderful guests and most importantly Andy and Sarah and how happy they were. 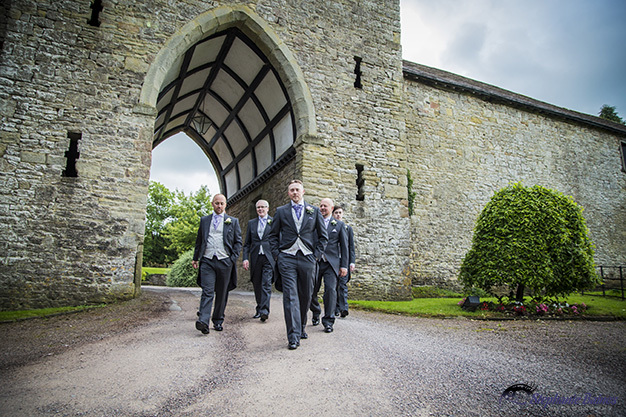 Set in the middle of the Gloucestershire countryside, Clearwell is stunning with its sweeping drive, archways and ramparts. 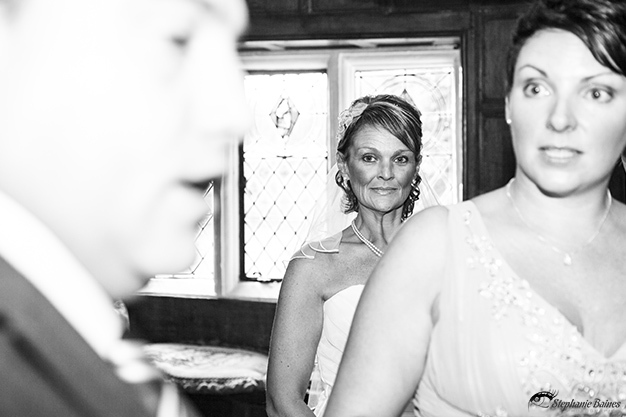 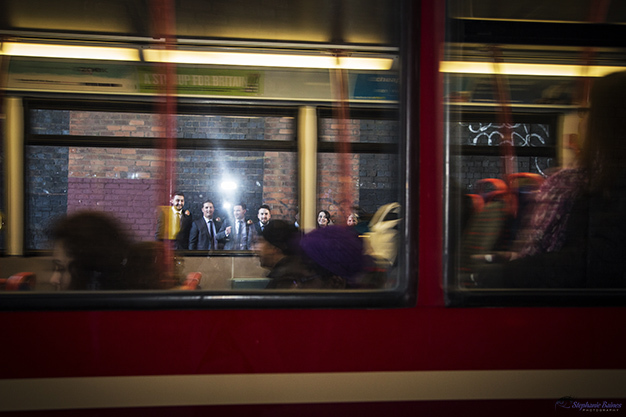 You can’t help but feel a sense of excitement build in you as you approach it. 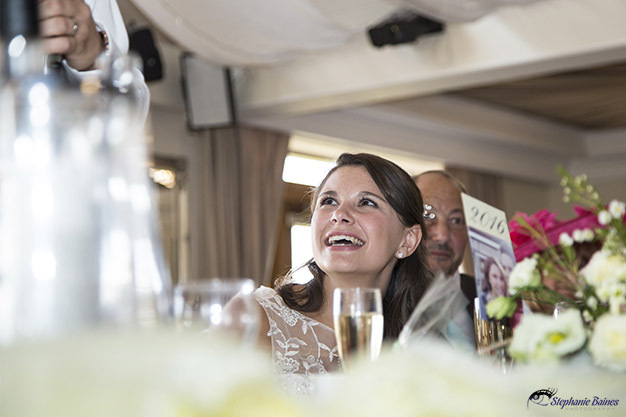 I must have been (and looked) like a kid in a candy store, I was so excited on the day!! 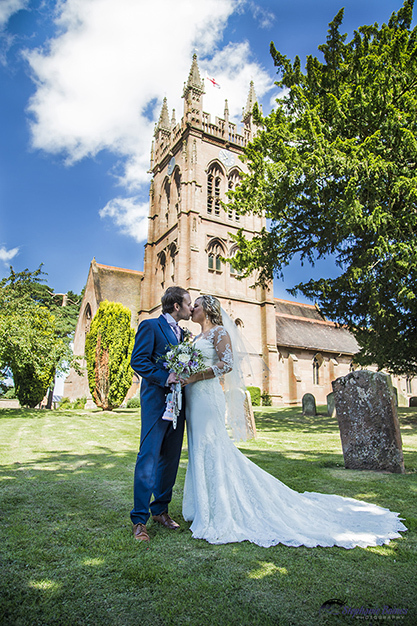 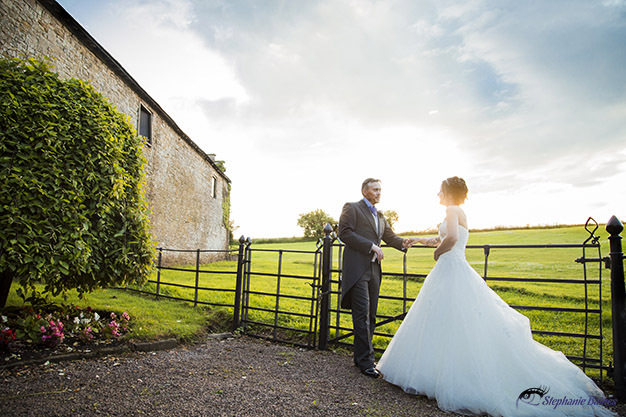 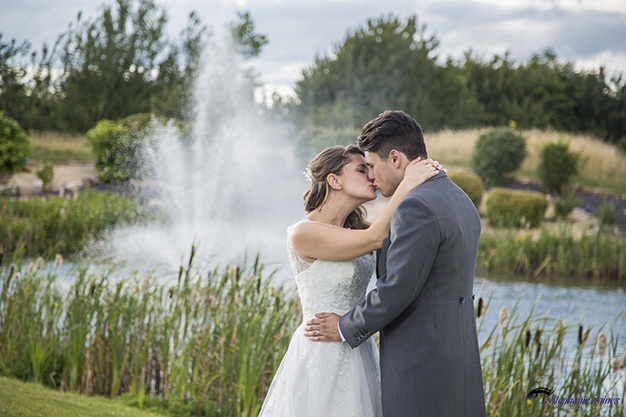 Even though the weather was being typically British, going from torrential downpours one minute, to glorious sunshine the next, it all lent itself to the incredible atmosphere and dramatic surroundings. 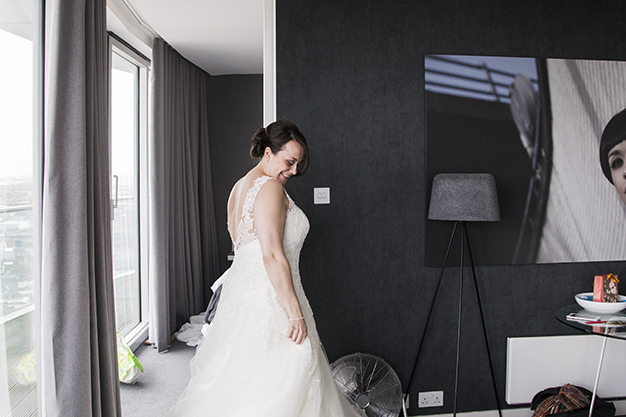 As soon as the skies cleared we would make the most of the grand outdoors and when the skies started to grumble and groan, the guests had beautiful rooms and so much space indoors to relax in. 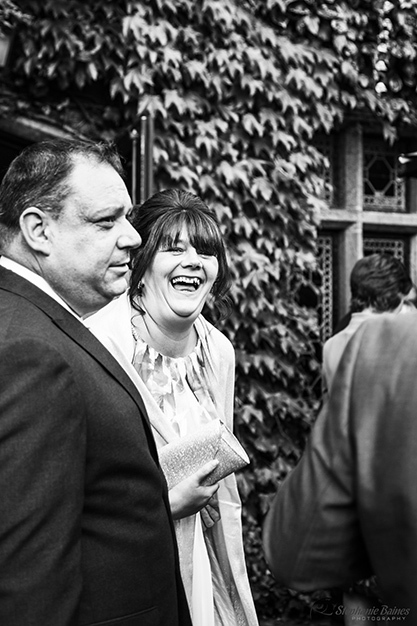 So much thought and planning had gone into the day. 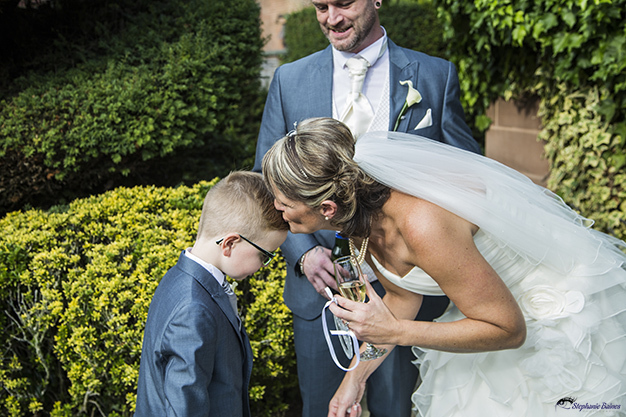 Andy had made it his mission to make the day as perfect as he could for Sarah and it really showed in all the little details and most especially in the way his eyes lit up every time he looked at her. 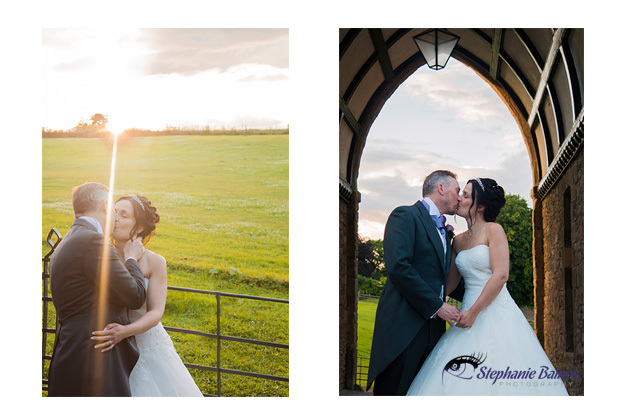 One of my favourite parts of the day was waiting until the sun started to dip towards the far horizon, and the light turned a wonderful gold. 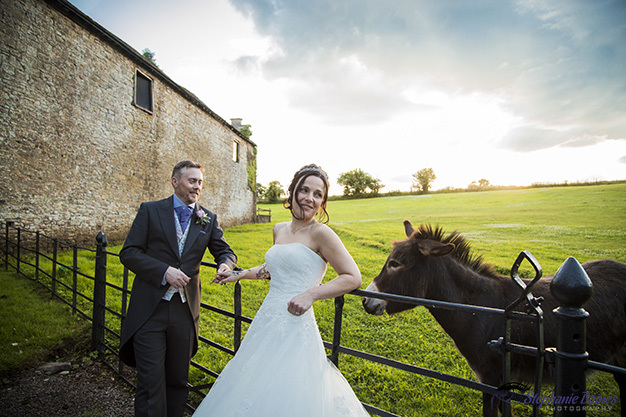 We made our way outside, away from the guests, through the grounds and to the edge of a field that is home to two friendly donkeys. 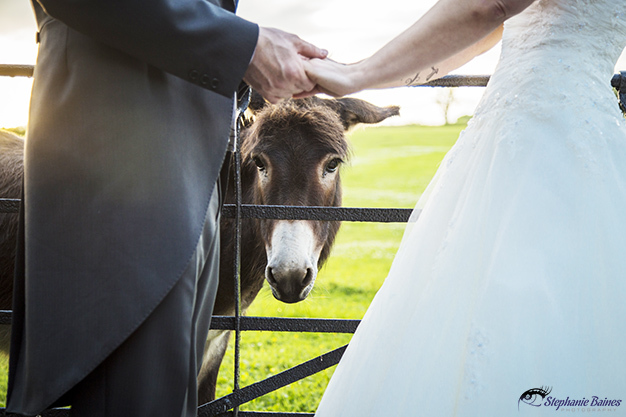 As I was shooting the donkeys made their way over and insisted on being petted, photographed and their presence generally acknowledged. 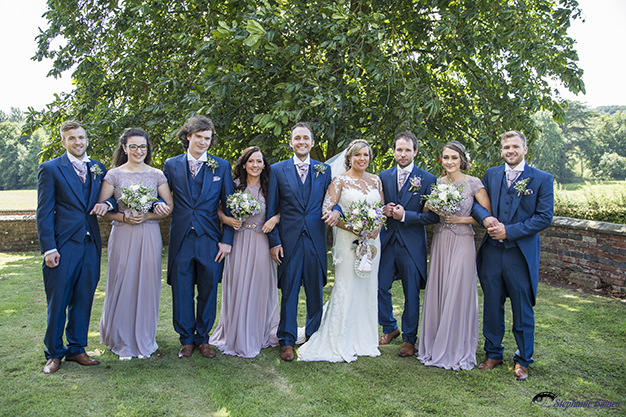 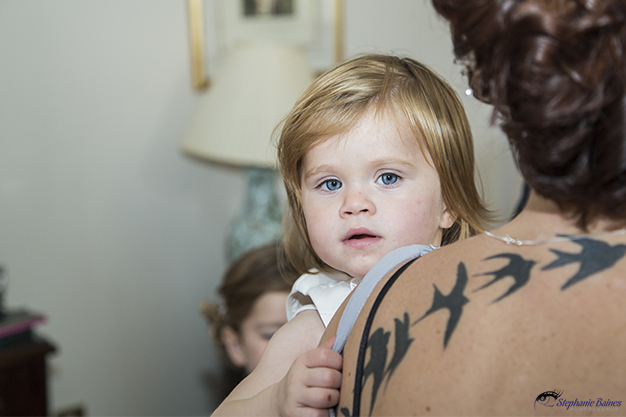 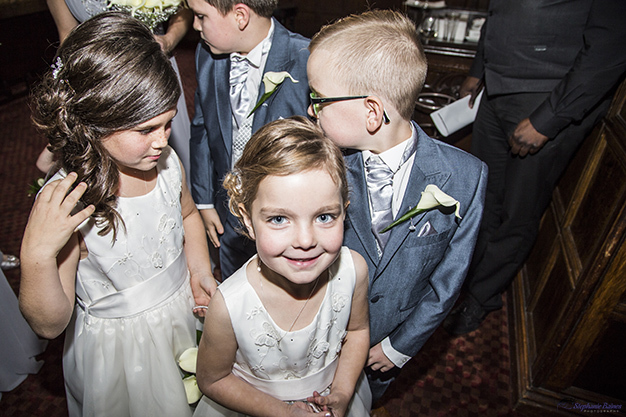 Sarah narrowly avoided having her dress nibbled on, but who could blame them for trying – she looked truly scrumptious in her gown!